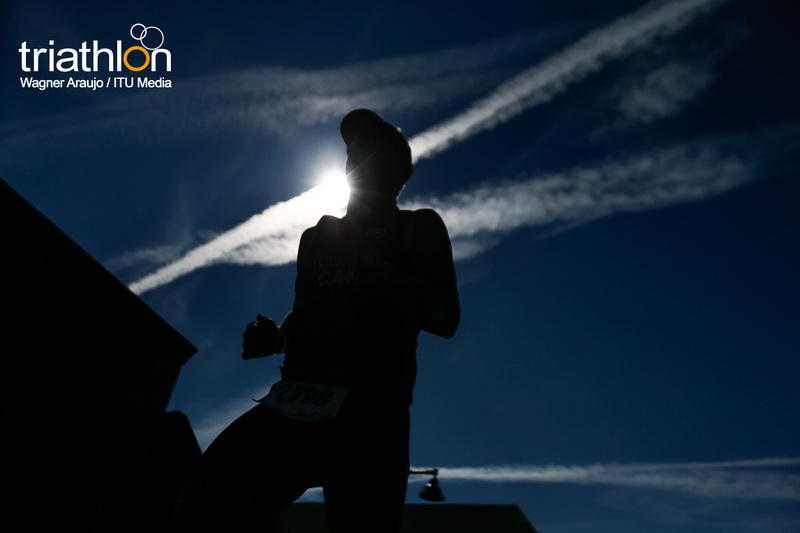 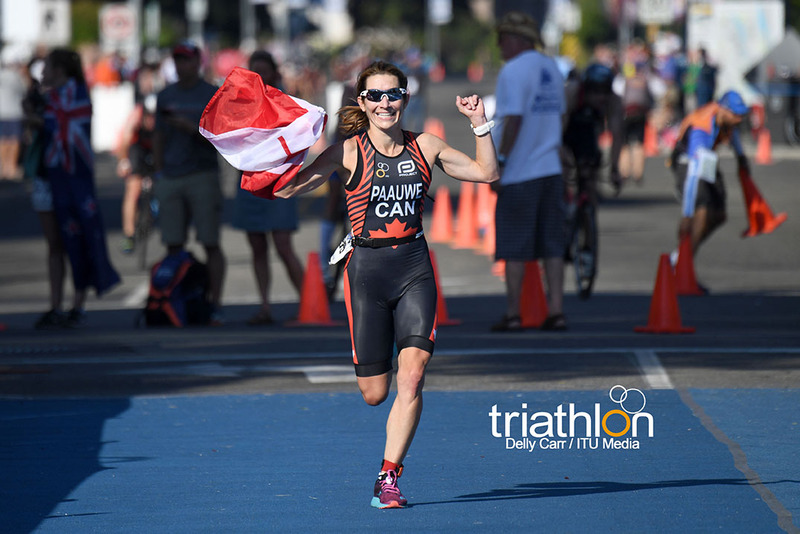 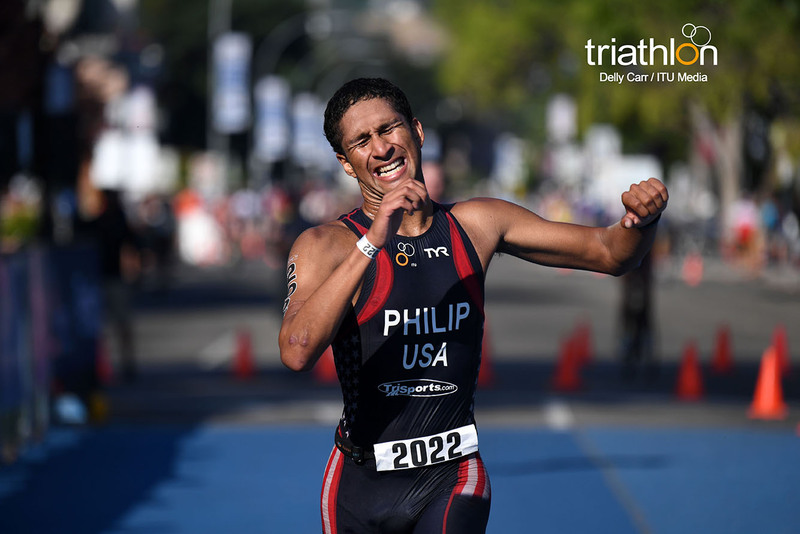 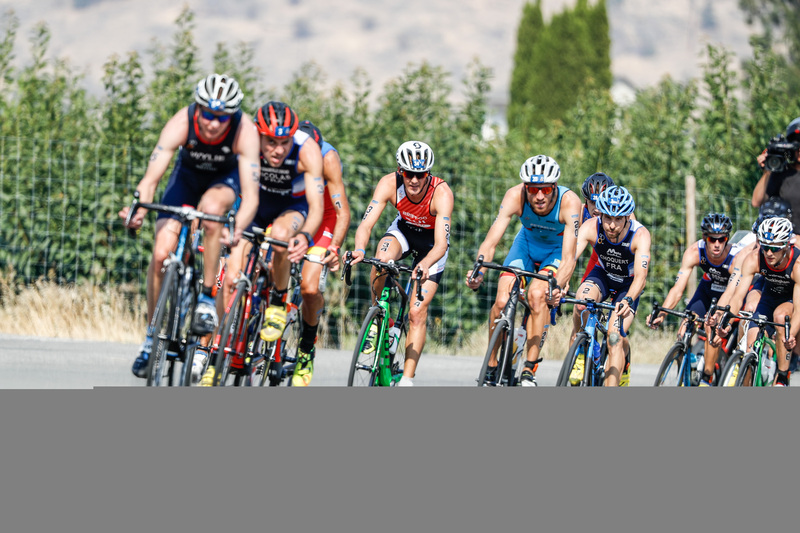 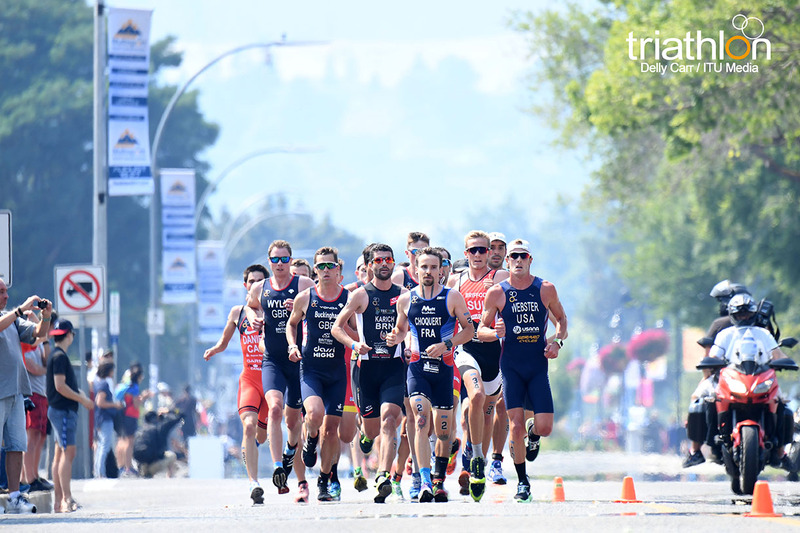 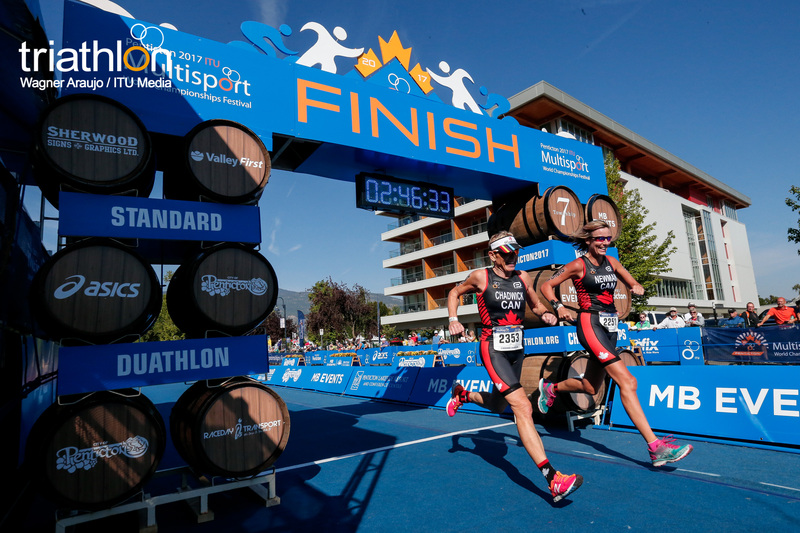 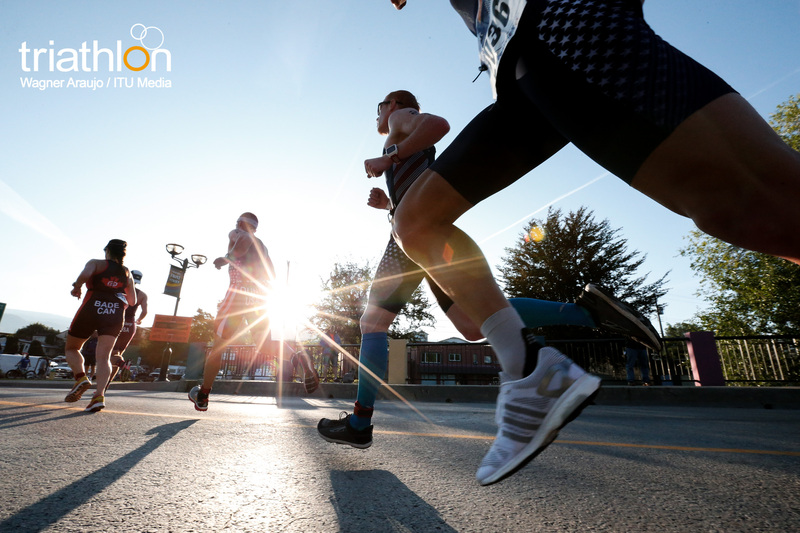 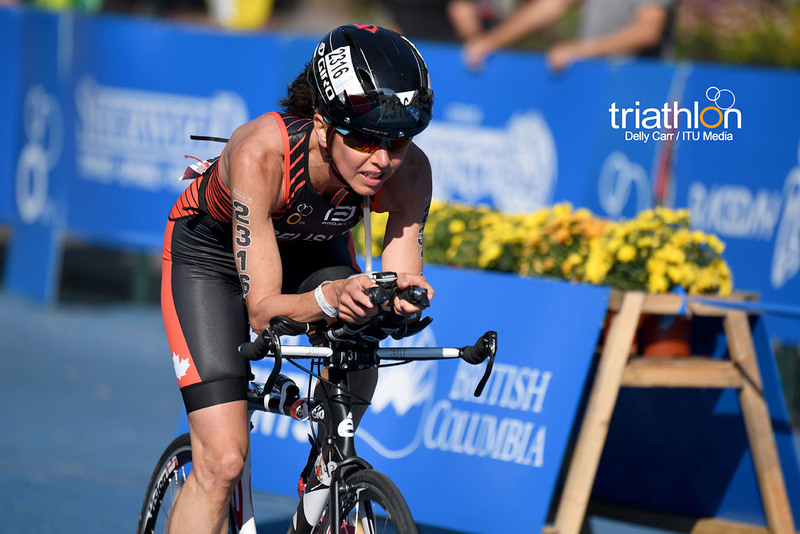 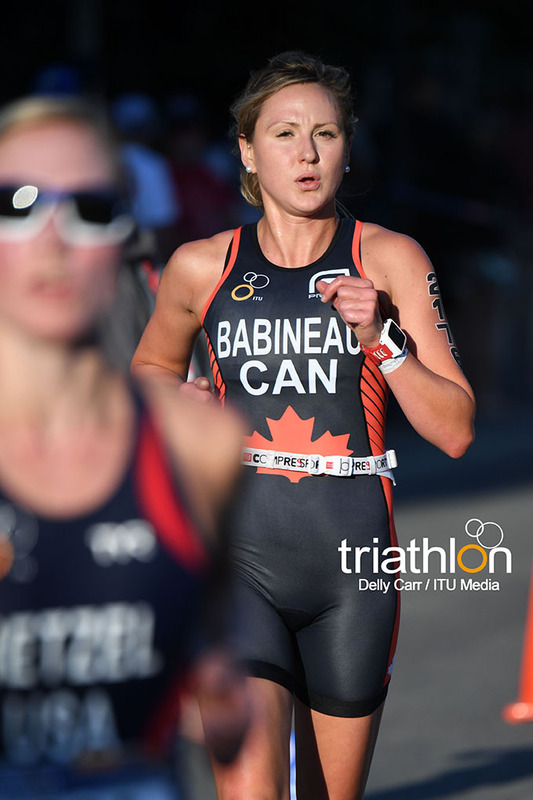 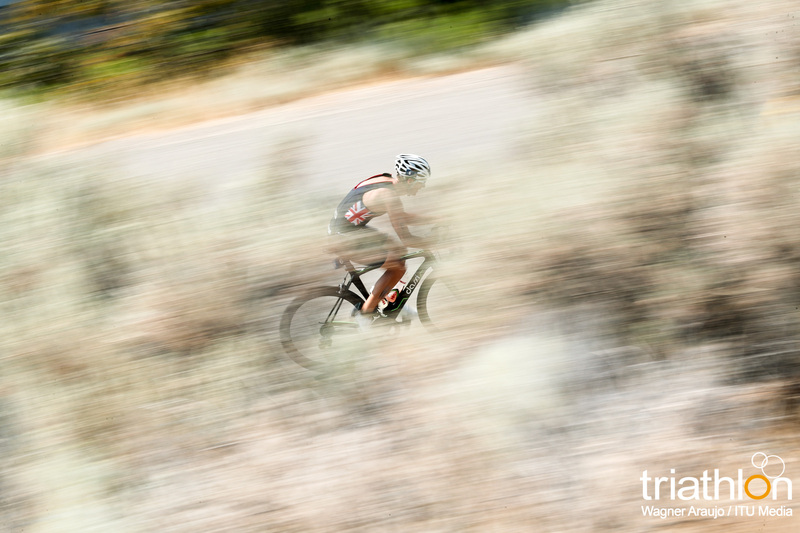 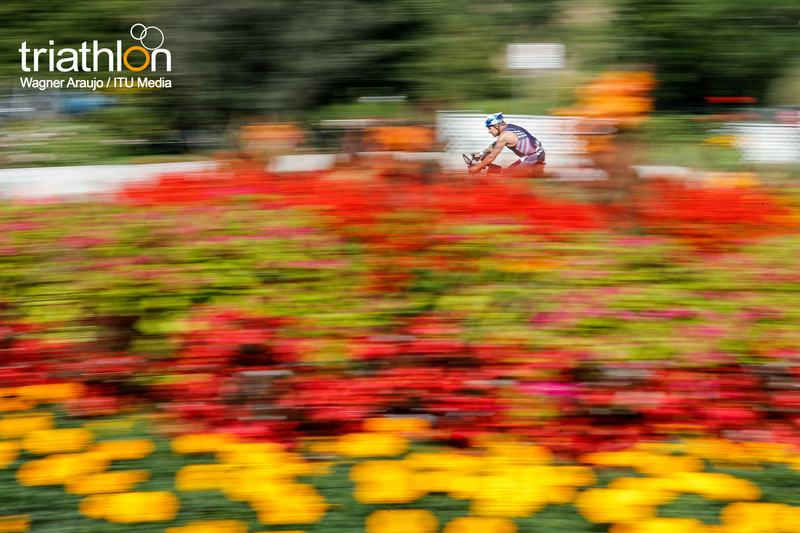 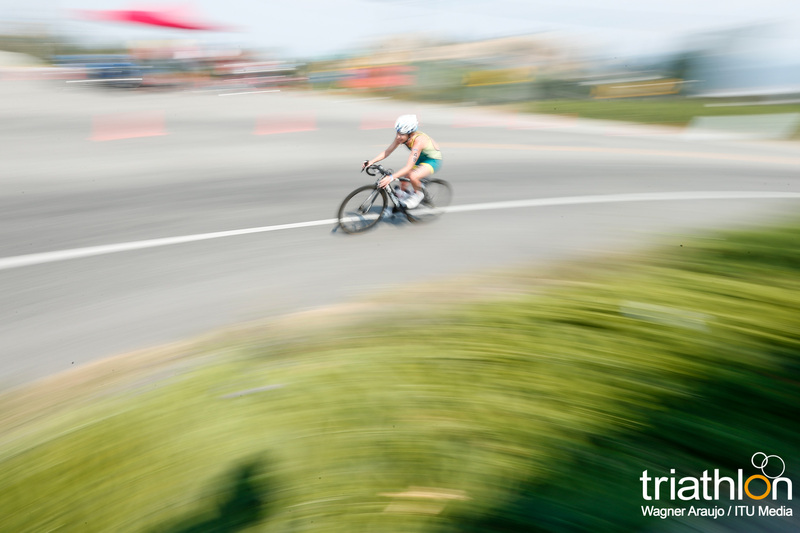 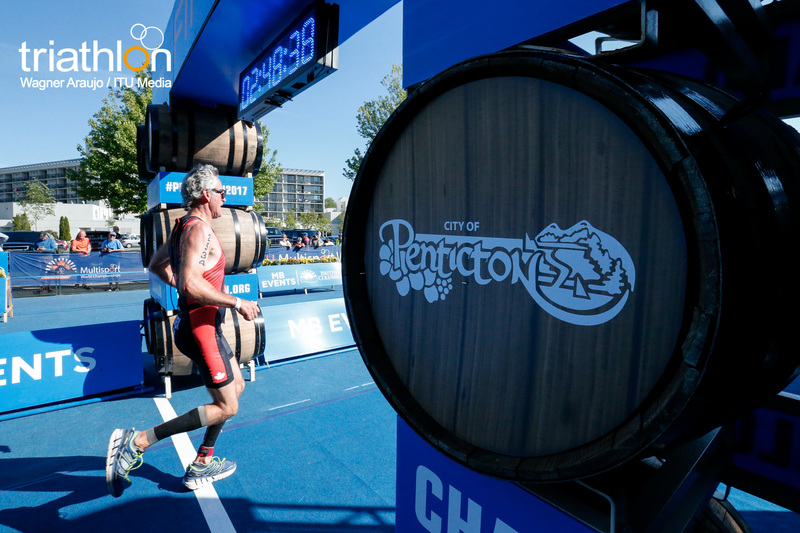 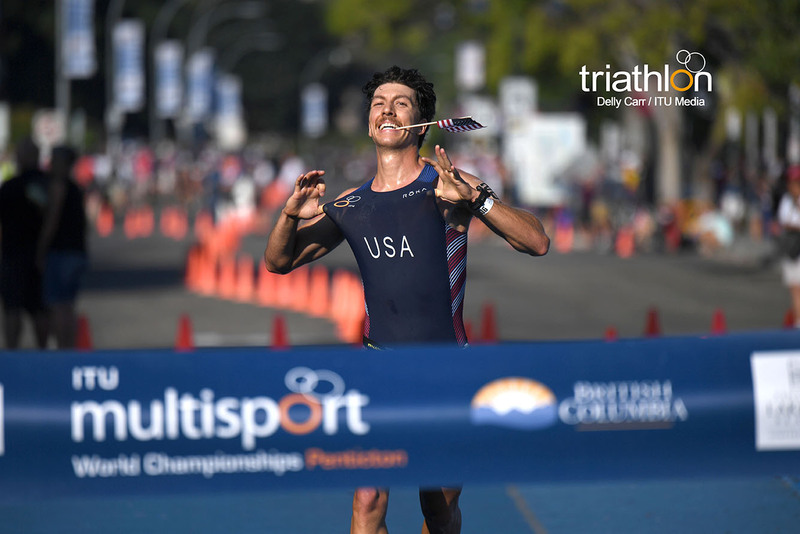 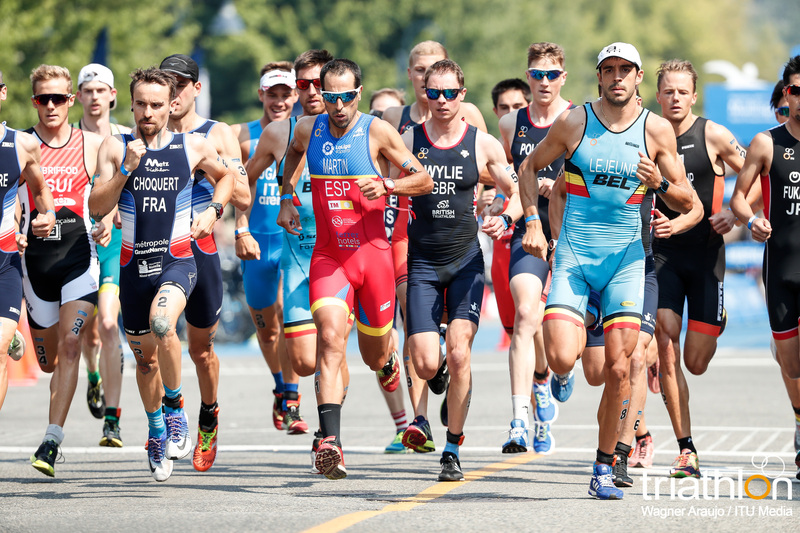 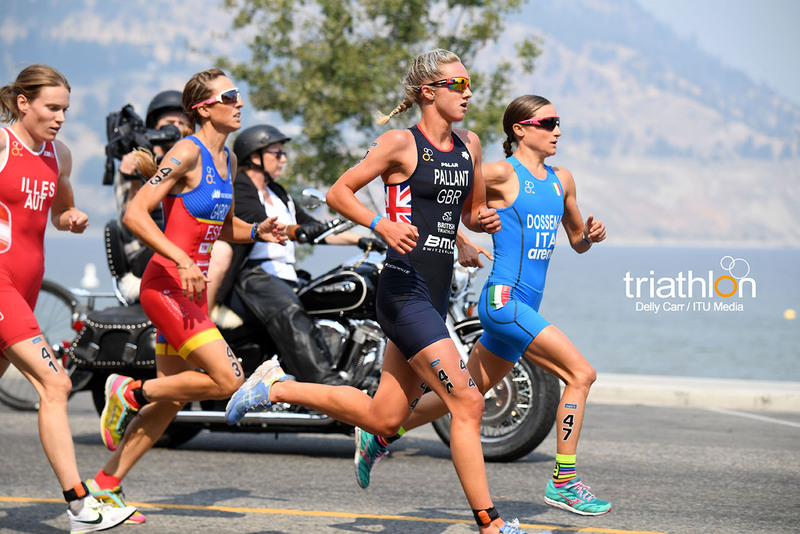 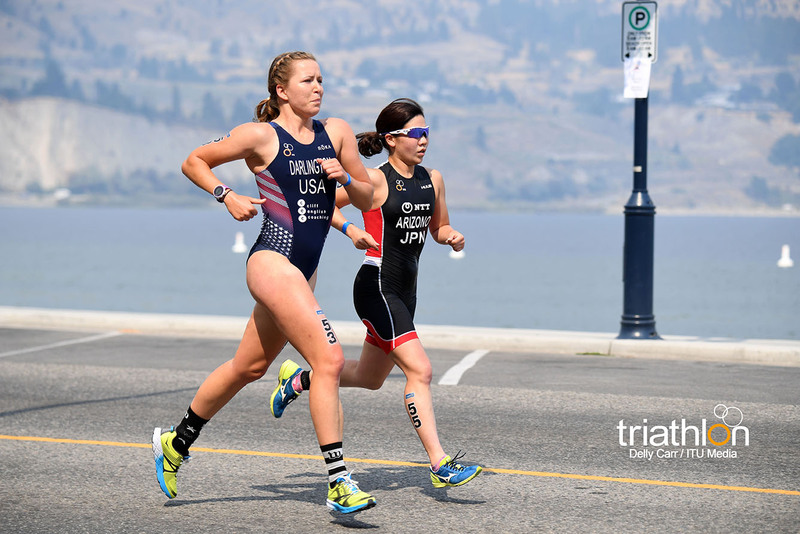 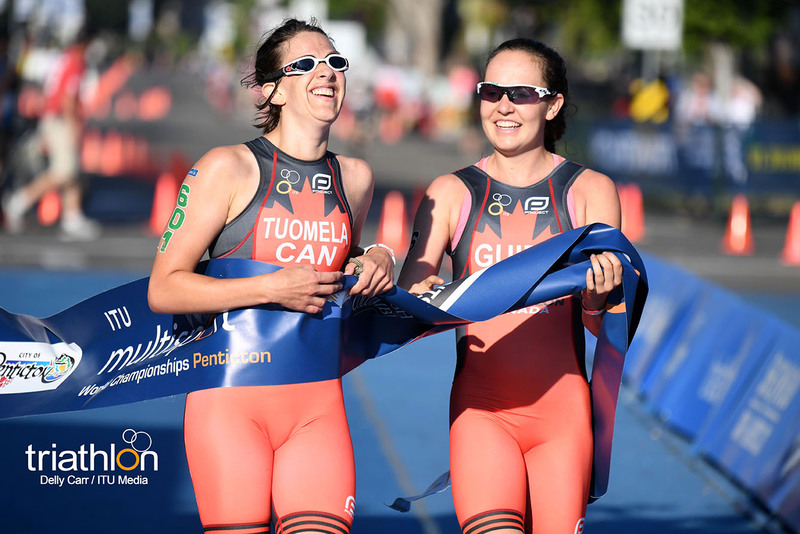 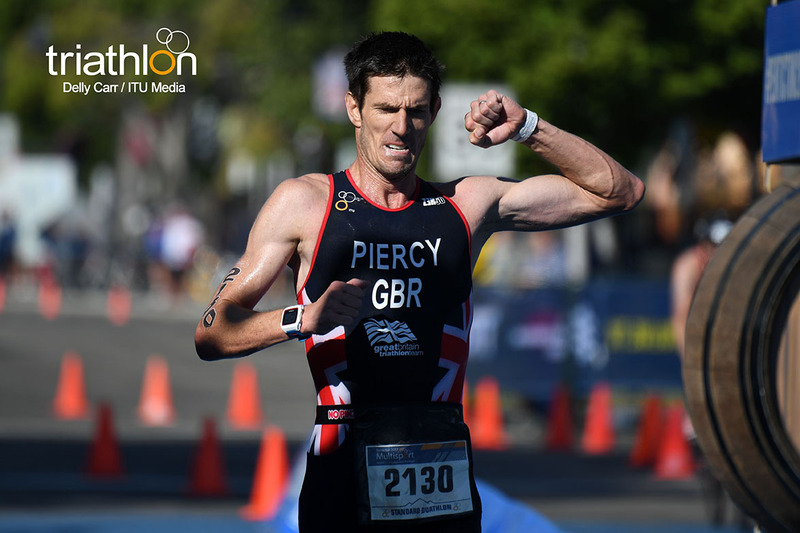 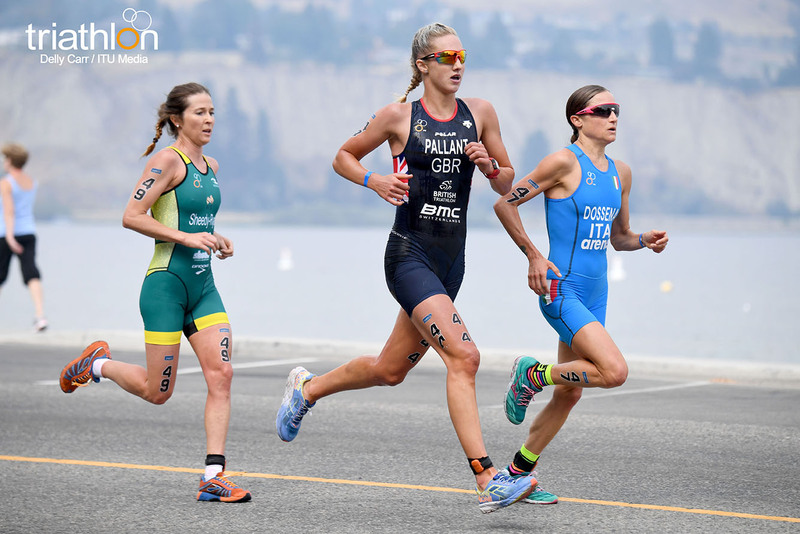 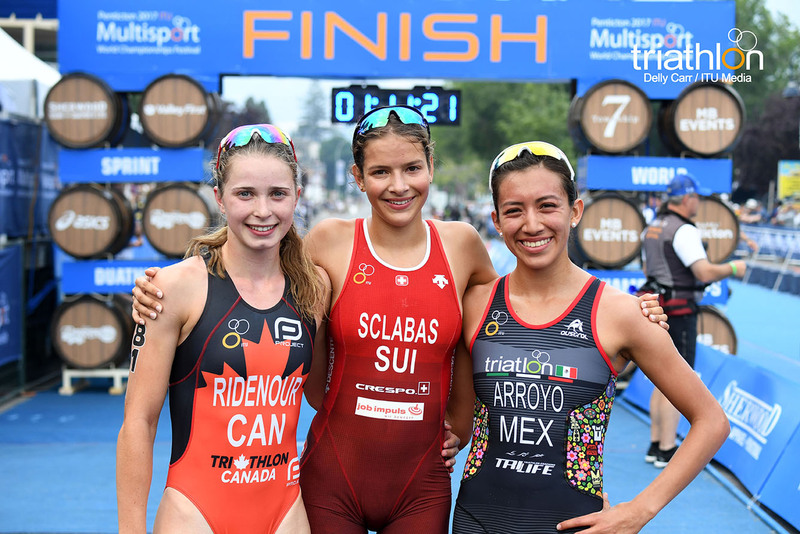 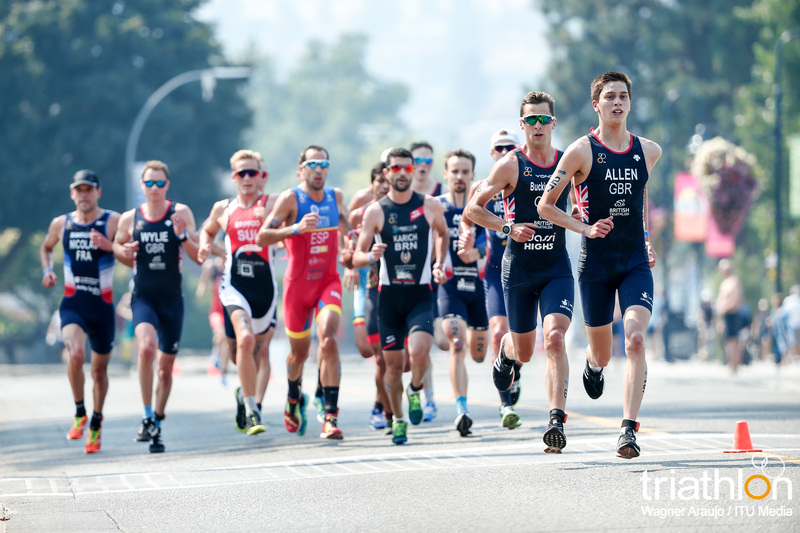 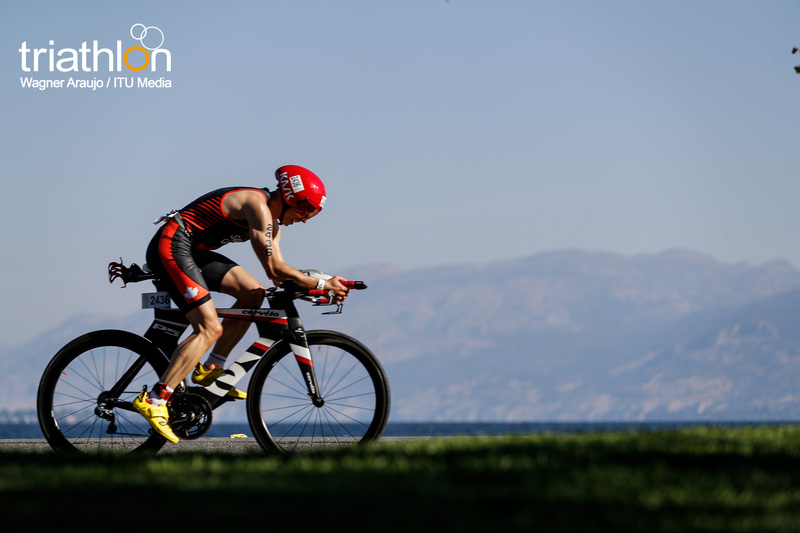 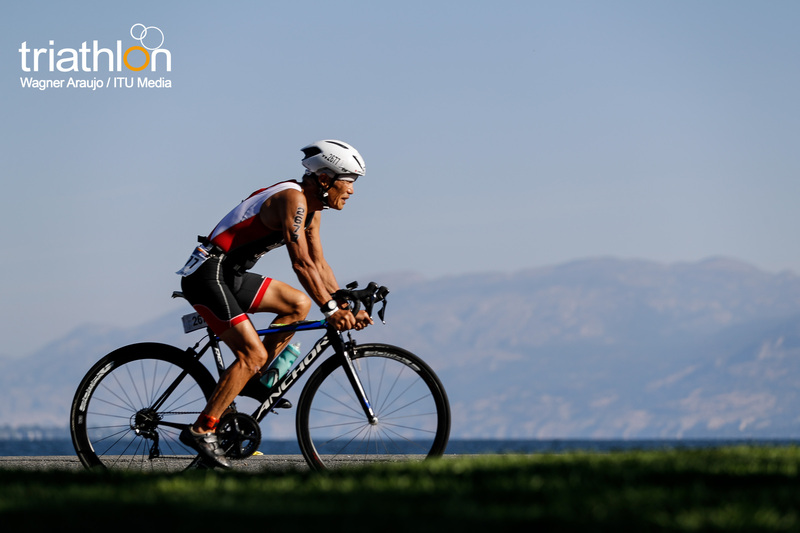 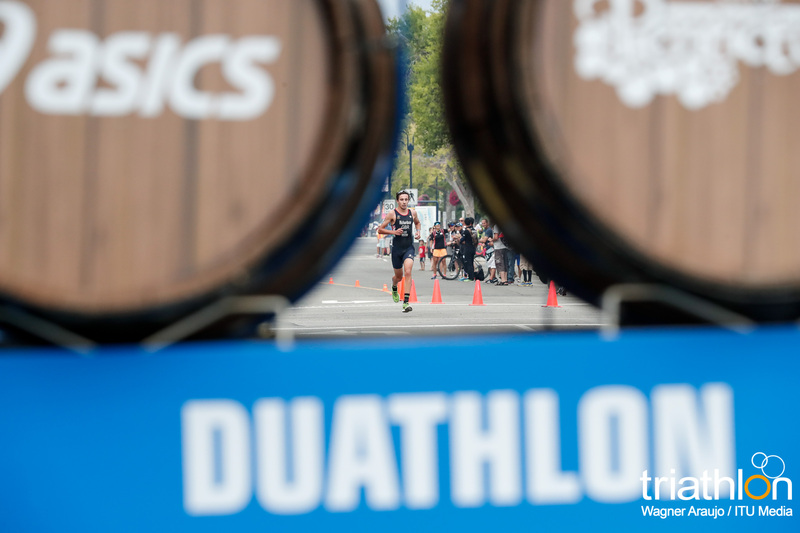 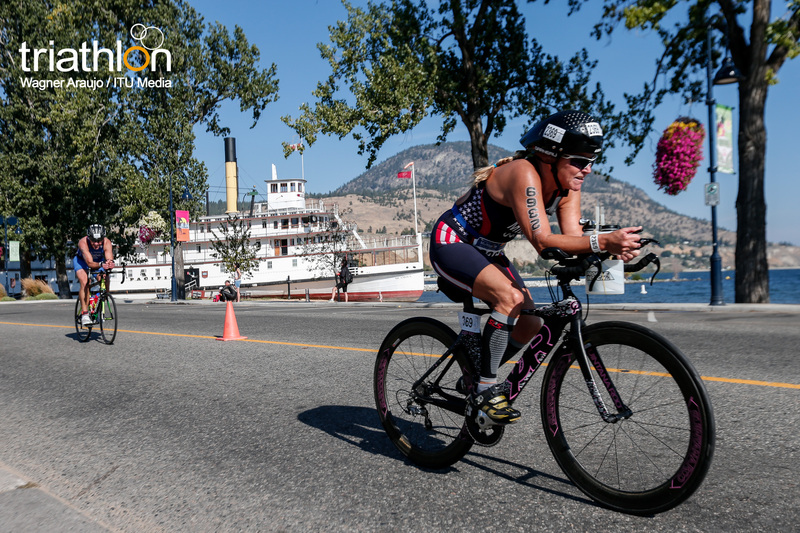 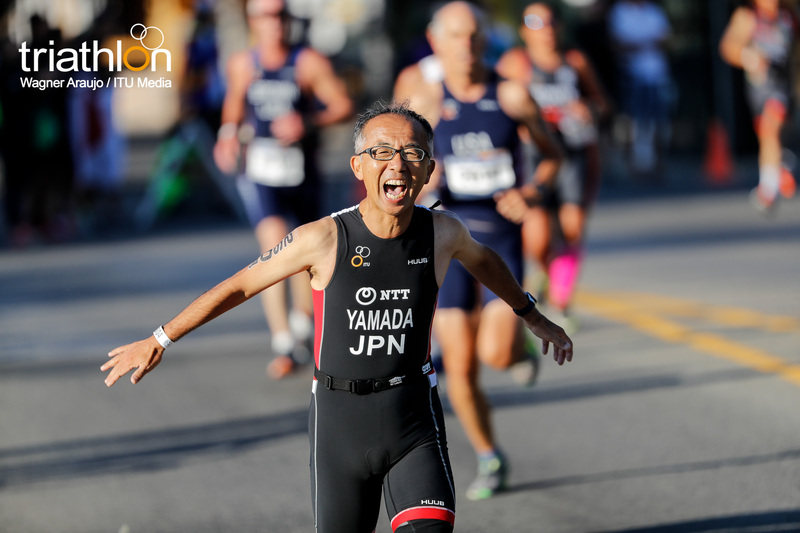 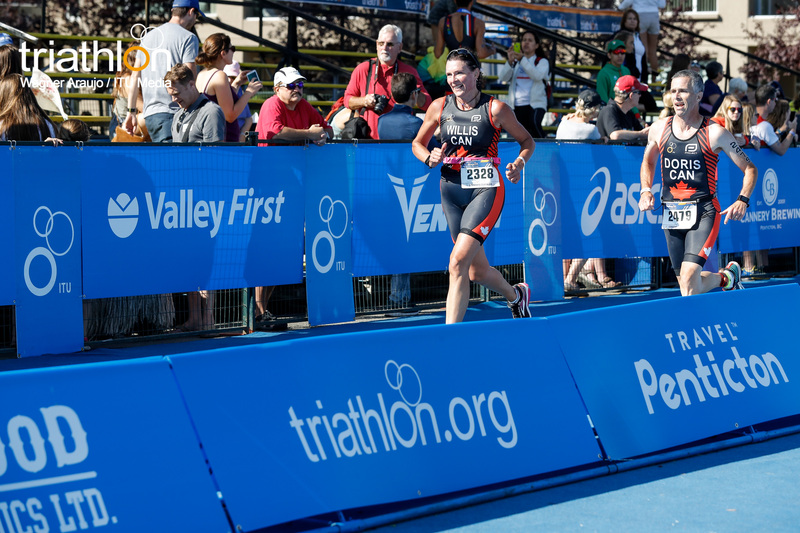 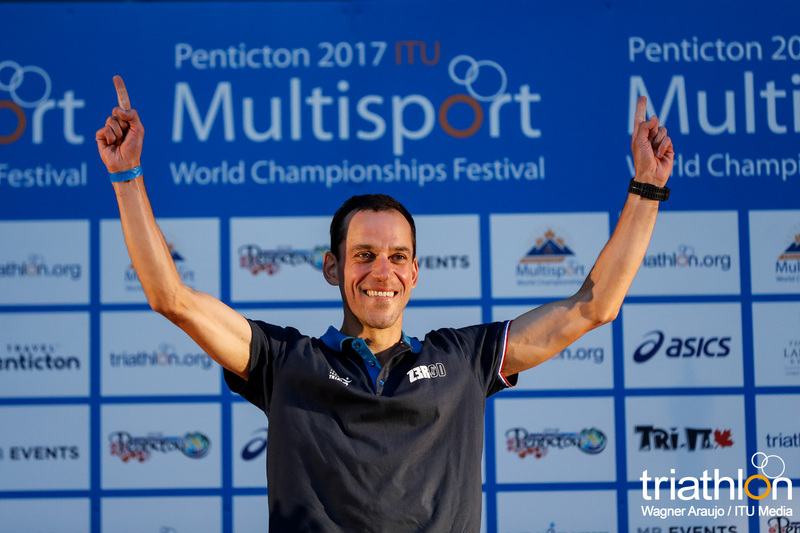 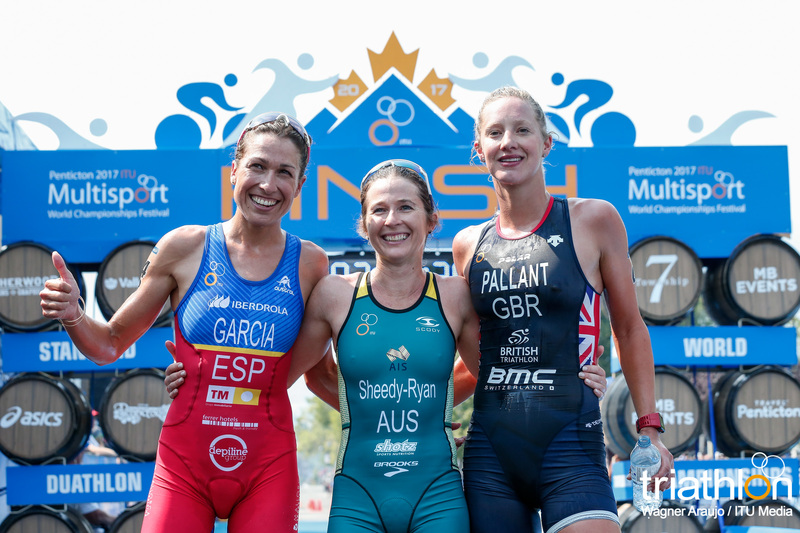 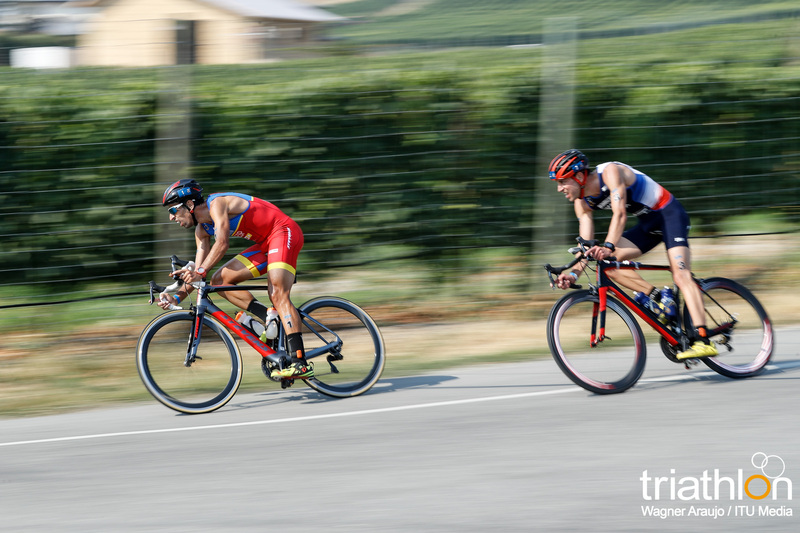 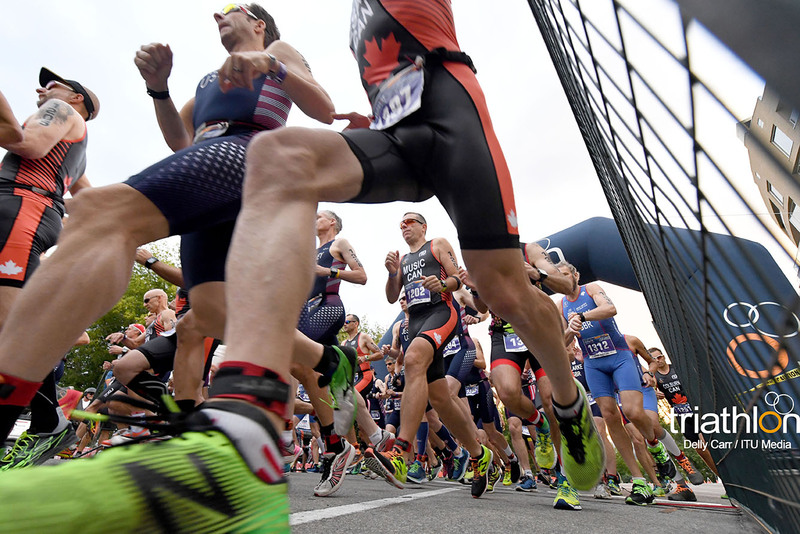 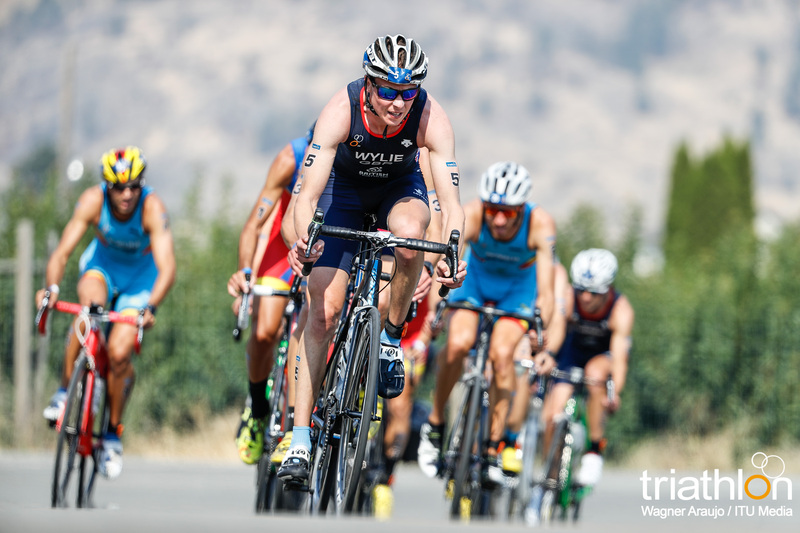 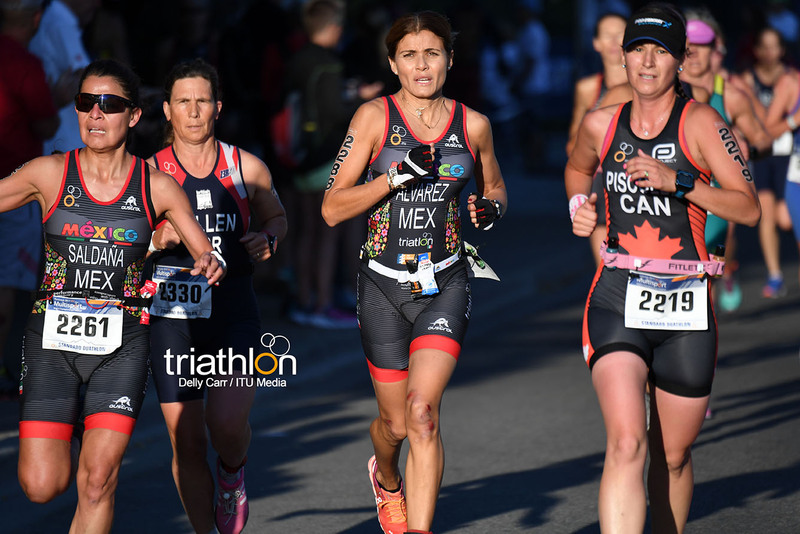 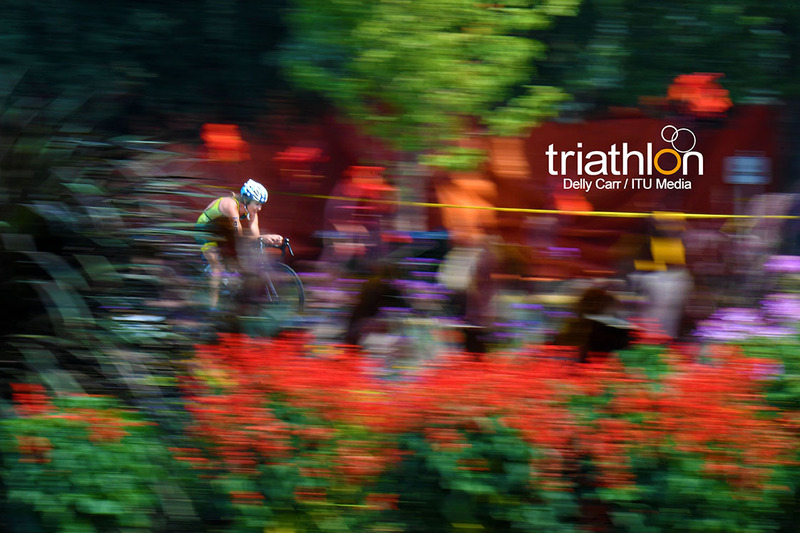 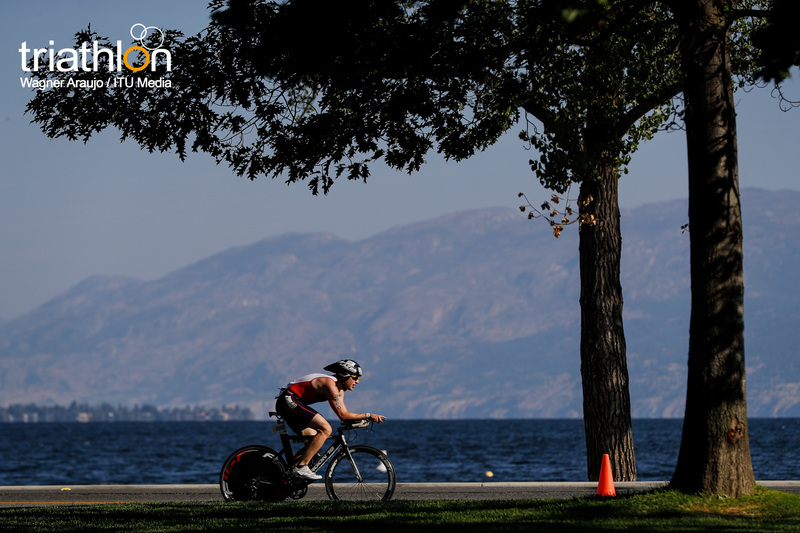 A run, bike, run course will crown the first round of World Champion athletes as duathlon opens up the 2017 Penticton ITU Multisport World Championship. 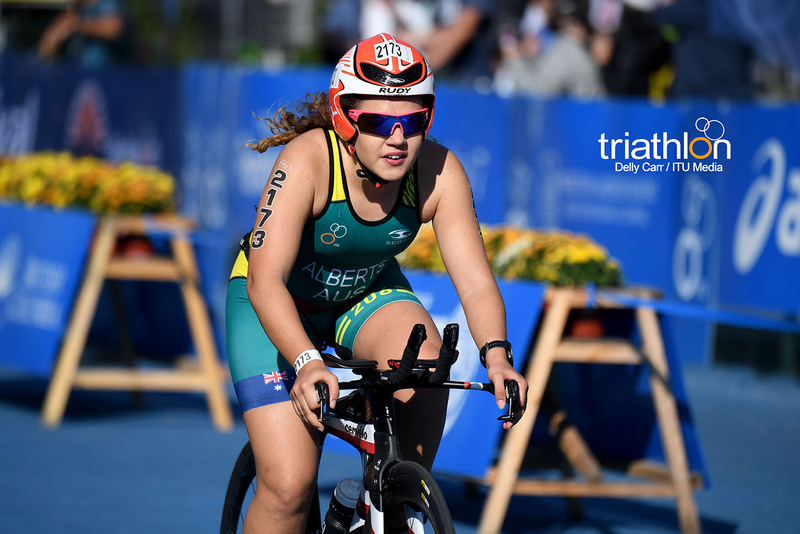 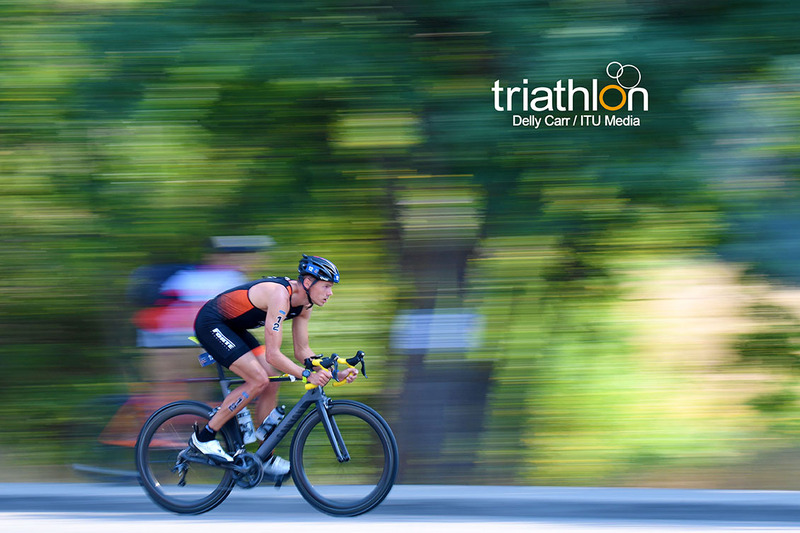 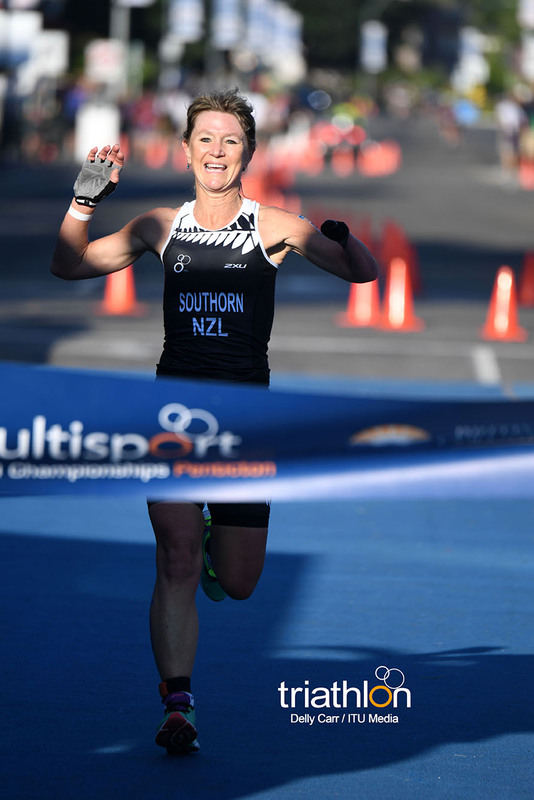 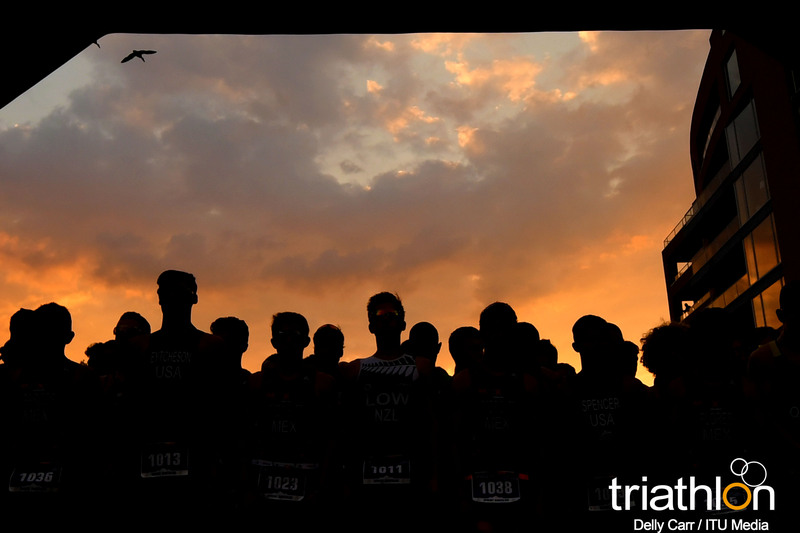 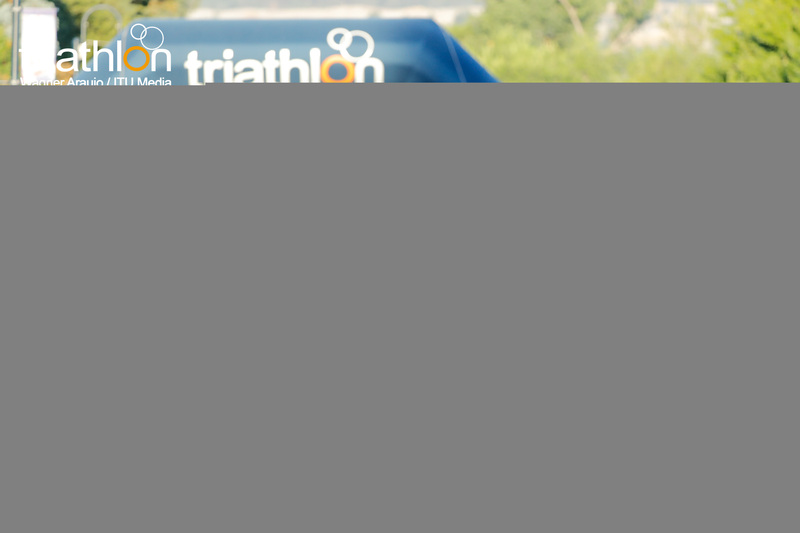 Battling a four-lap 10 kilometre run, five-lap 40.5 kilometre bike and two-lap 5 kilometre, elites, under 23 and junior athletes will line up for the first event of the ten-day Multisport festival. 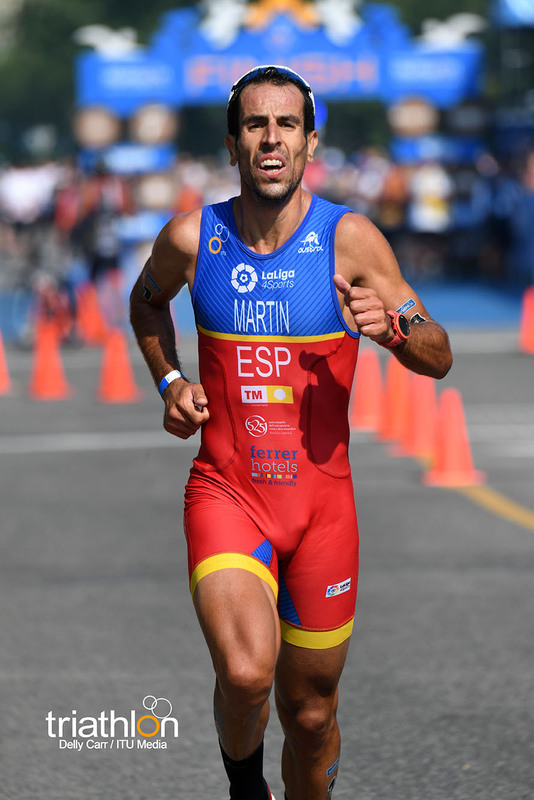 On the men’s side, the frontrunner is Spaniard Emilio Martin. 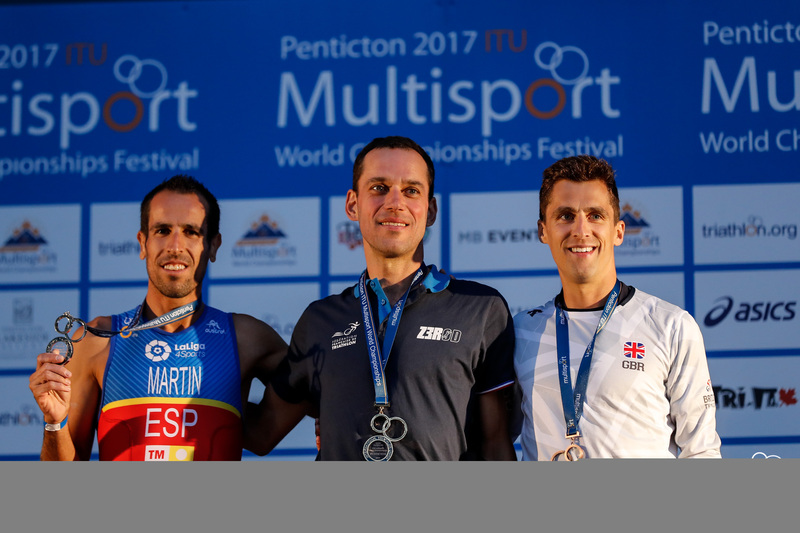 This season he was crowned the duathlon European Champion and came second last year at the 2016 Aviles Duathlon World Championships. 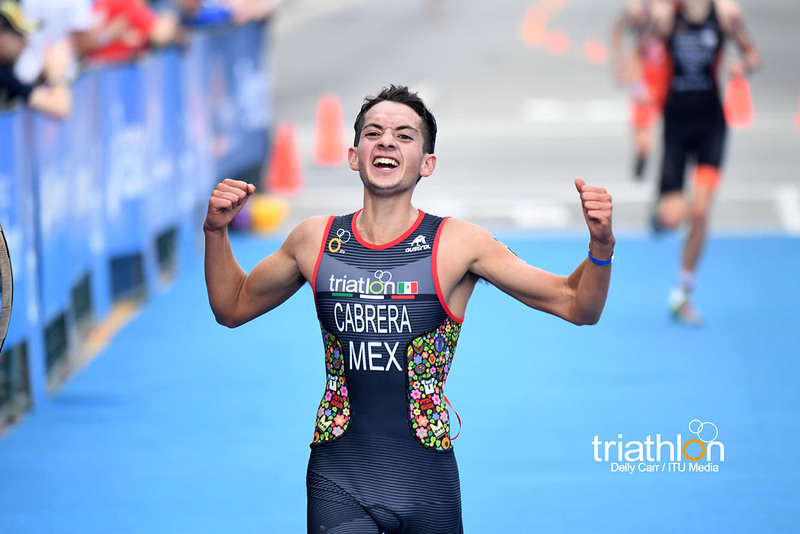 He also has a history of titles, earning victories as the World Champion in 2015, 2012 and 2011. 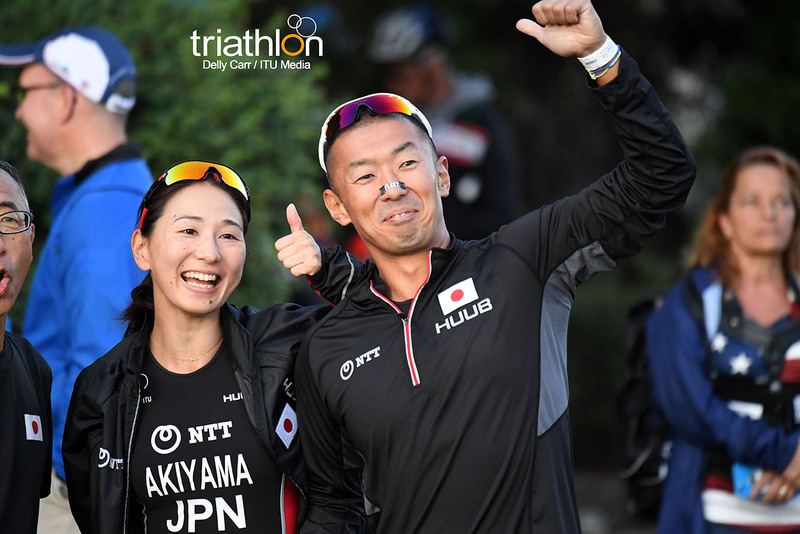 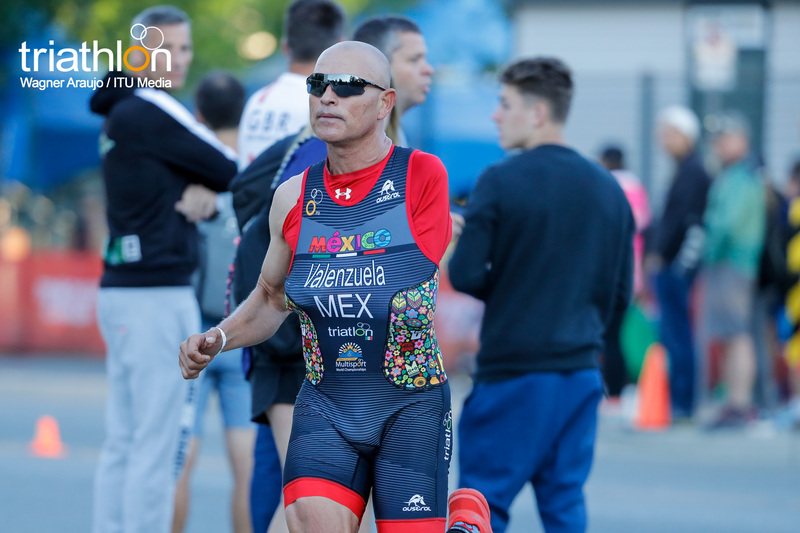 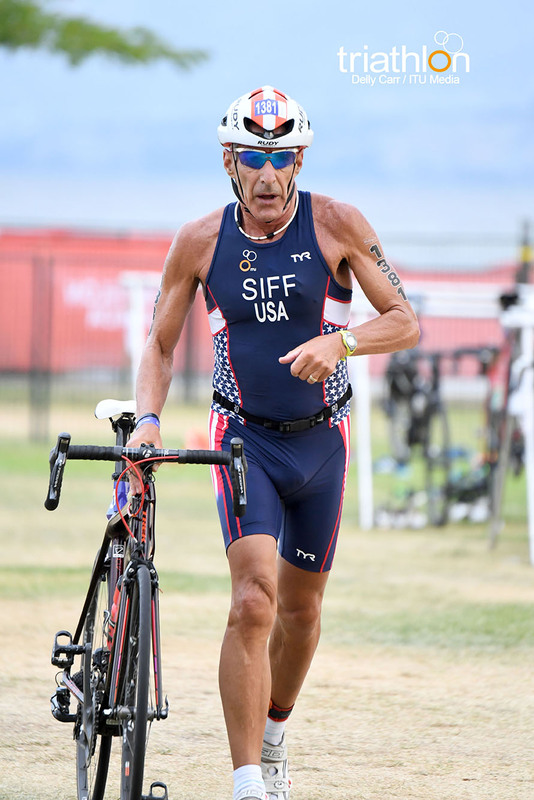 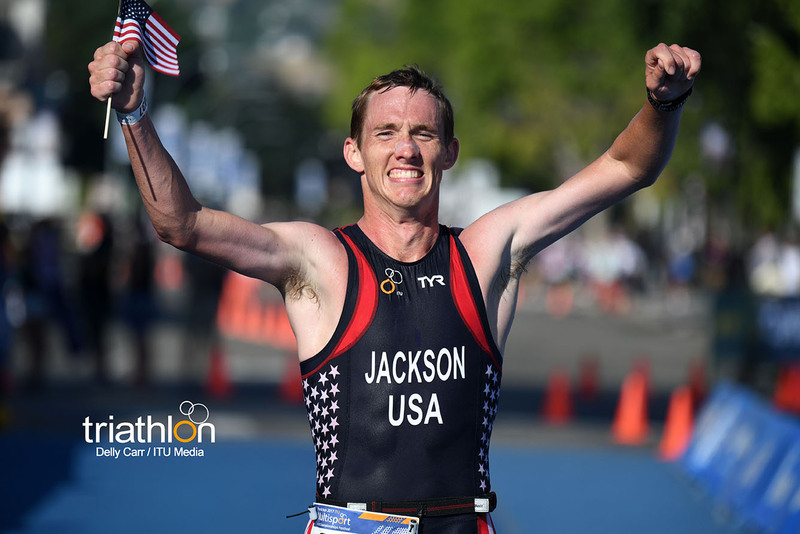 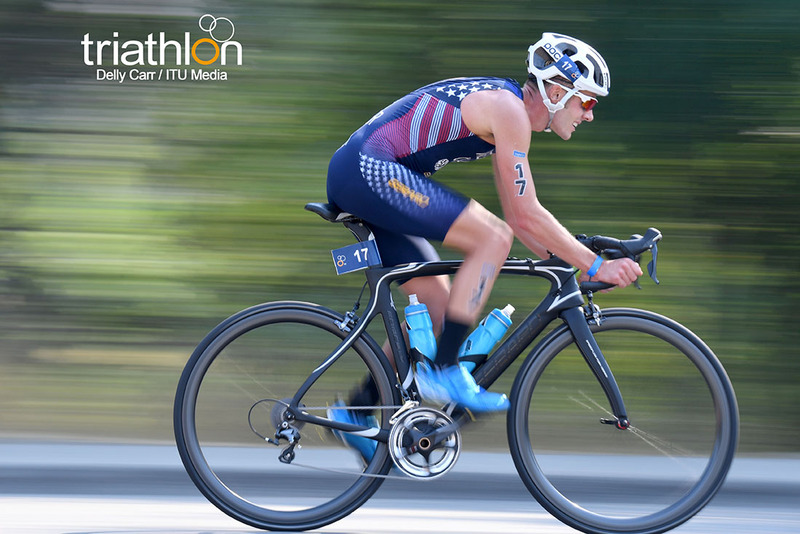 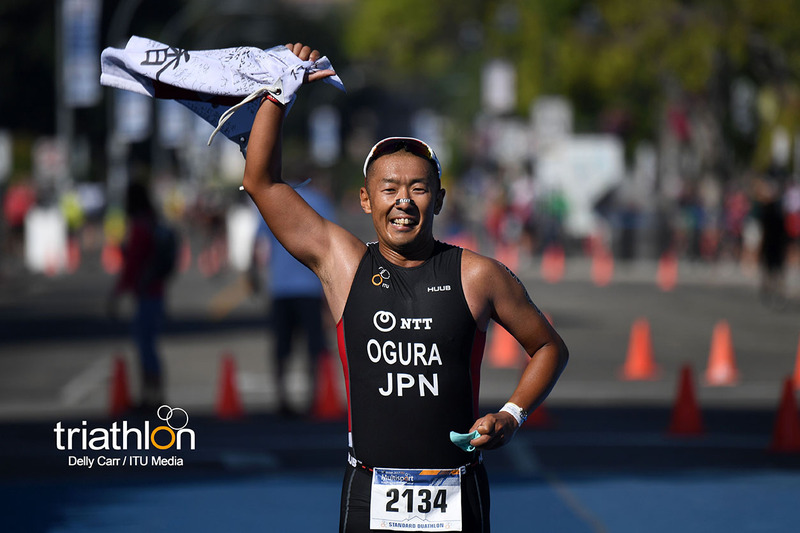 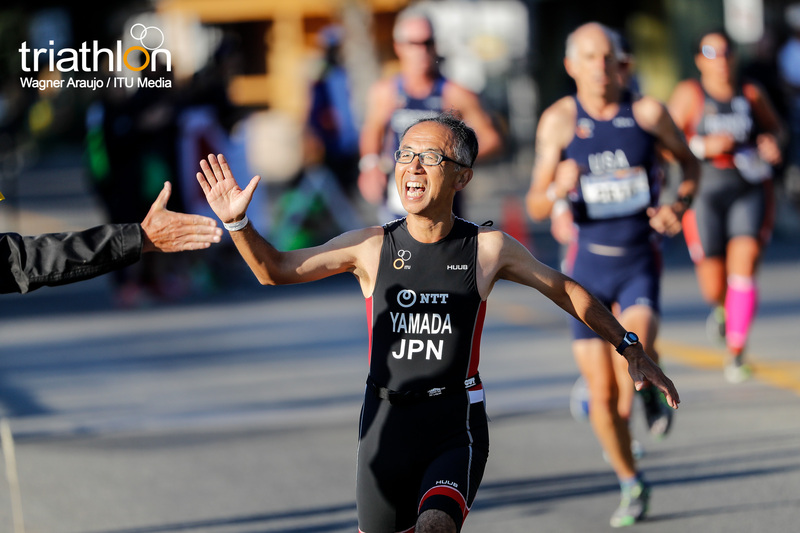 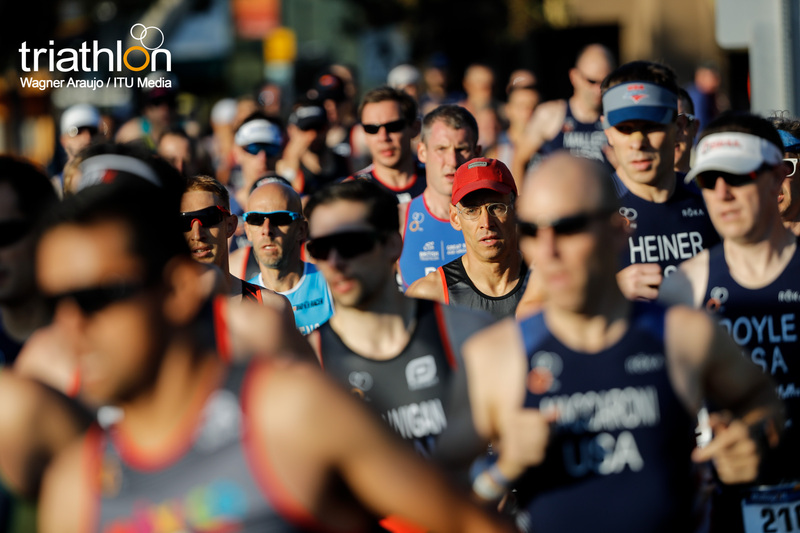 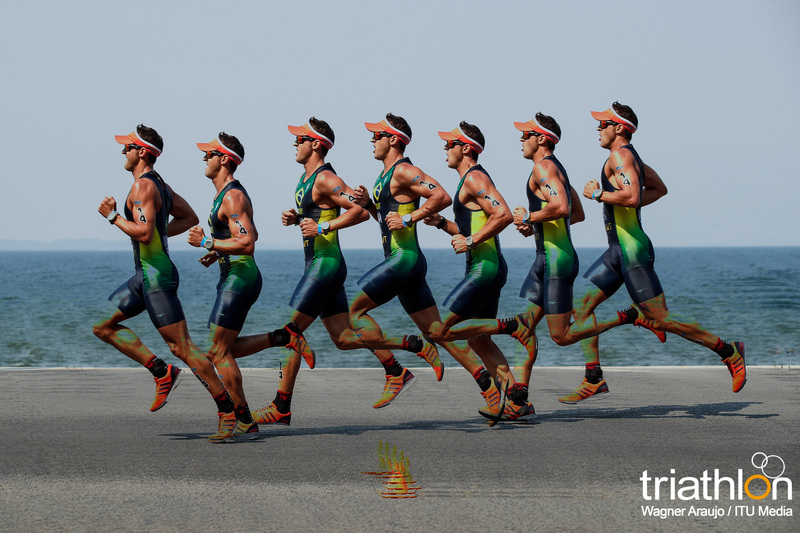 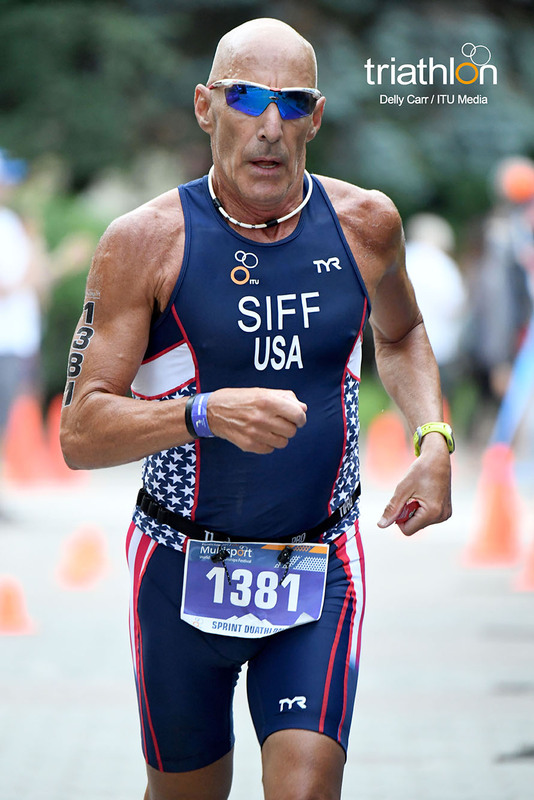 While he did not compete in 2013, his success rate is impeccable as he has podiumed in every single Duathlon World Championships that he has competed in. 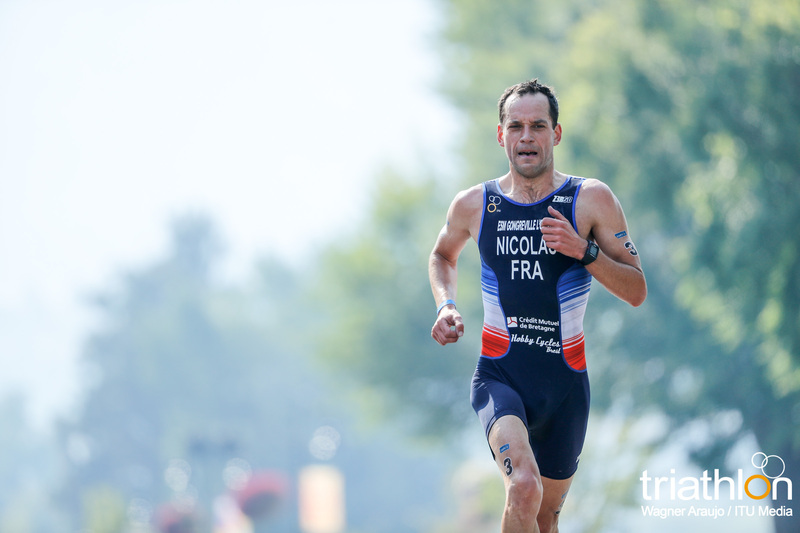 The French enter with a strong team. 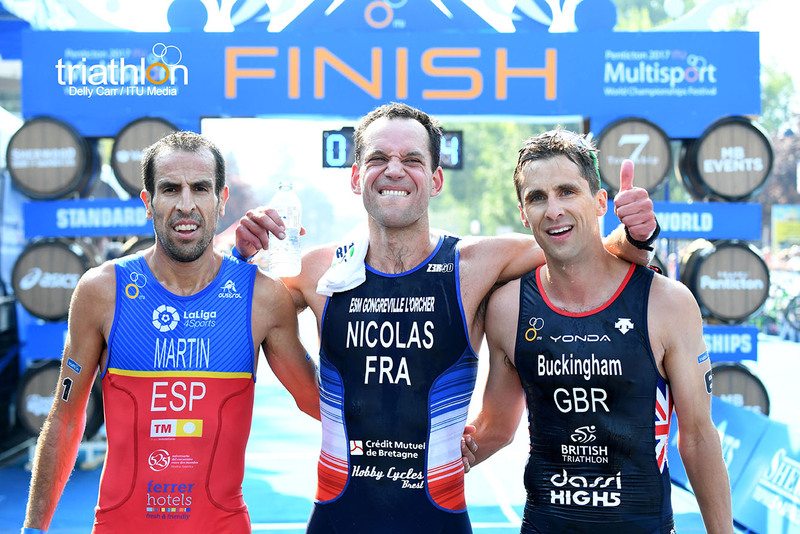 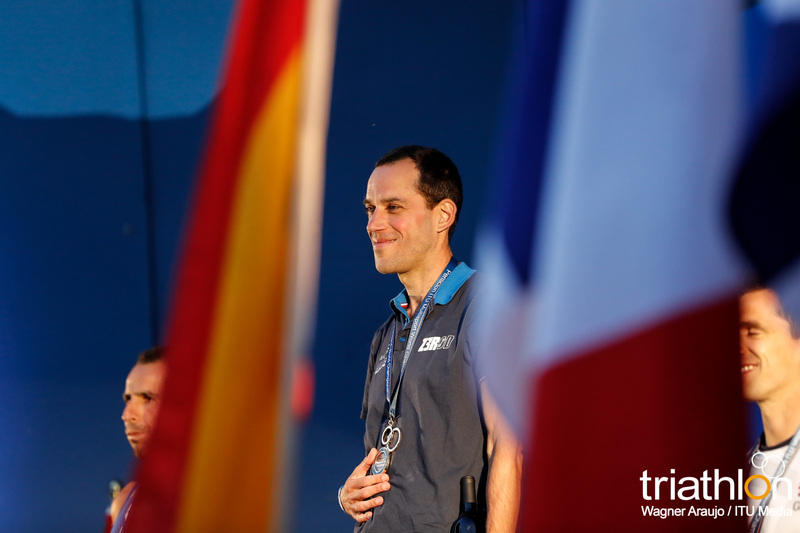 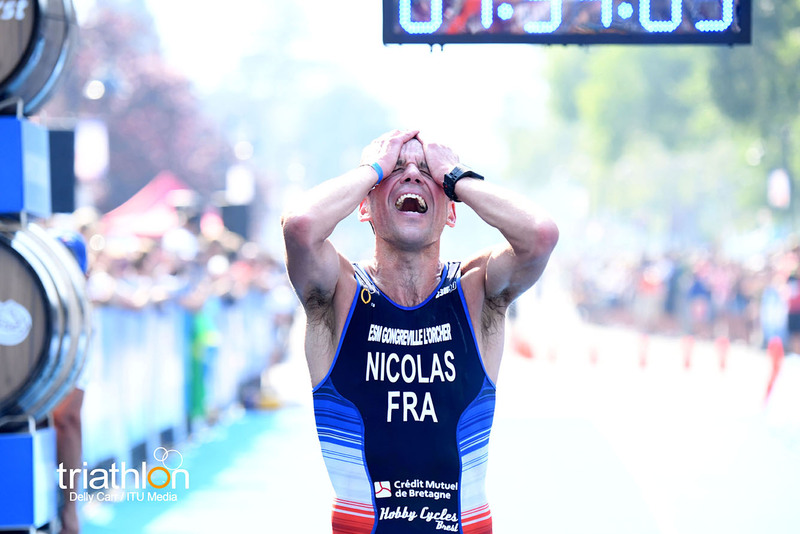 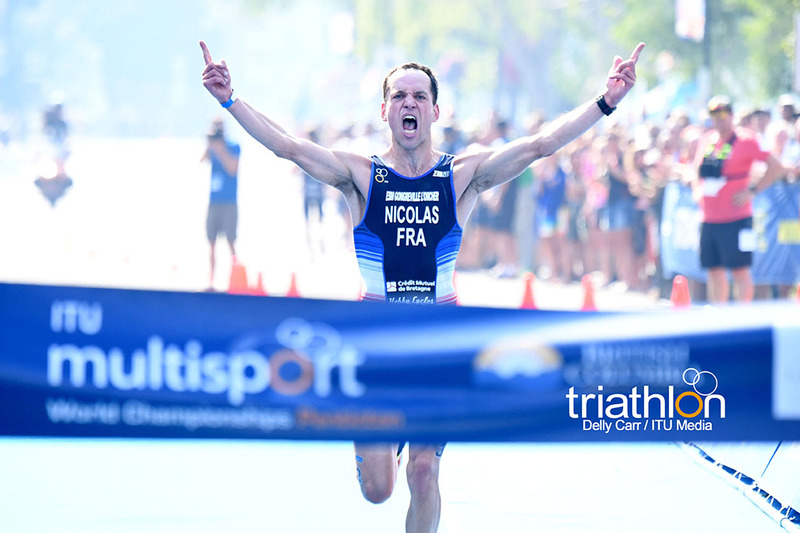 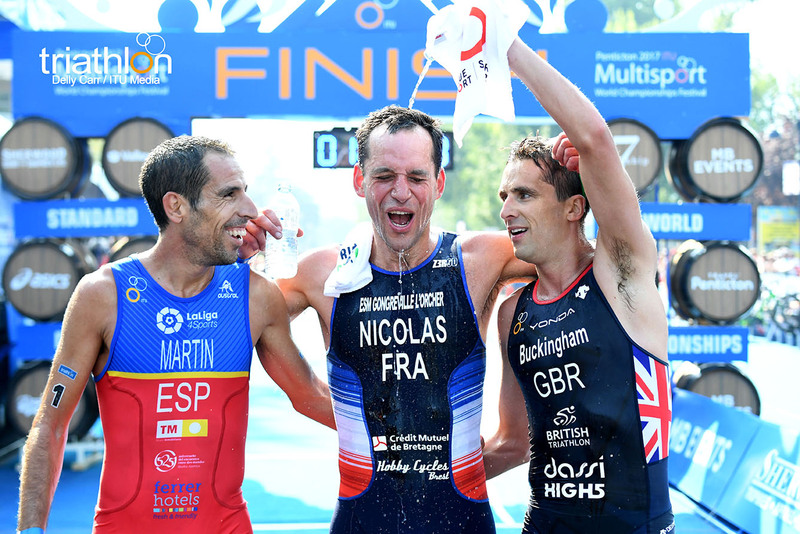 Benjamin Choquert is the current French National Champion, while Benoit Nicollas was the silver medallist at the ETU European Championships in Soria. 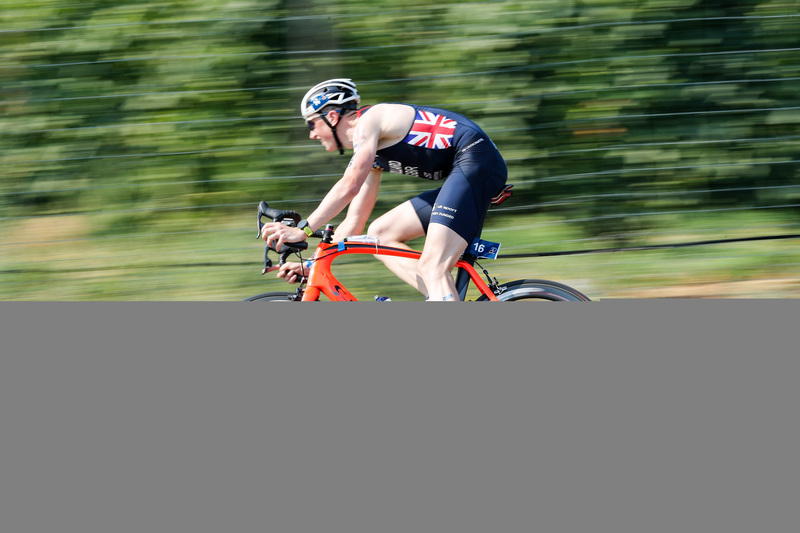 Another strong man to watch out for is Great Britain’s Mark Buckingham. 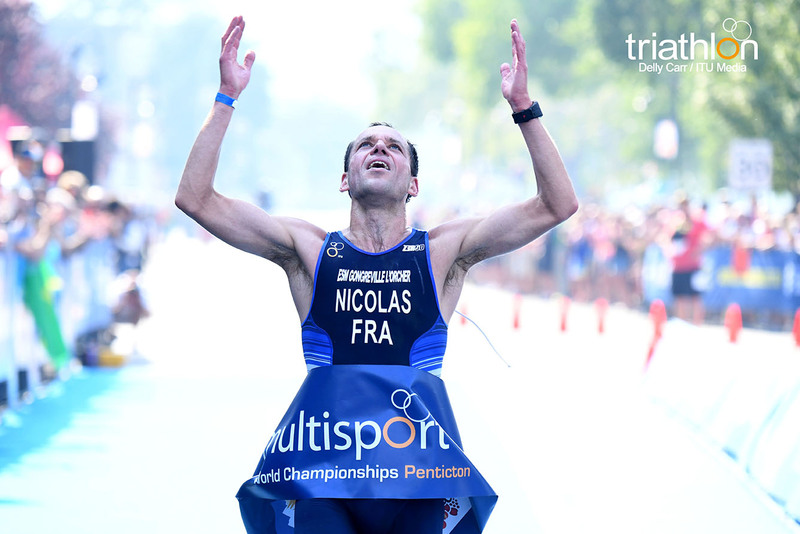 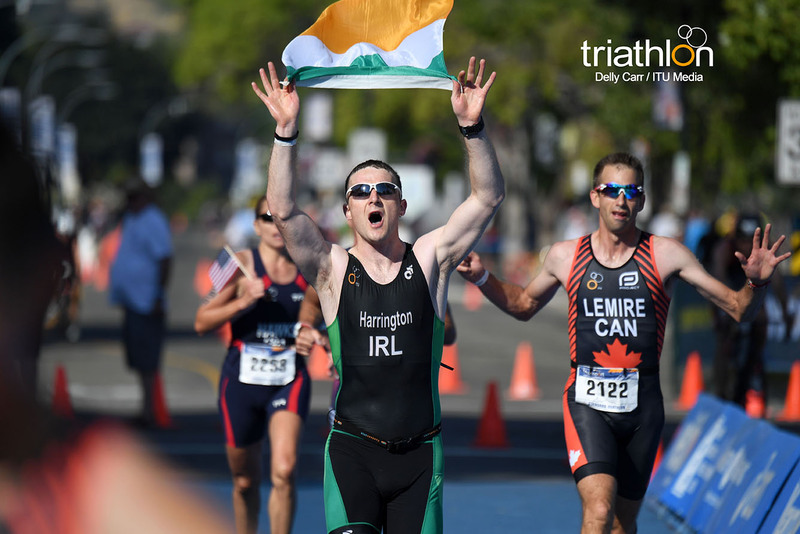 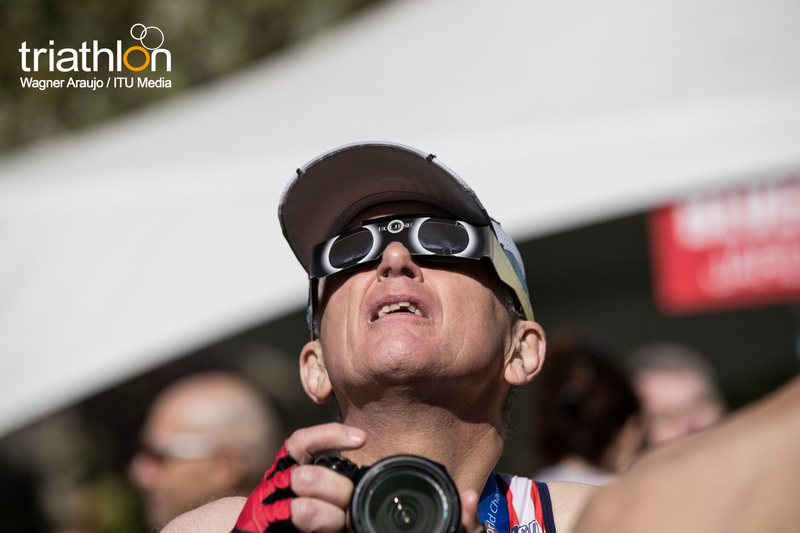 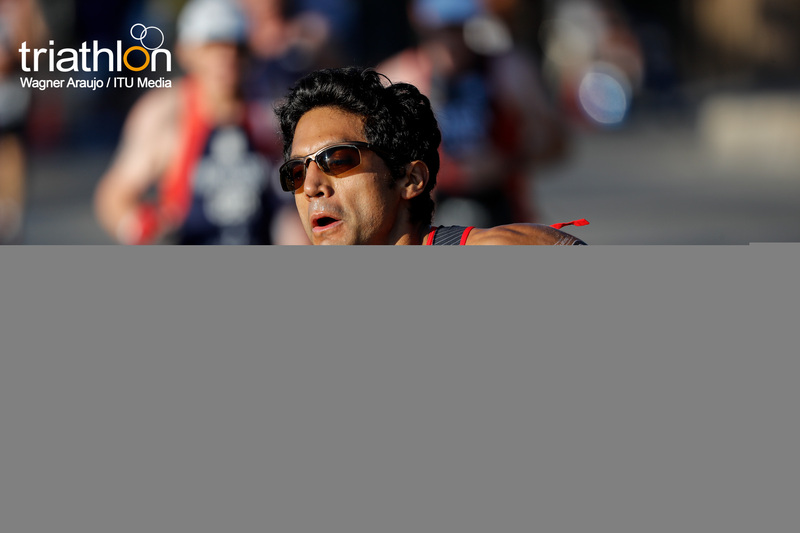 He has Duathlon World Champion podium experience after collecting the bronze medal in 2015. 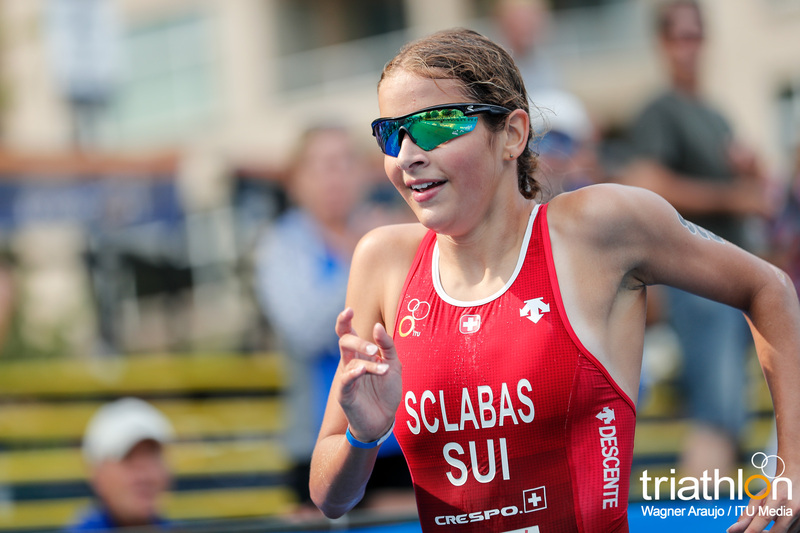 Leading the start list for the women Sandrina Illes (AUT). 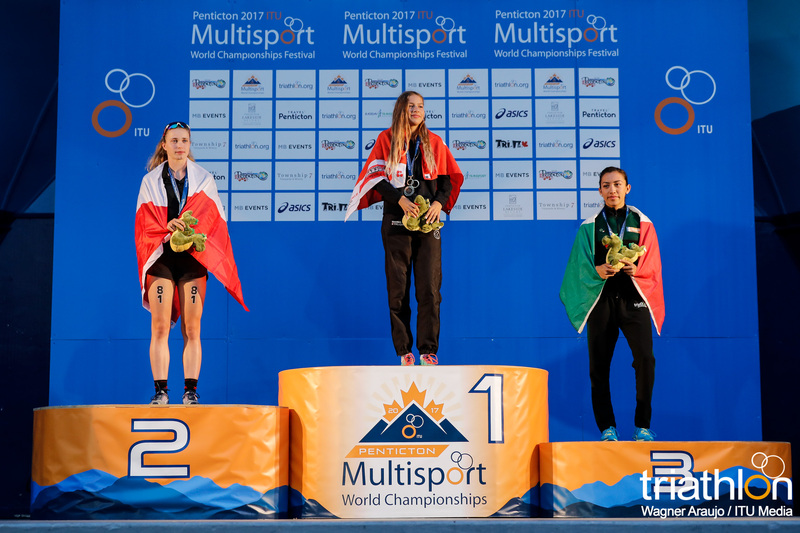 As the Austrian National Champion for the last three years in a row, this weekend is time for her to stand on her first World Championship podium. 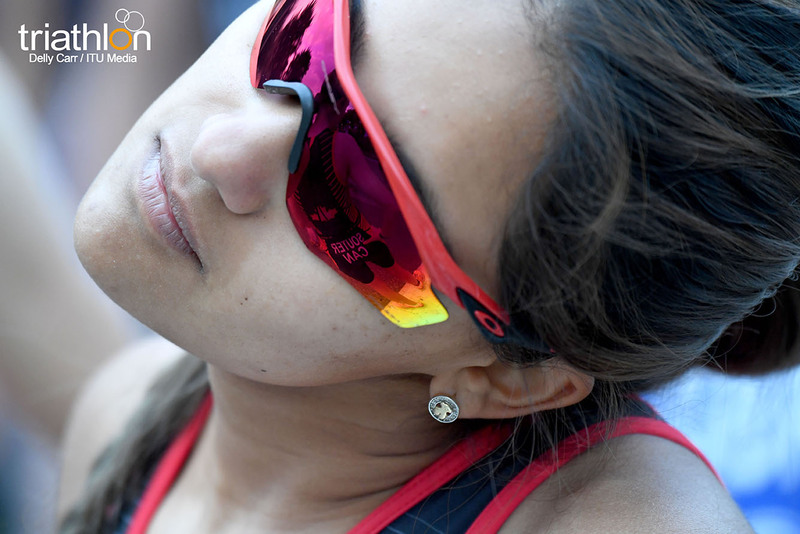 A huge threat for the women’s race is Frenchwoman Sandra Levenez. 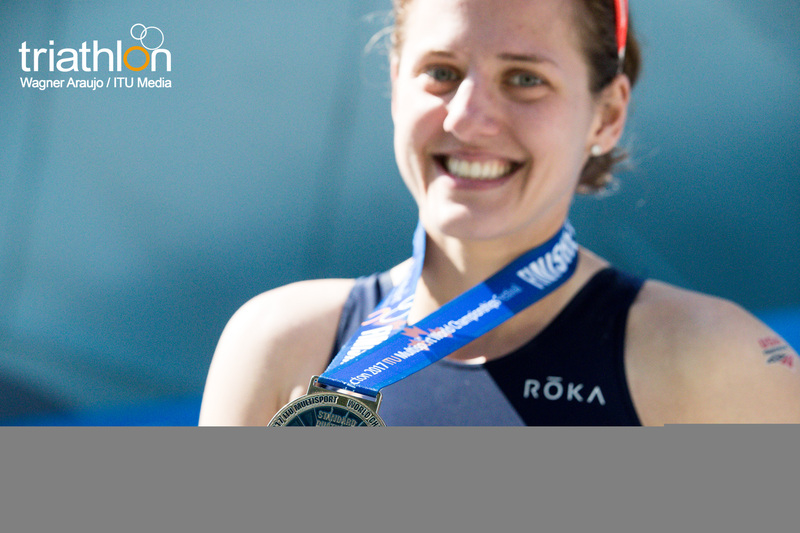 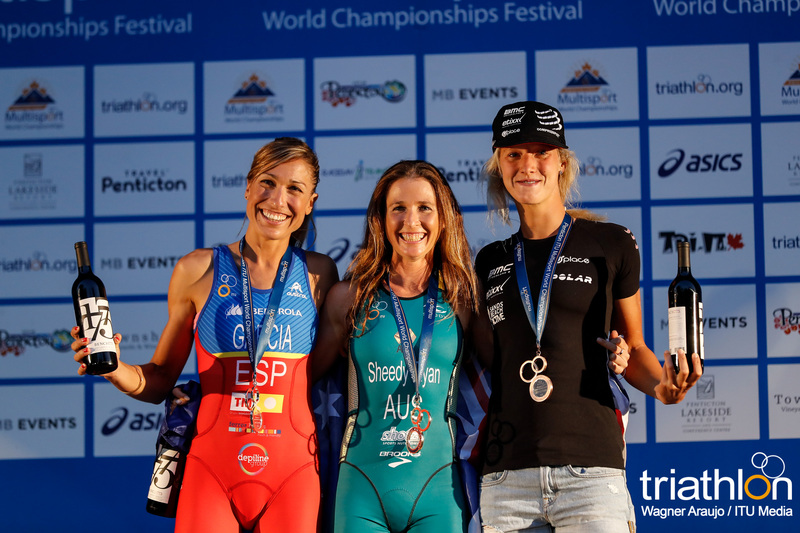 She is the reigning ETU European Champion and was also the bronze medal finisher in the Duathlon World Championships in 2015. 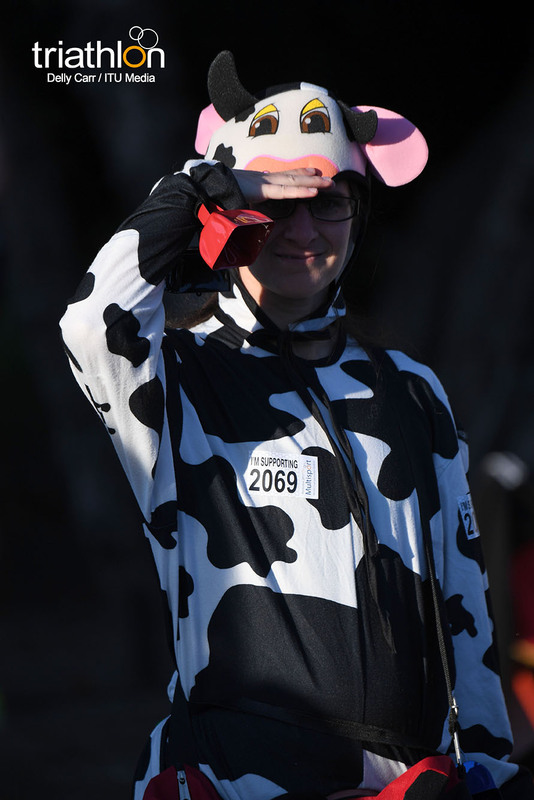 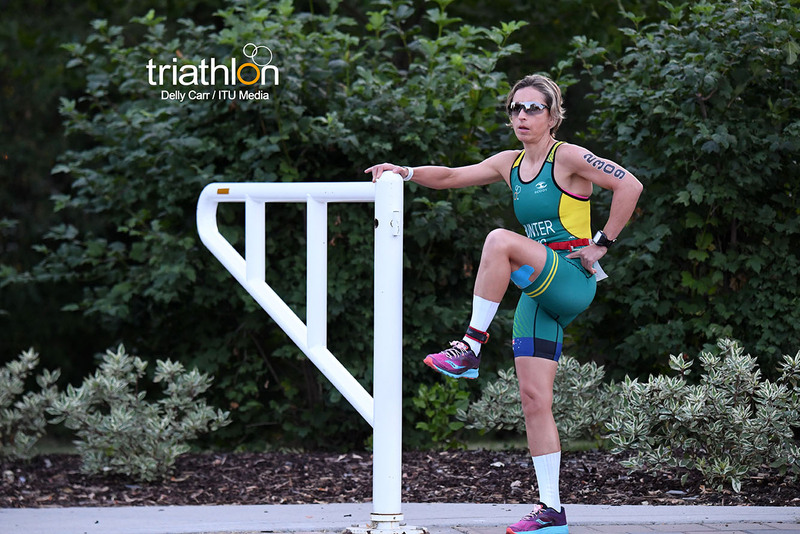 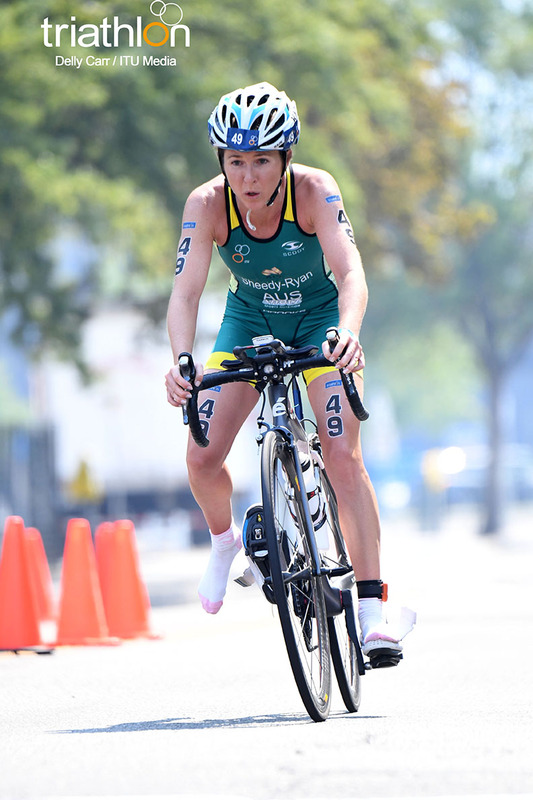 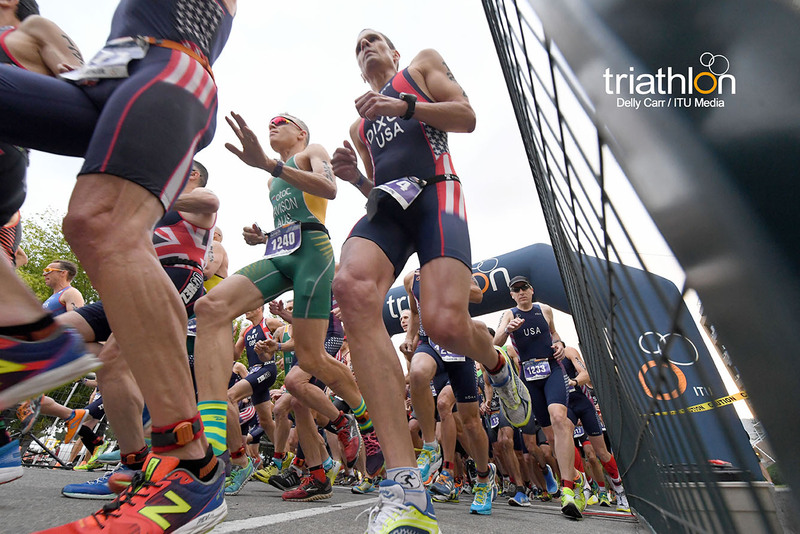 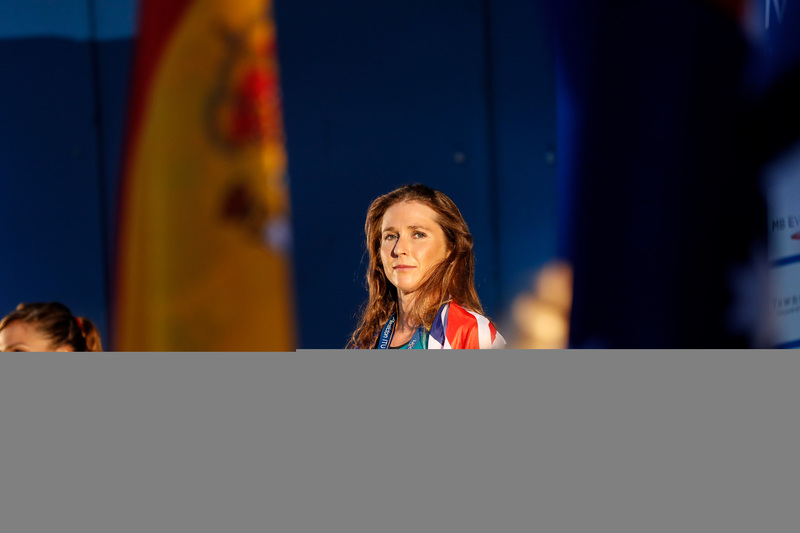 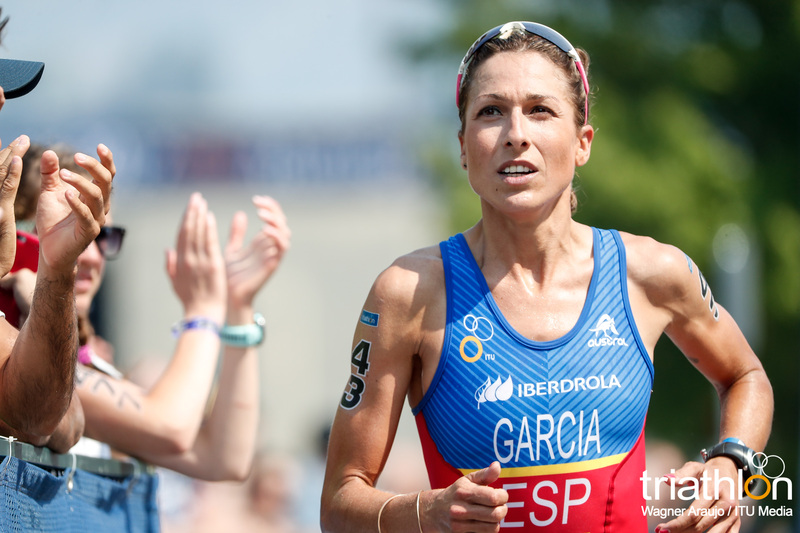 Earning a victory on Saturday would return her to the top of the podium as she was the 2014 Duathlon World Champion. 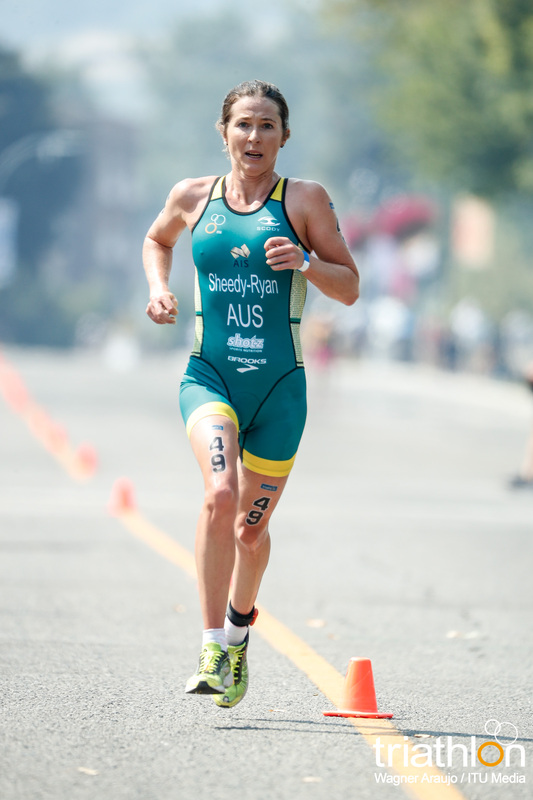 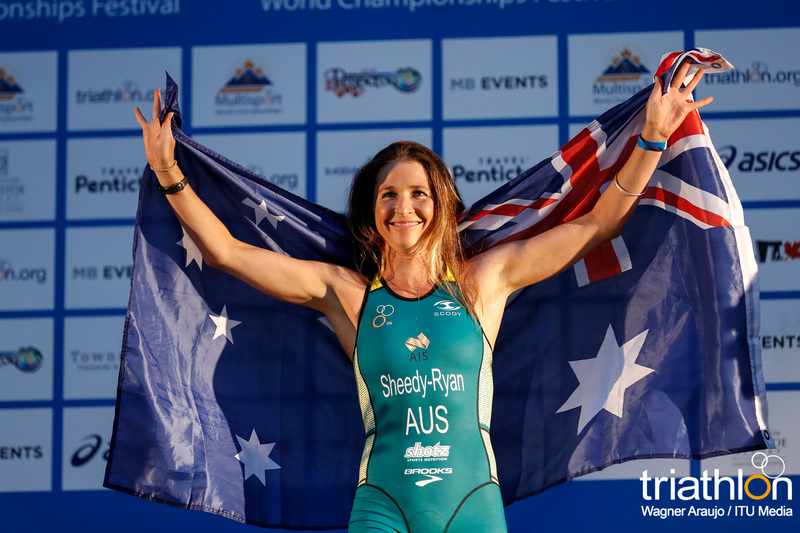 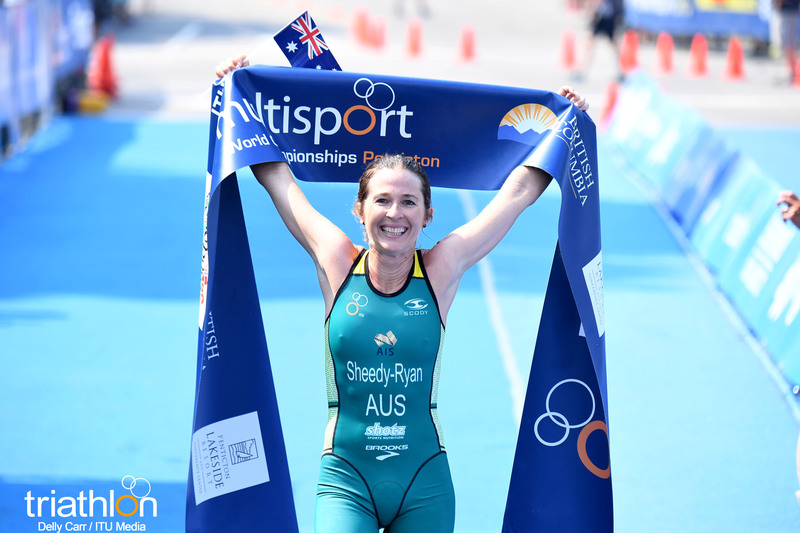 Another past World Champion is Aussie Felicity Sheedy-Ryan. 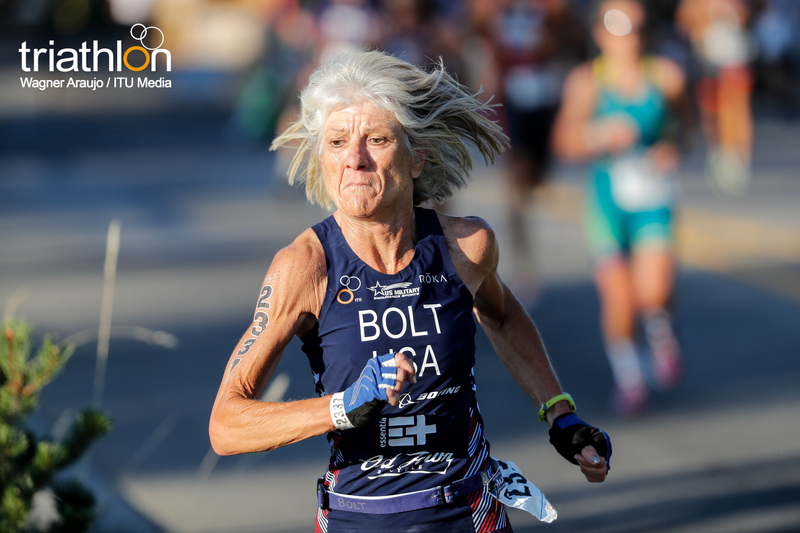 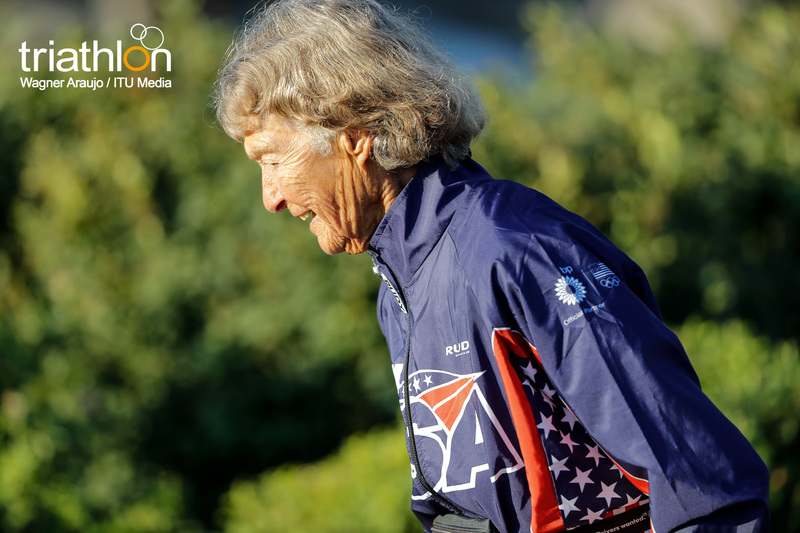 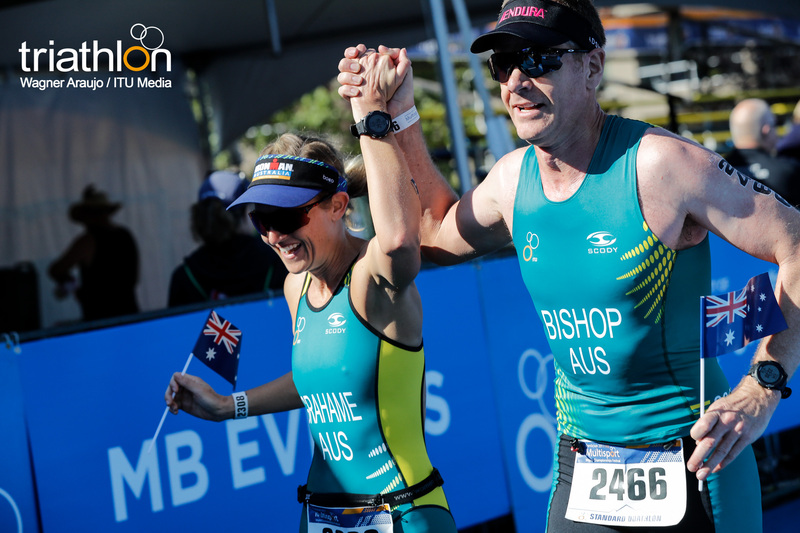 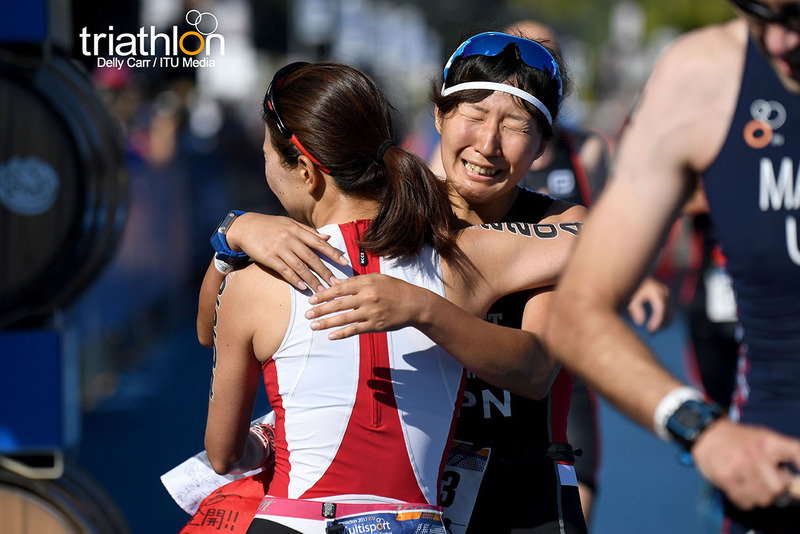 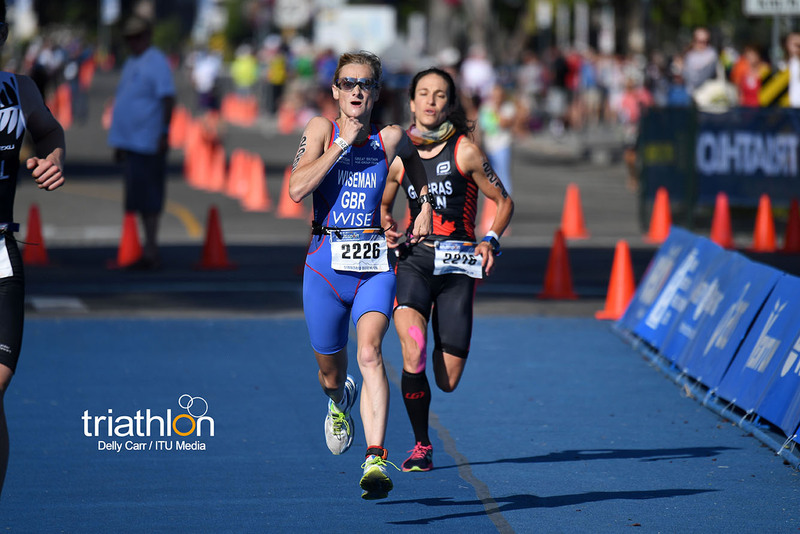 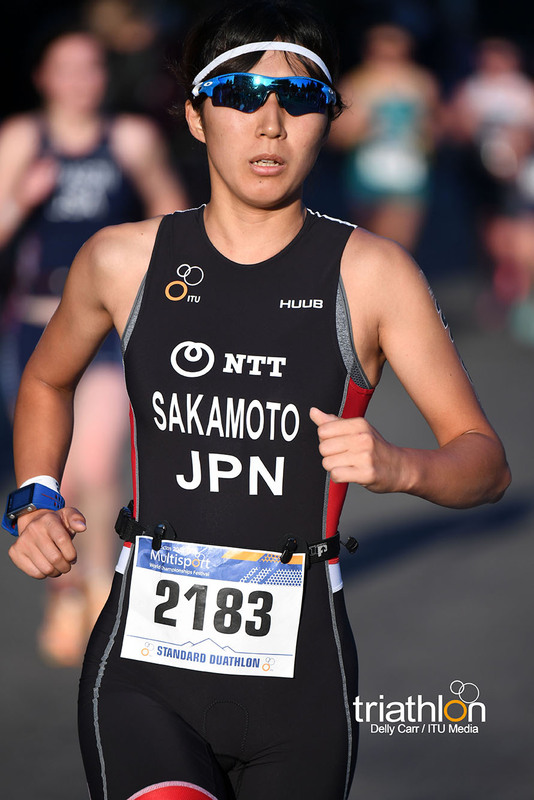 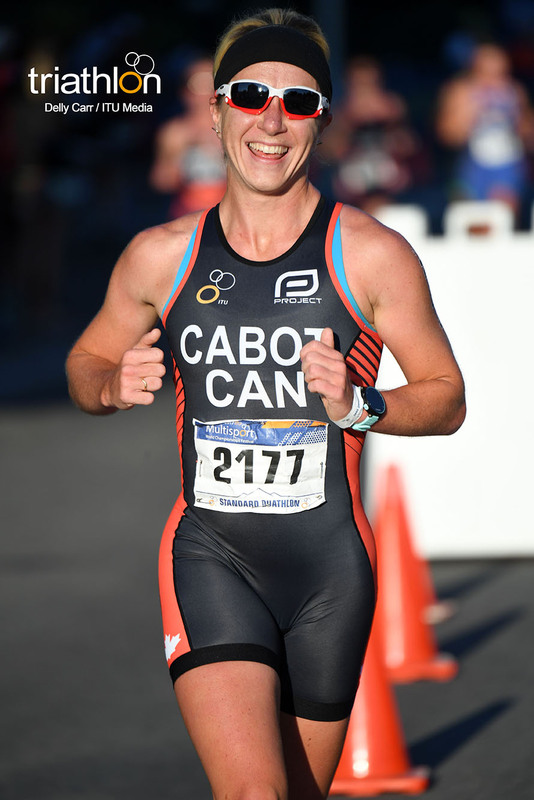 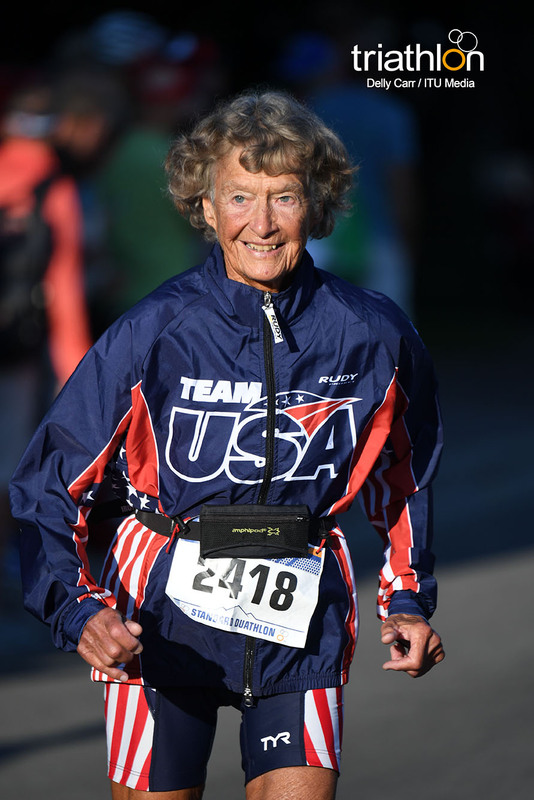 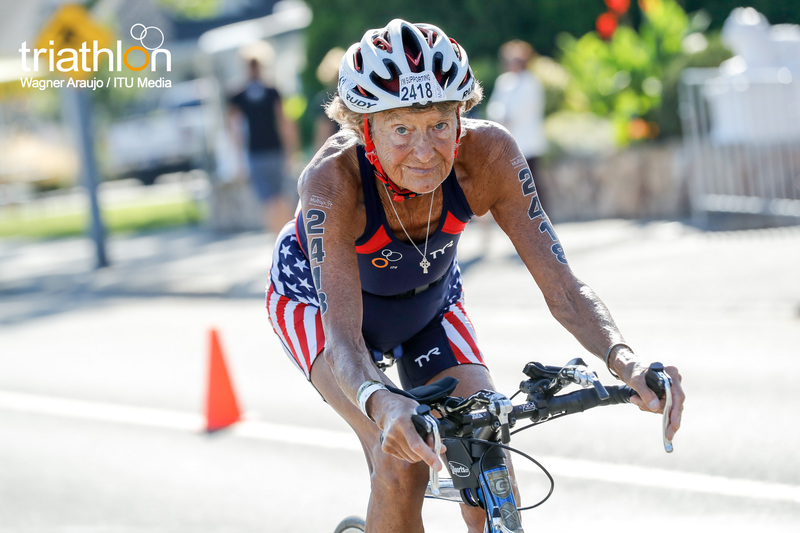 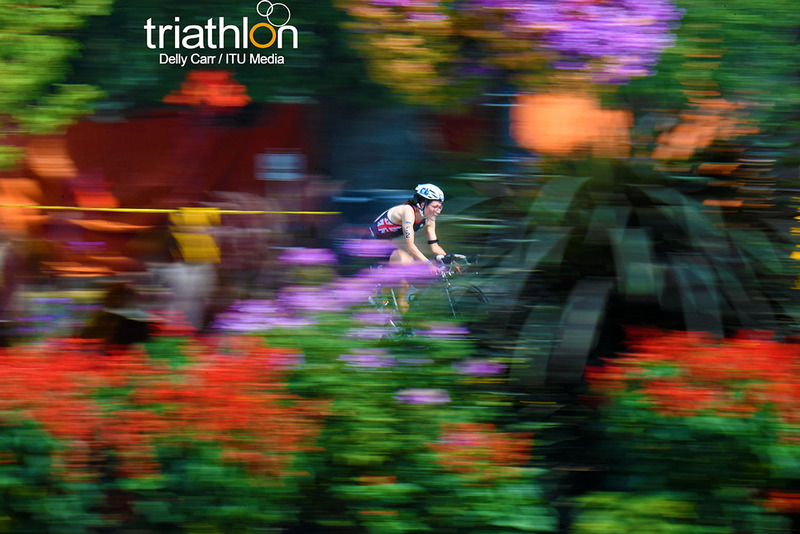 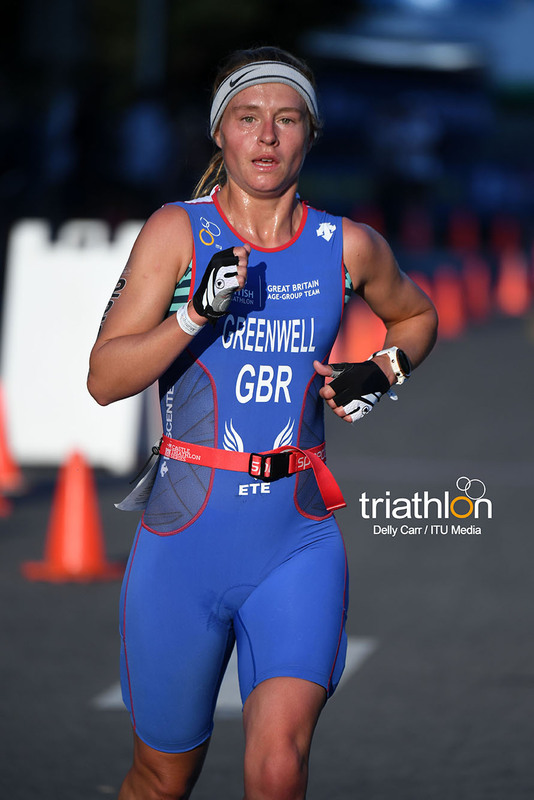 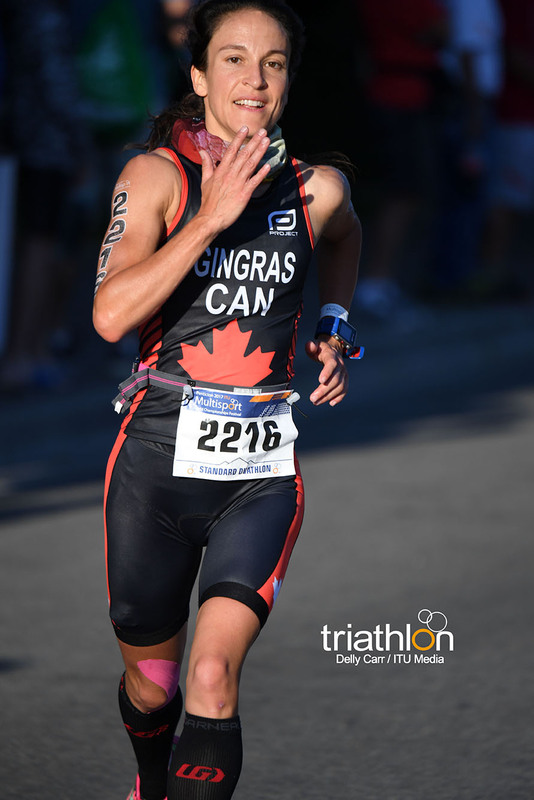 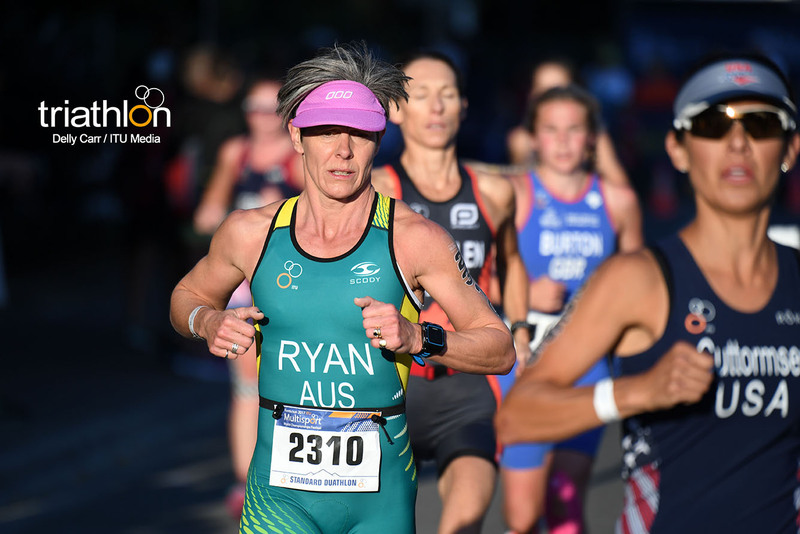 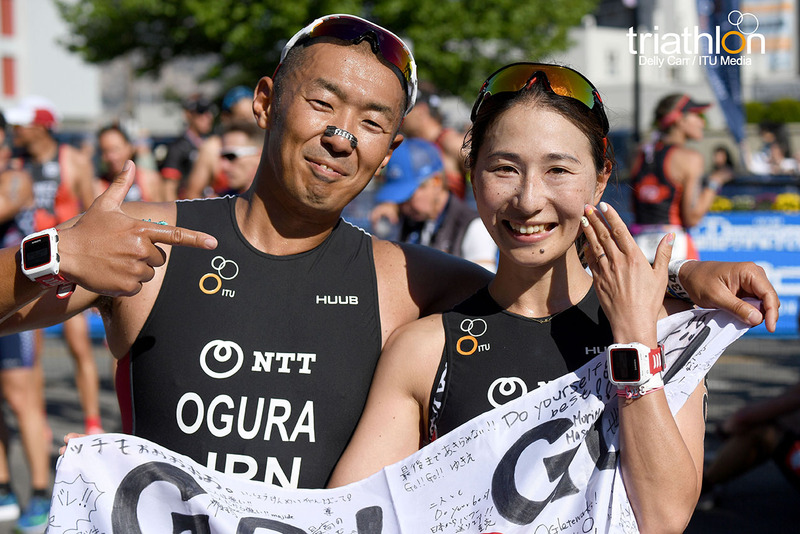 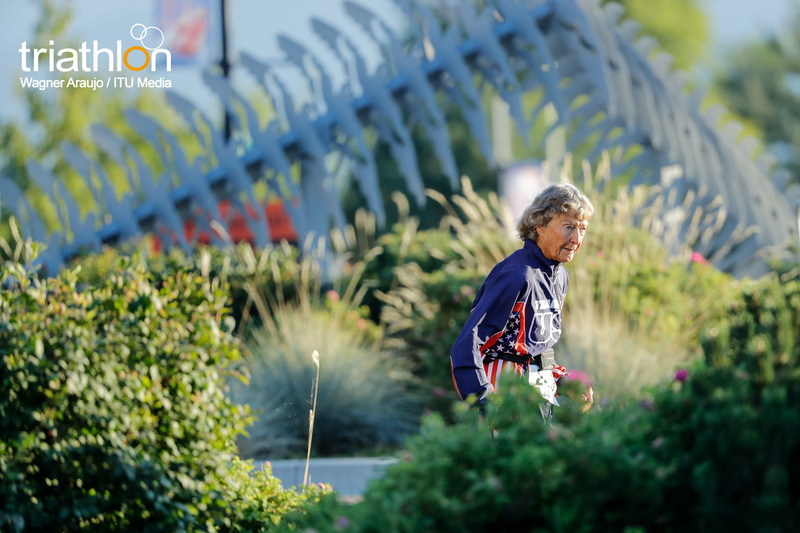 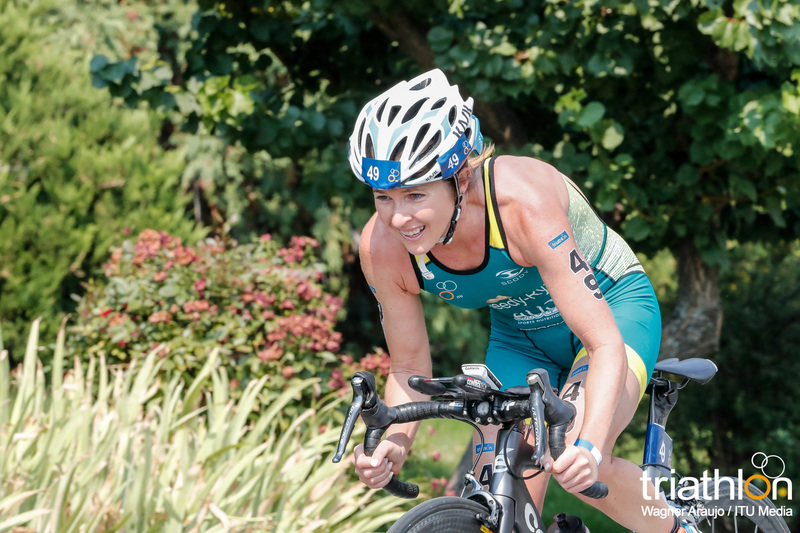 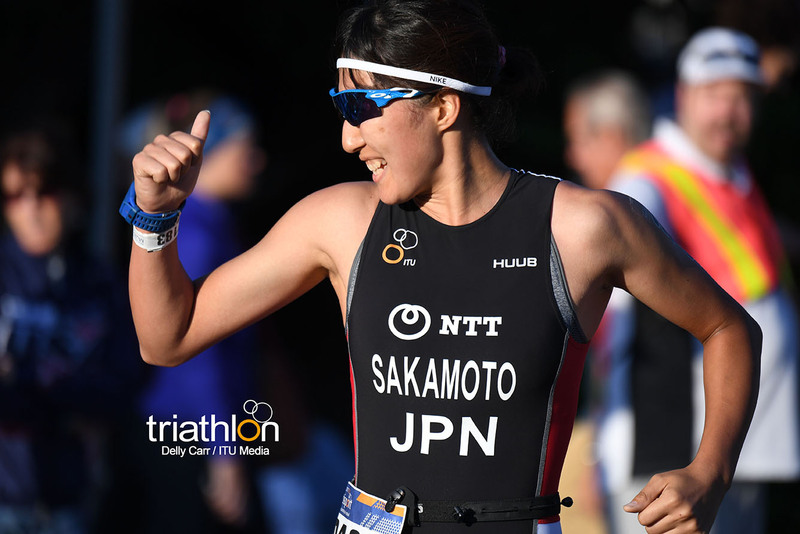 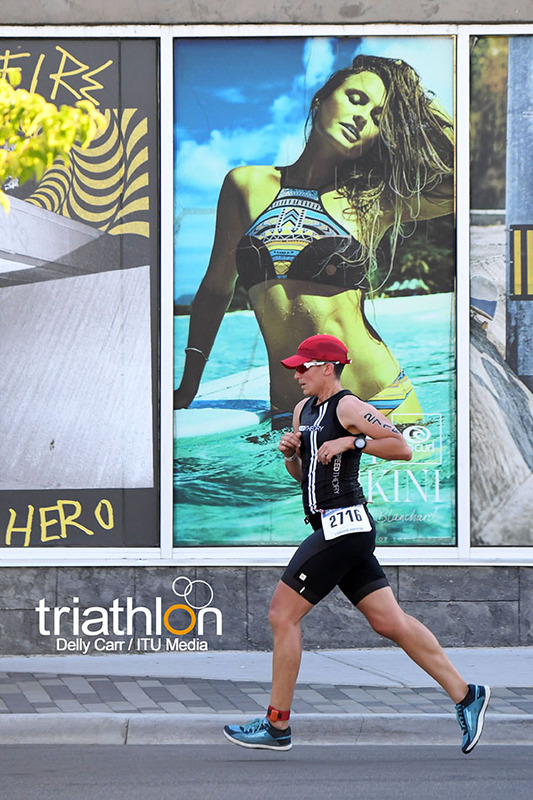 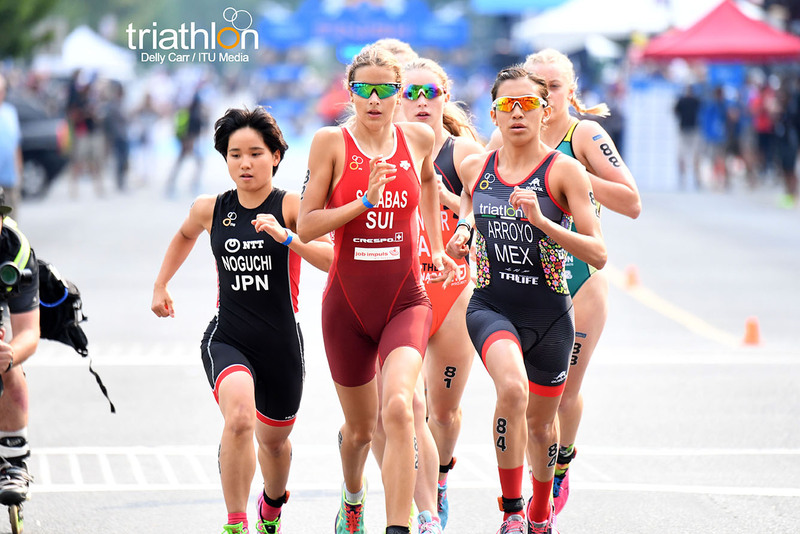 As a regular in the triathlon World Triathlon Series and World Cup circuit, she excels in the bike and run, making duathlon a perfect combination. 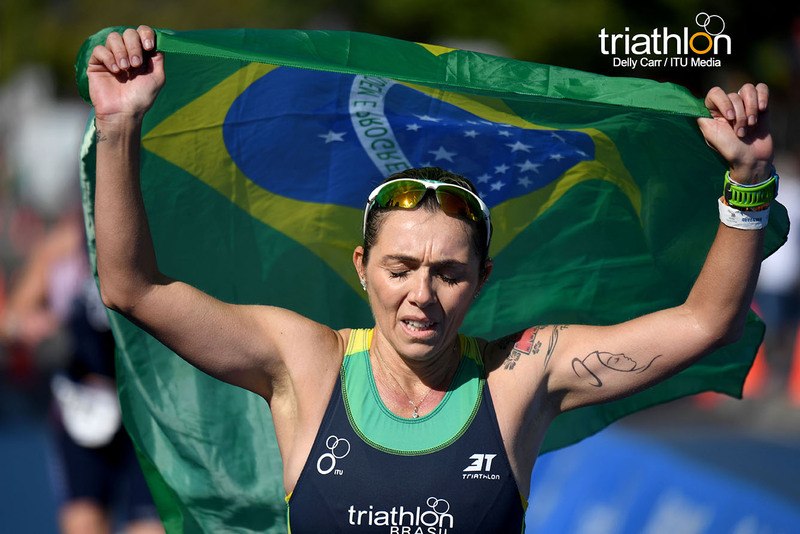 She earned the World Title in 2012, so is eager to reclaim the honour this weekend. 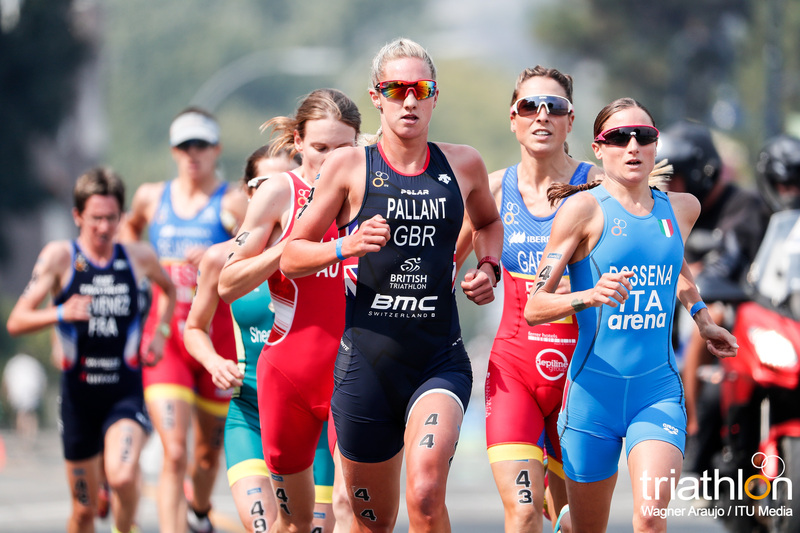 However, the leading contender for the women is Great Britain’s Emma Pallant. 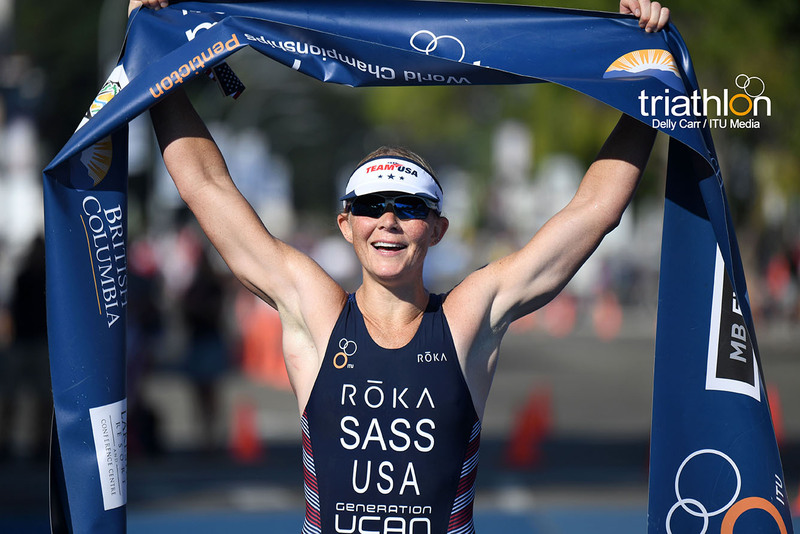 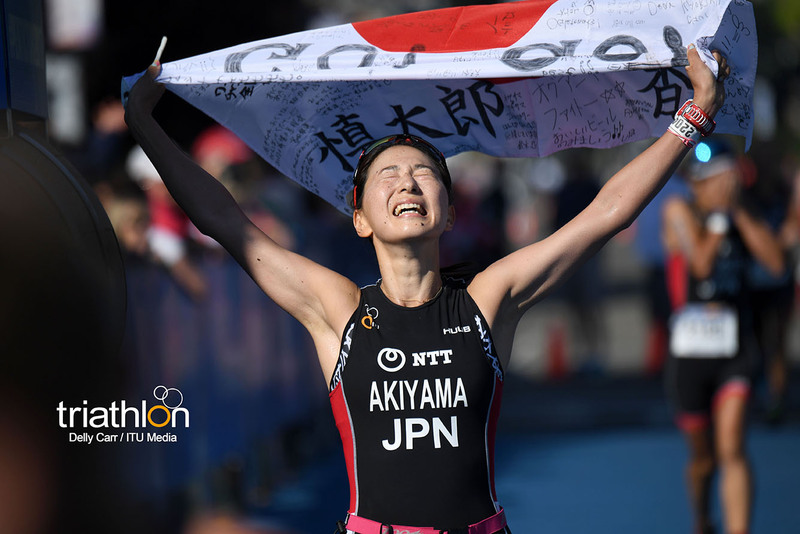 Getting the victory this week would earn her a three-peat title as she enters the race as the reigning 2015 and 2016 Duathlon World Champion. 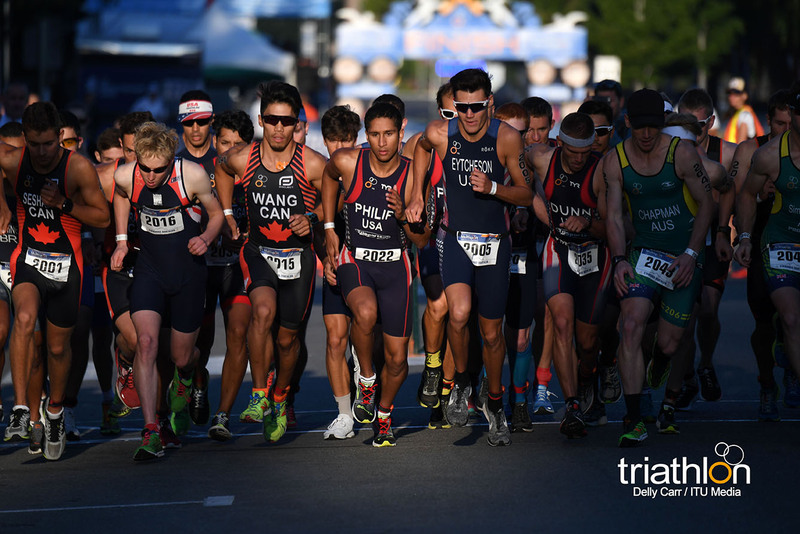 The U23 men have some strong names in the field to look out for. 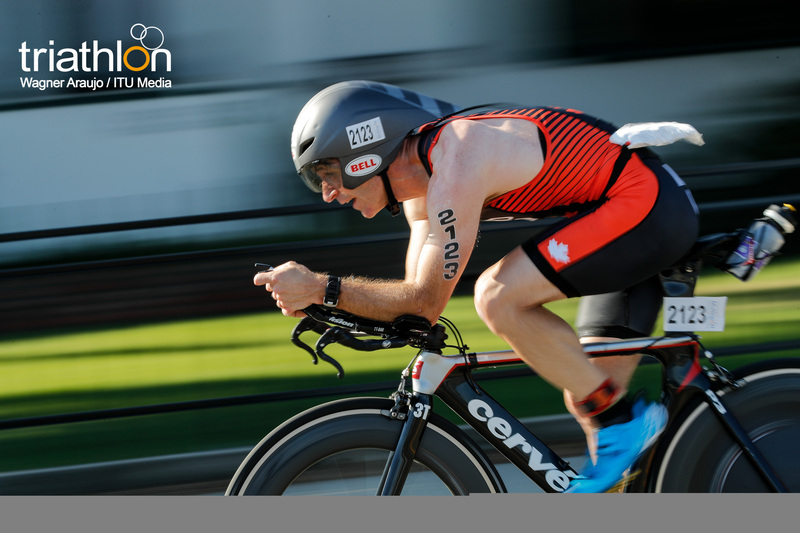 Topping the list is Aussie Matt Smith who won two years in a row as an age group racer. 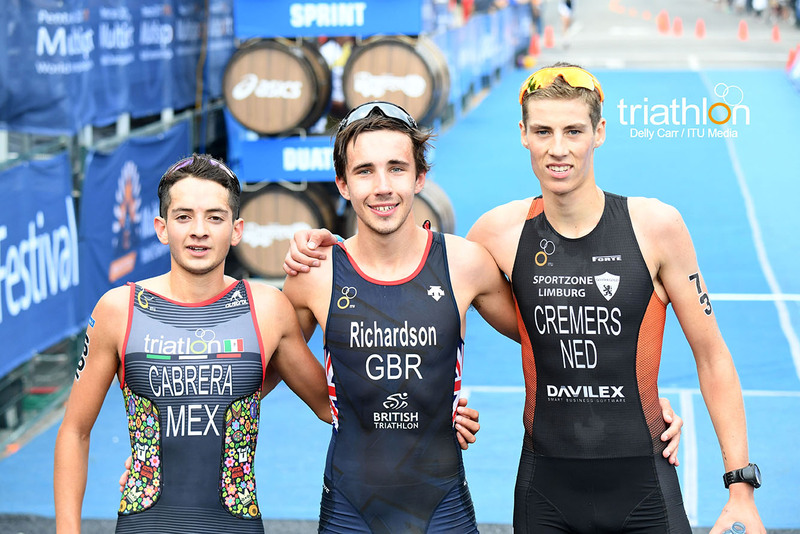 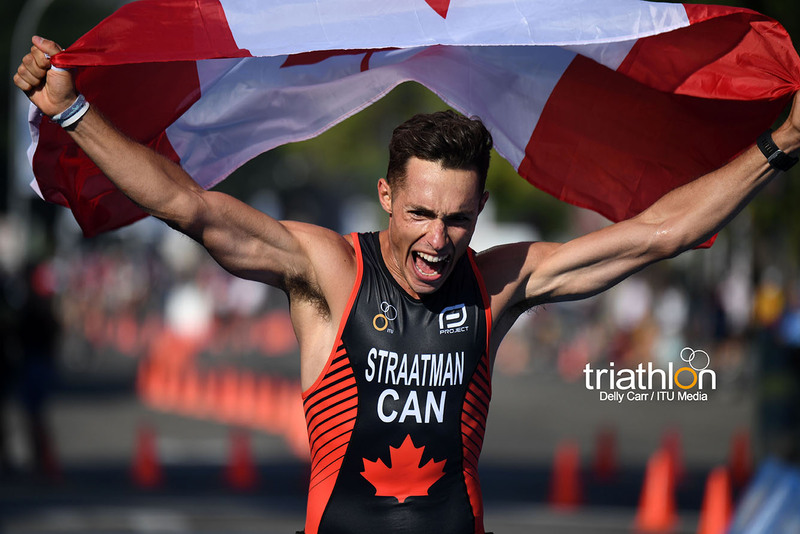 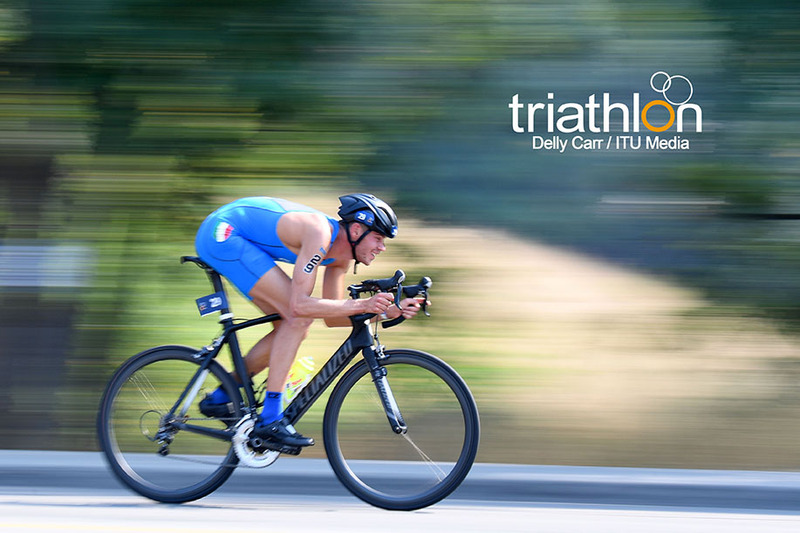 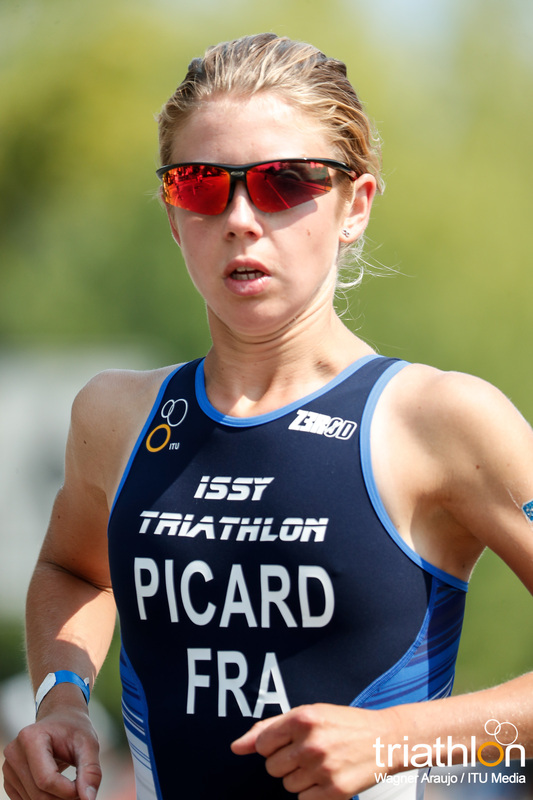 Adrien Brifford (SUI) is a rising talent on the WTS triathlon circuit as a very strong cyclist. 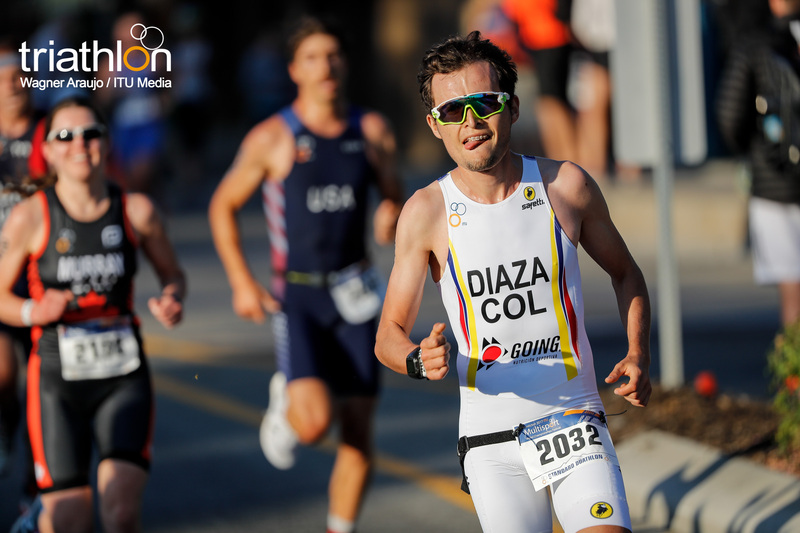 Canadian own Stefan Daniel will have the support of the local crowd. 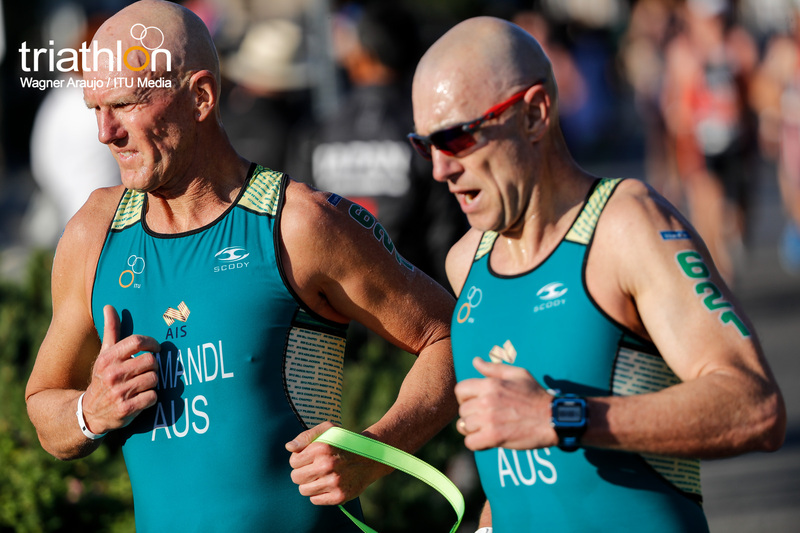 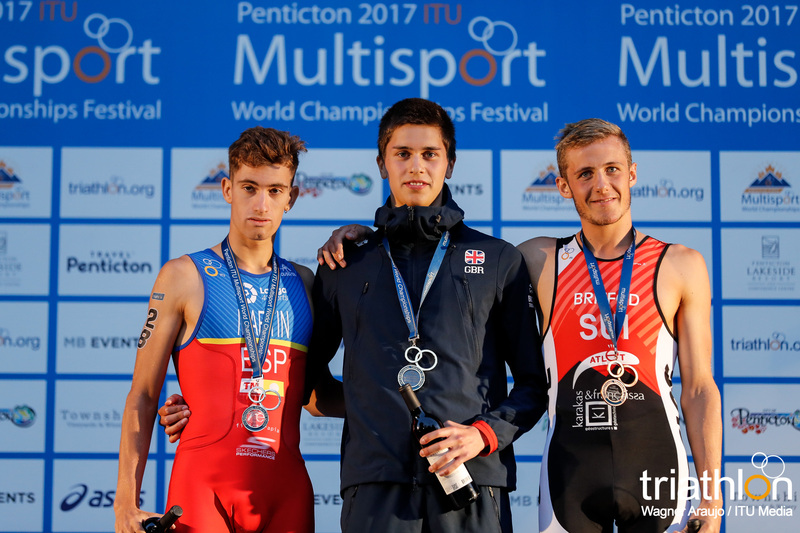 Daniel is a silver medallist from the Rio Paralympics and has been winning in the World Paratriathlon Series, but will be racing in the duathlon world for the first time. 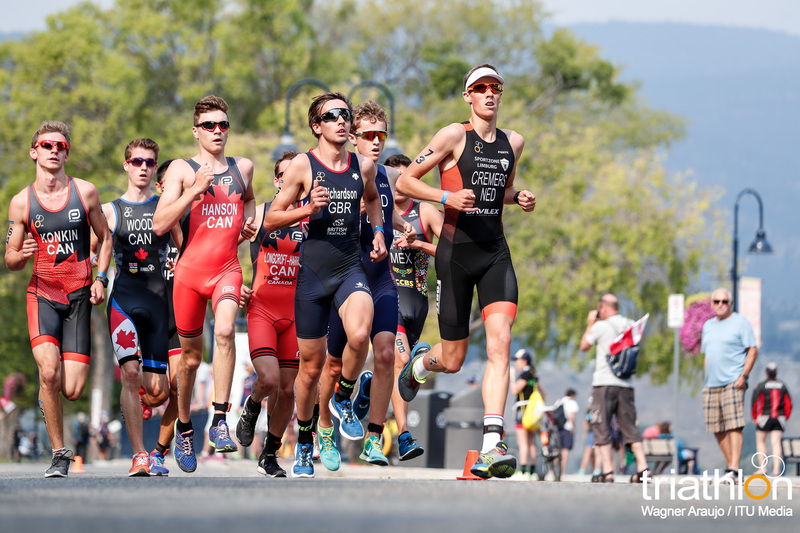 In the junior men’s side, we will see a small field of 13 racers with Canada leading the field with five competitors. 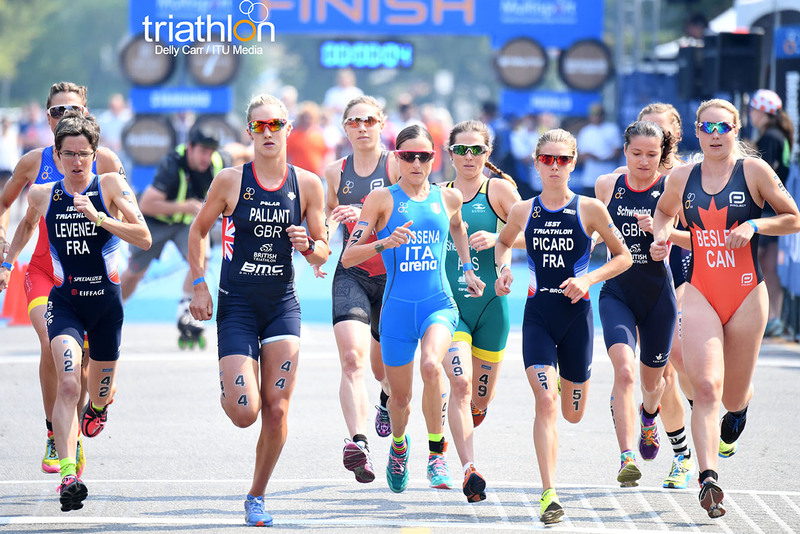 Between the U23 and junior women, there is only 13 lining up. 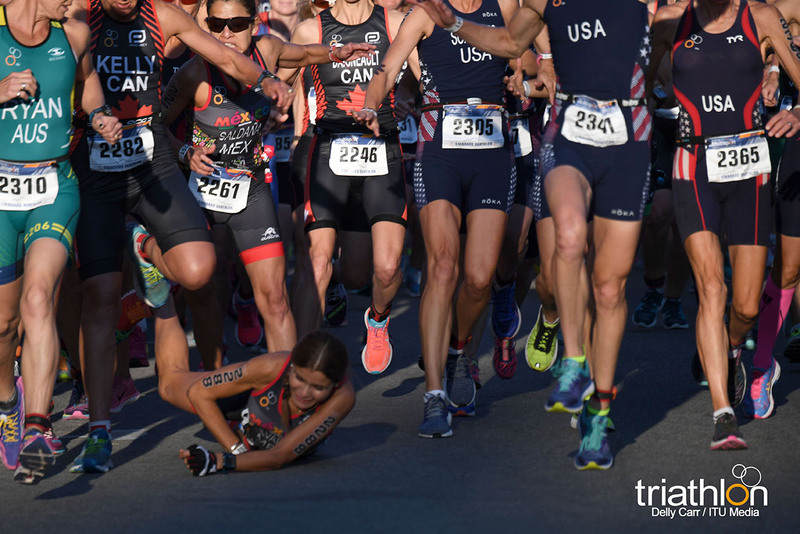 However, within that small field is strong talent. 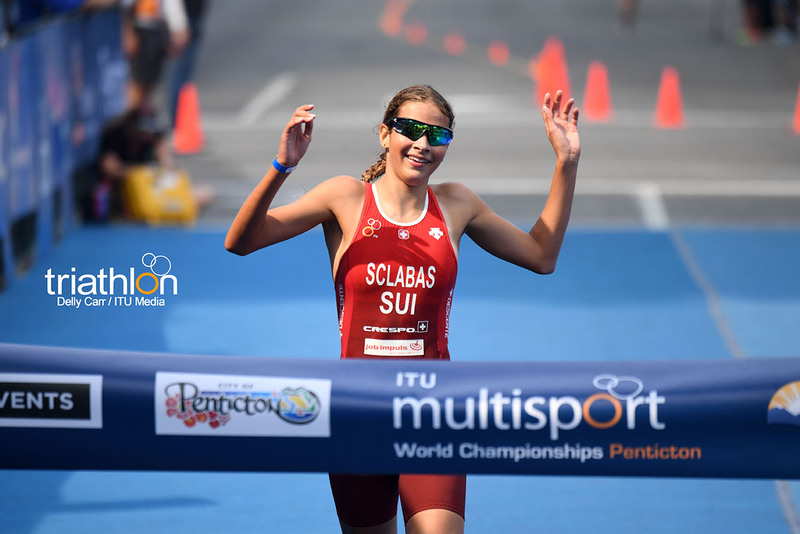 France’s Lucie Picard who is the ETU European Champion for U23 and Delia Sclabas (SUI) who won the Euro title on the junior side are within the mix. 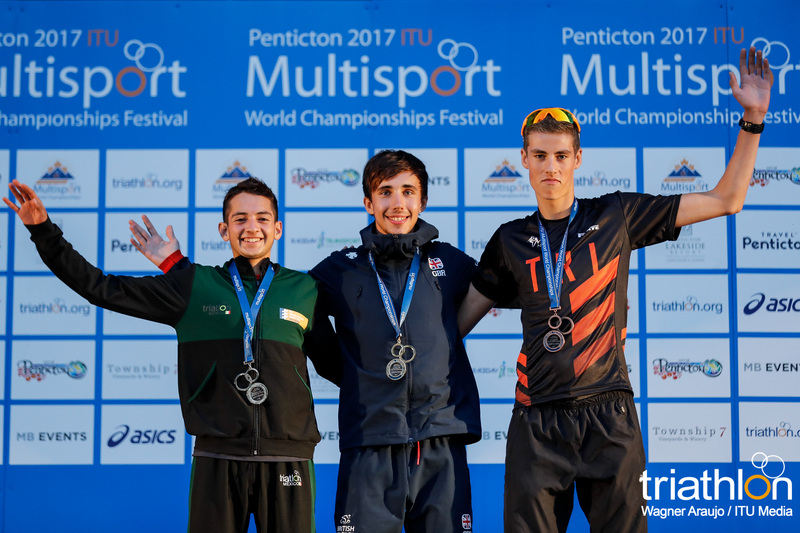 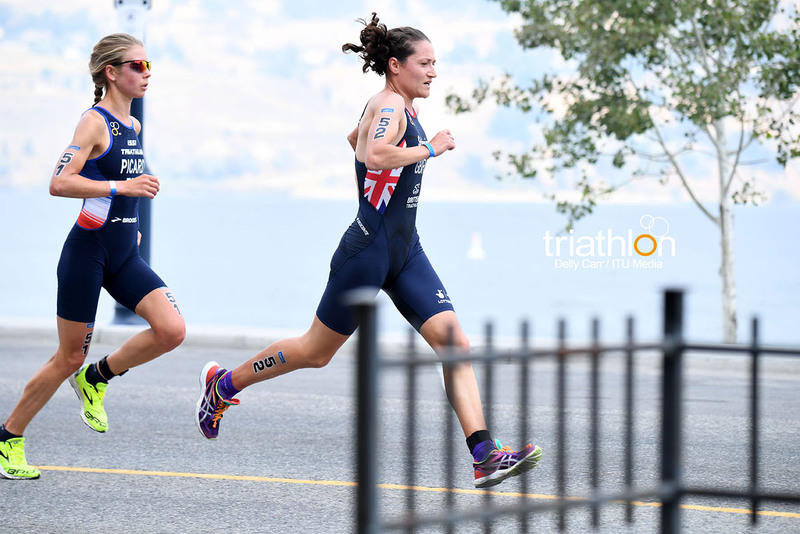 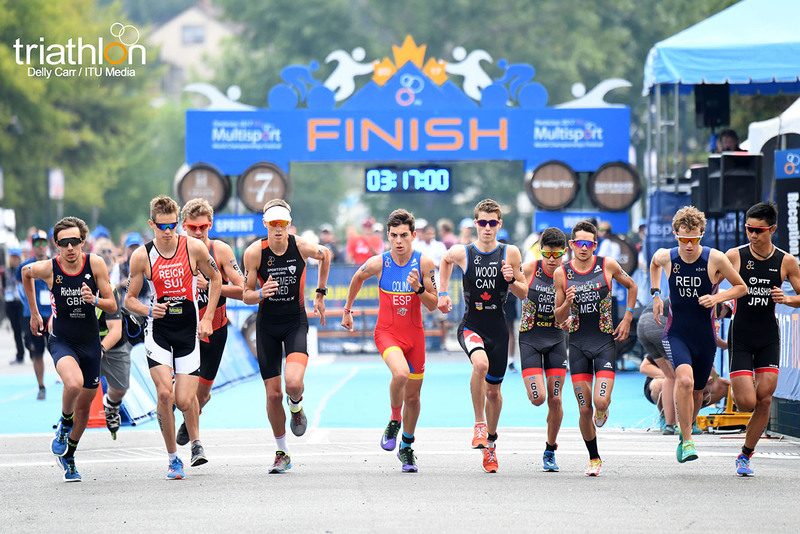 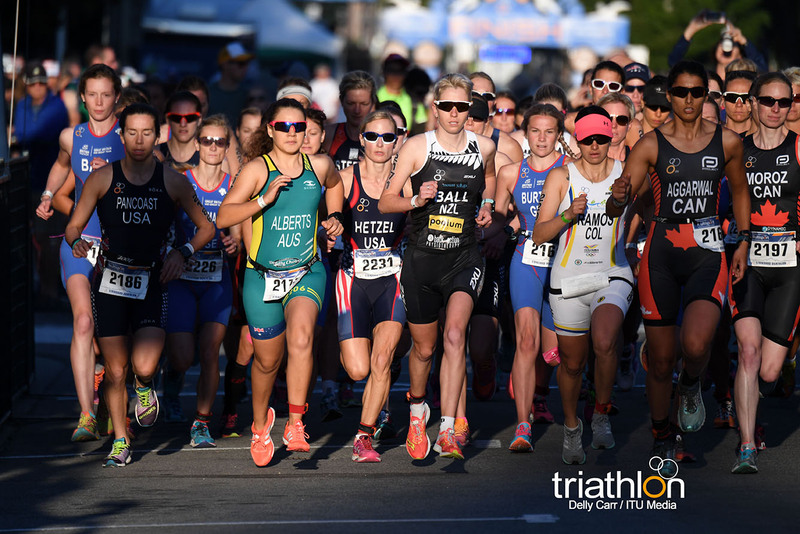 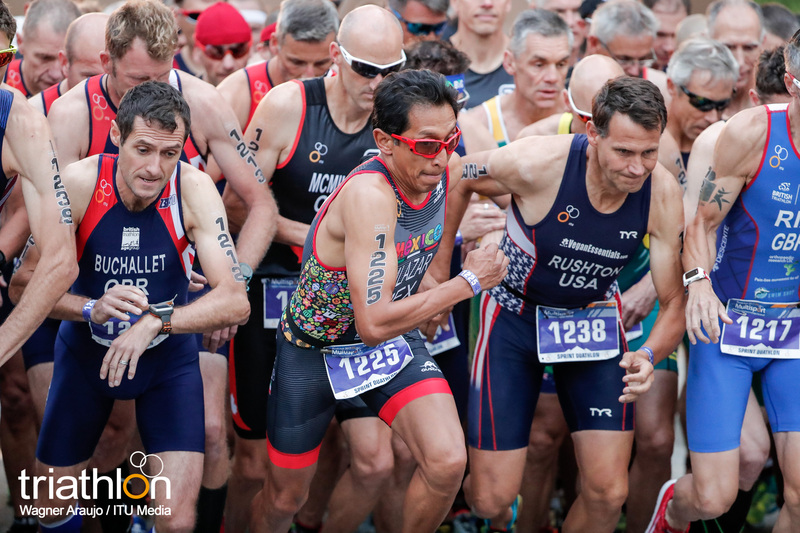 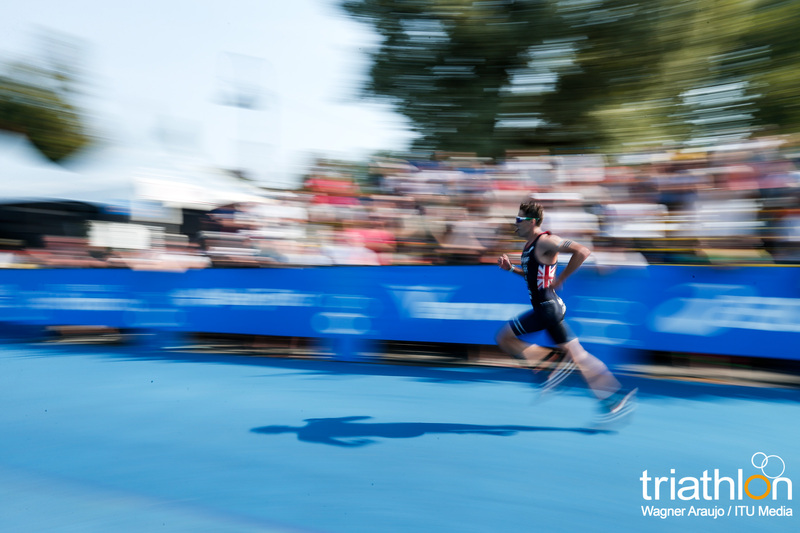 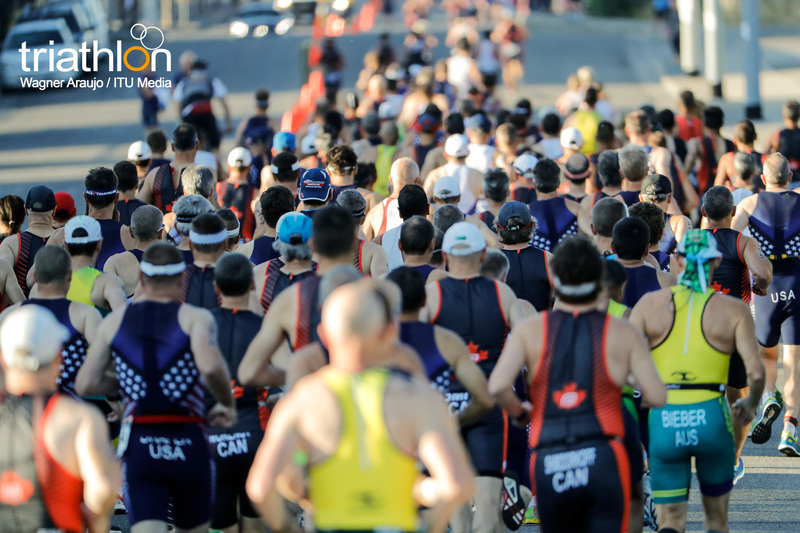 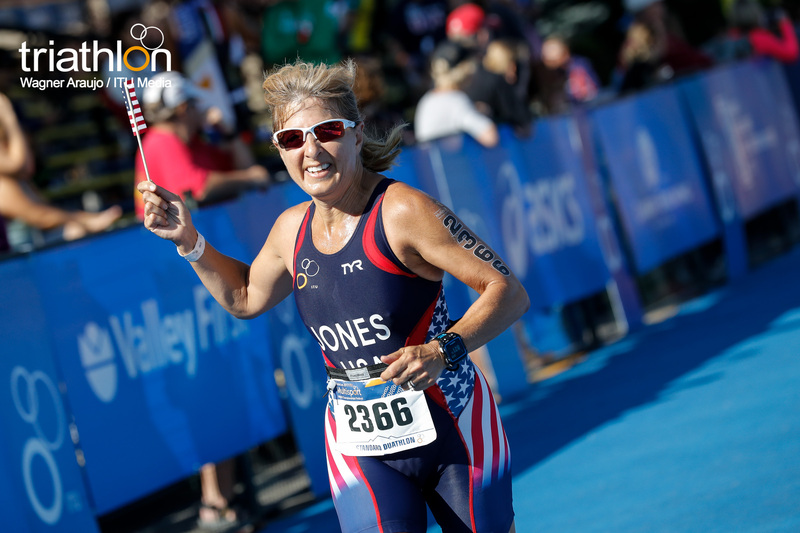 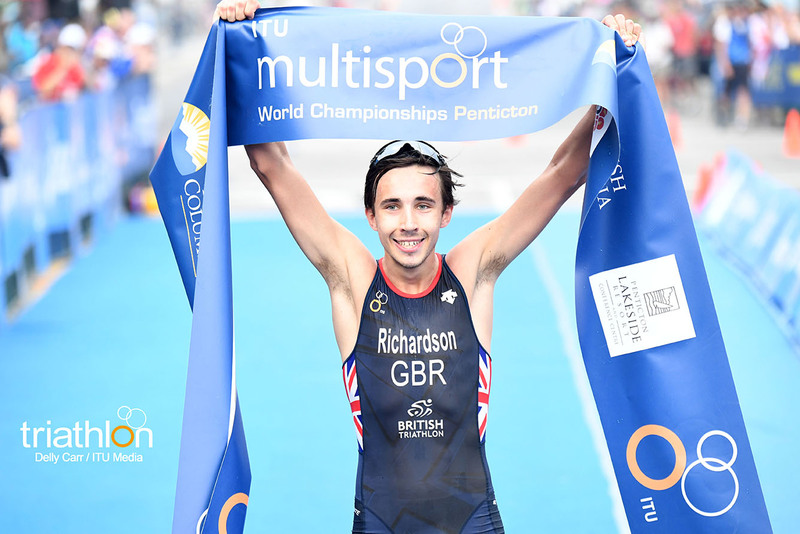 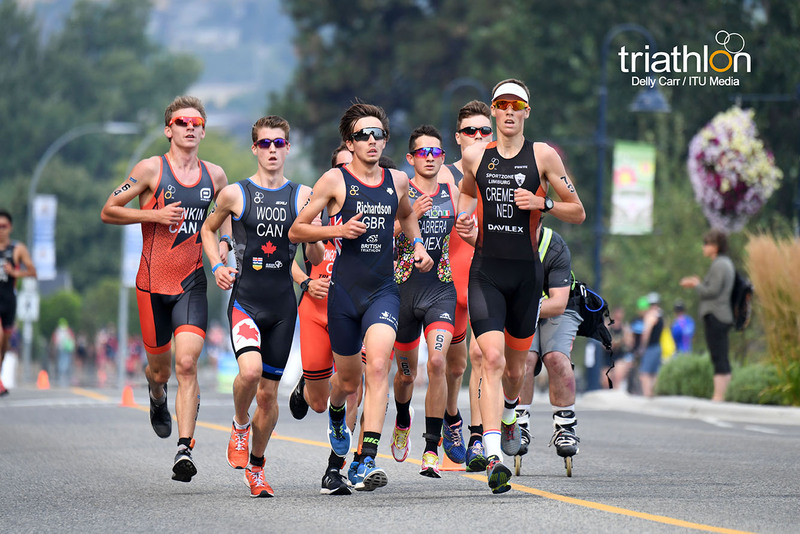 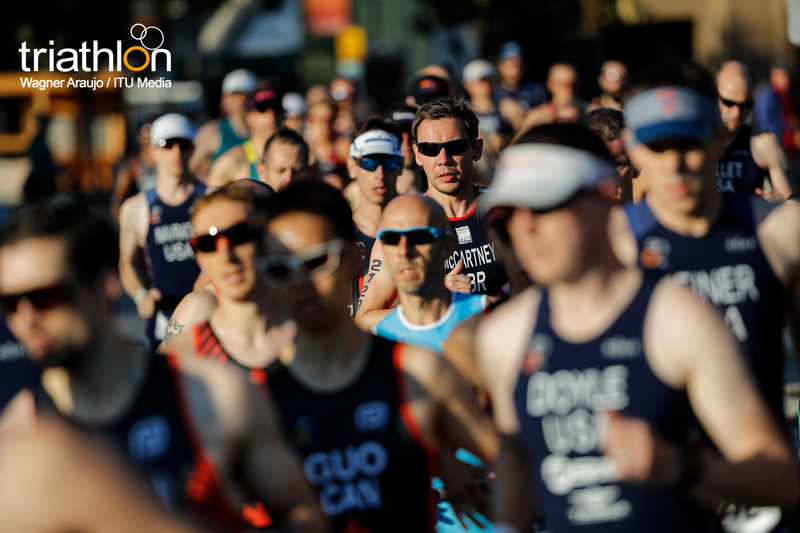 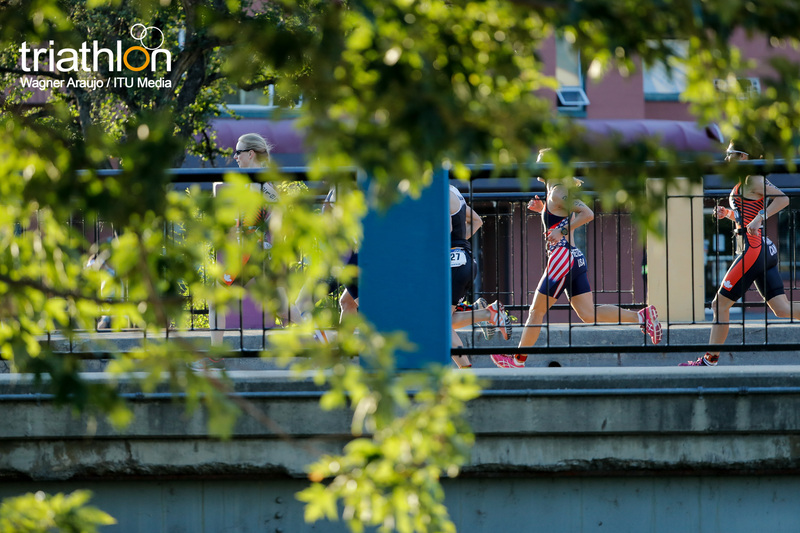 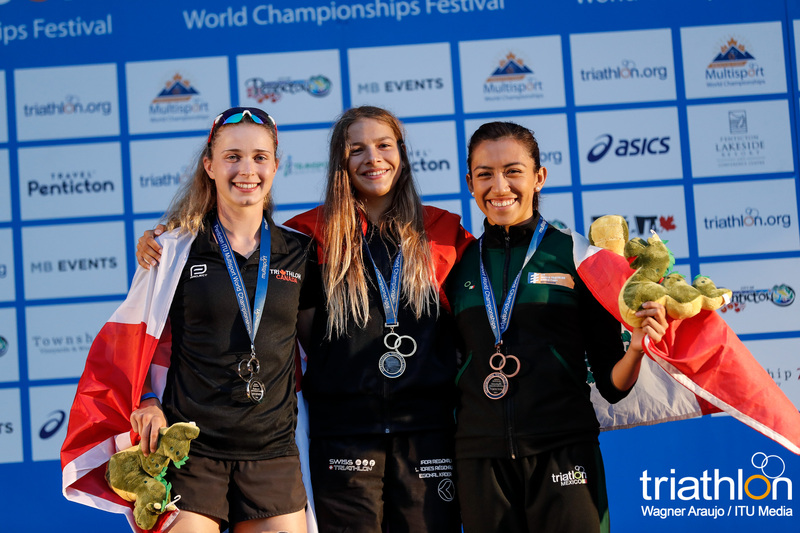 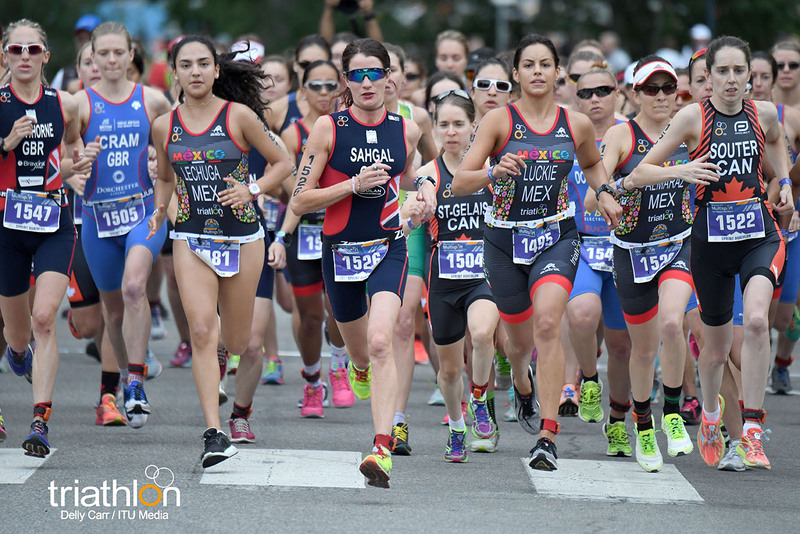 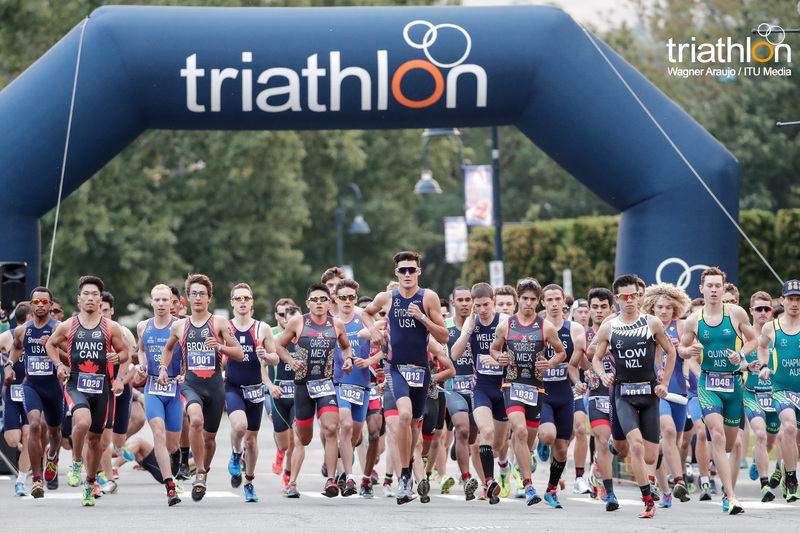 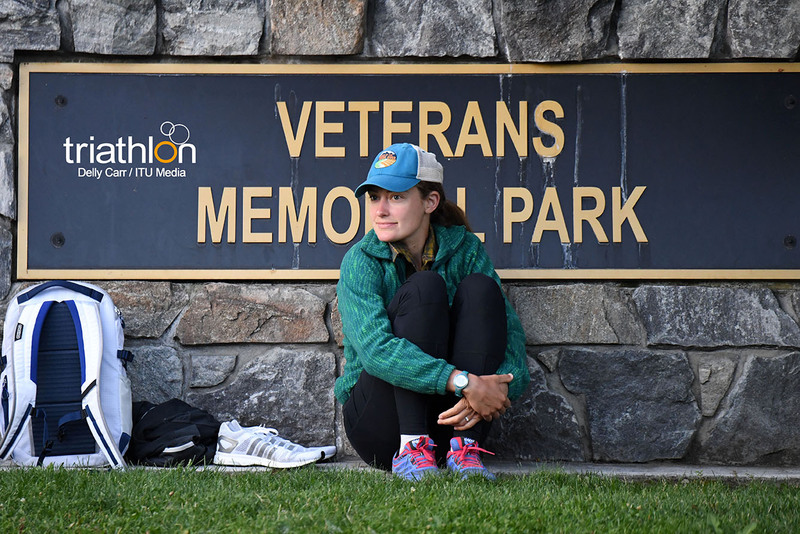 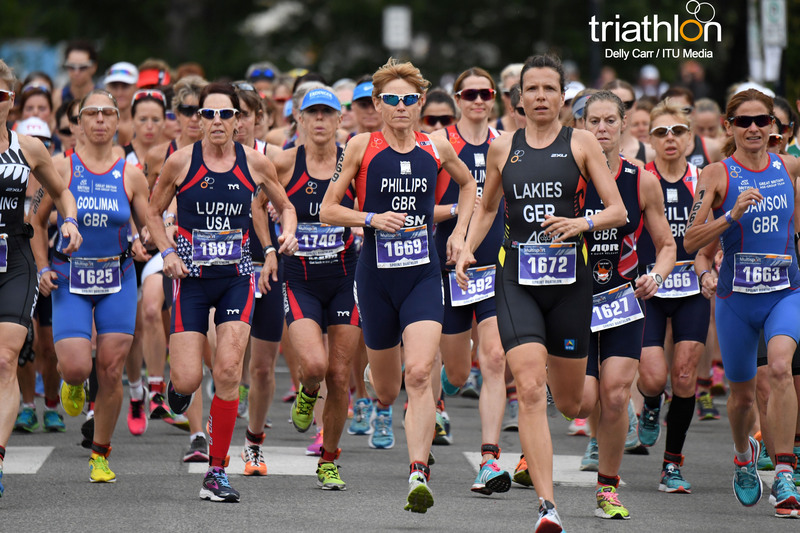 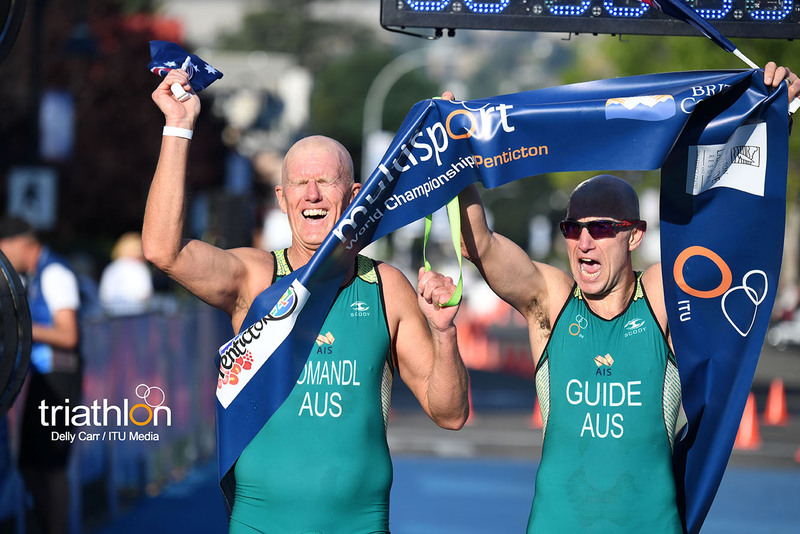 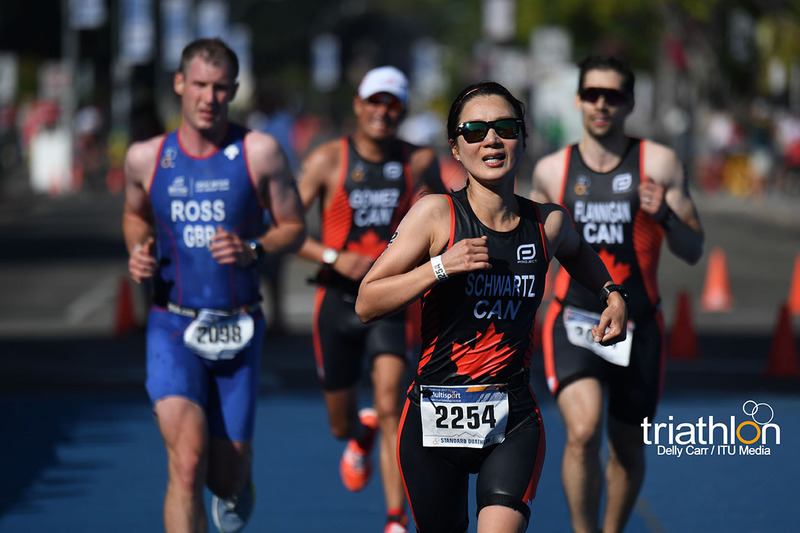 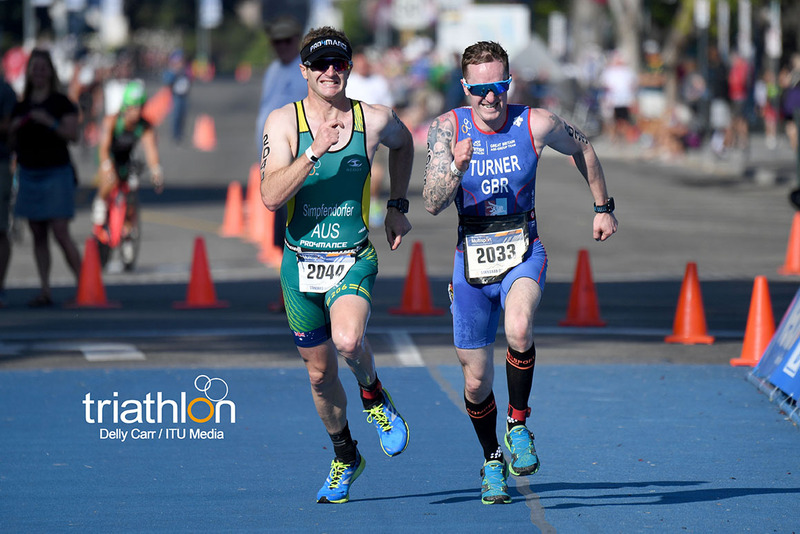 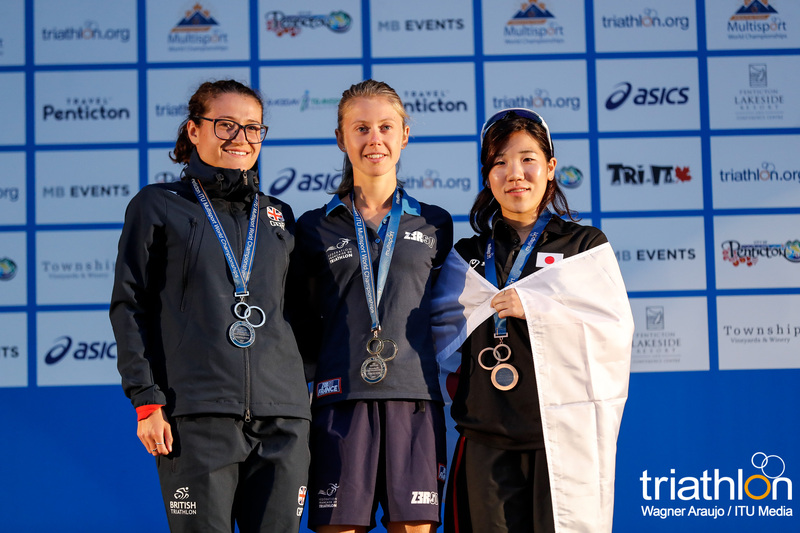 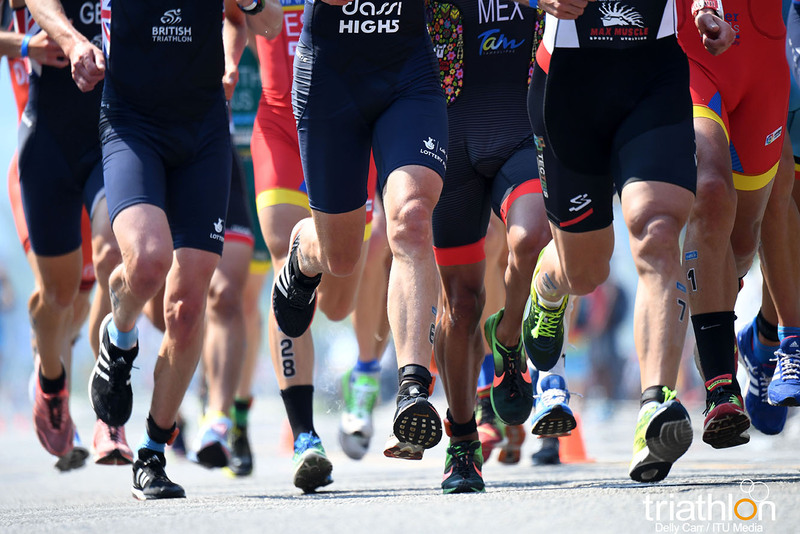 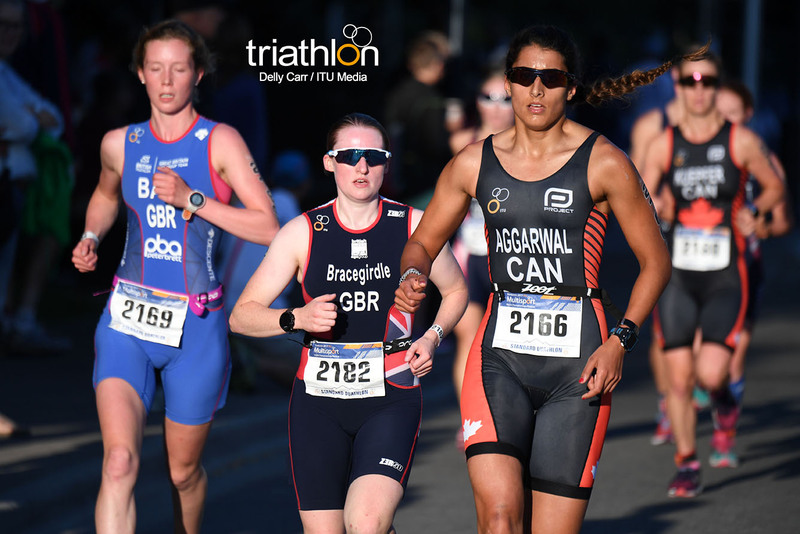 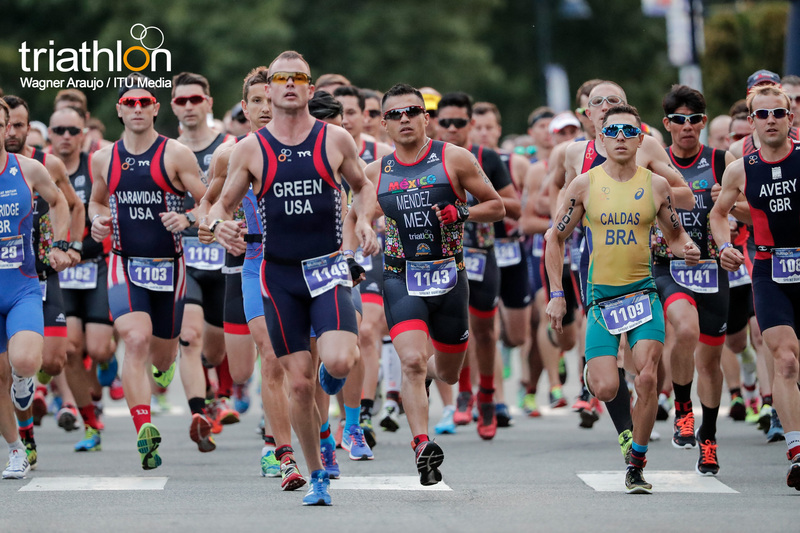 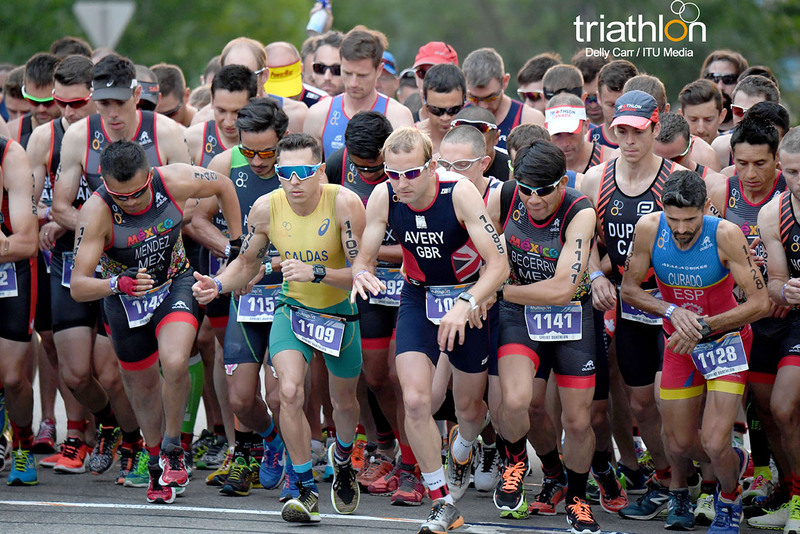 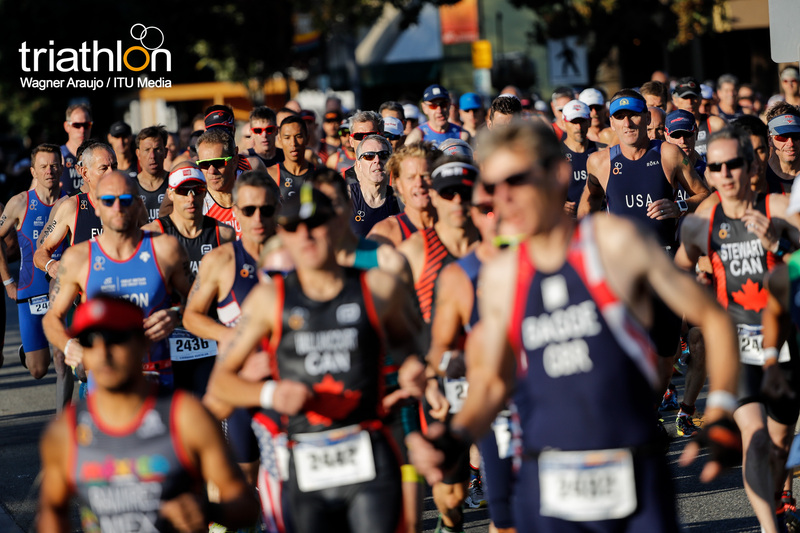 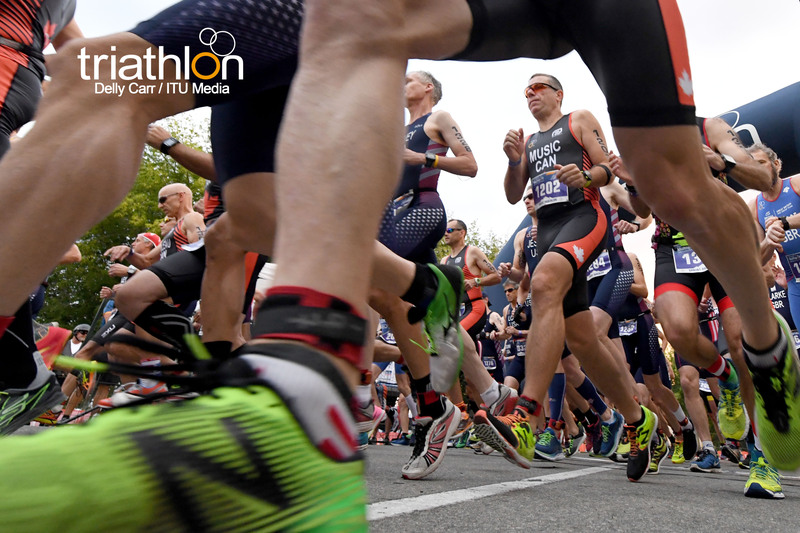 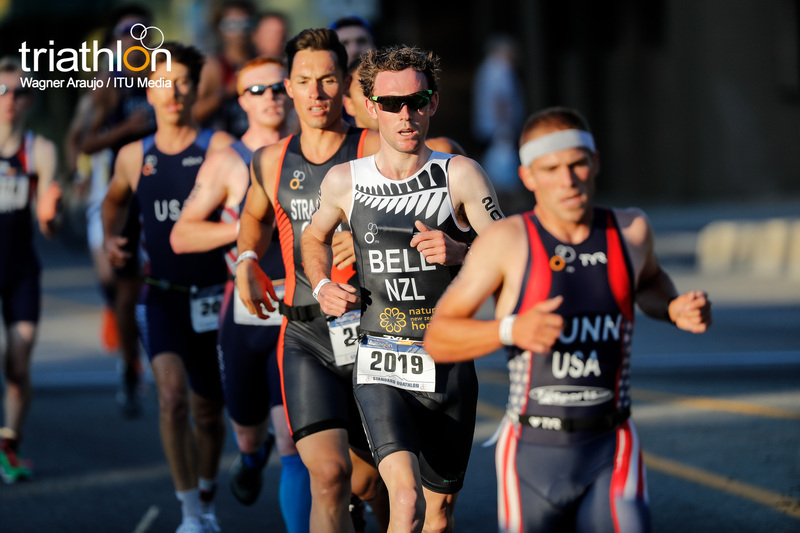 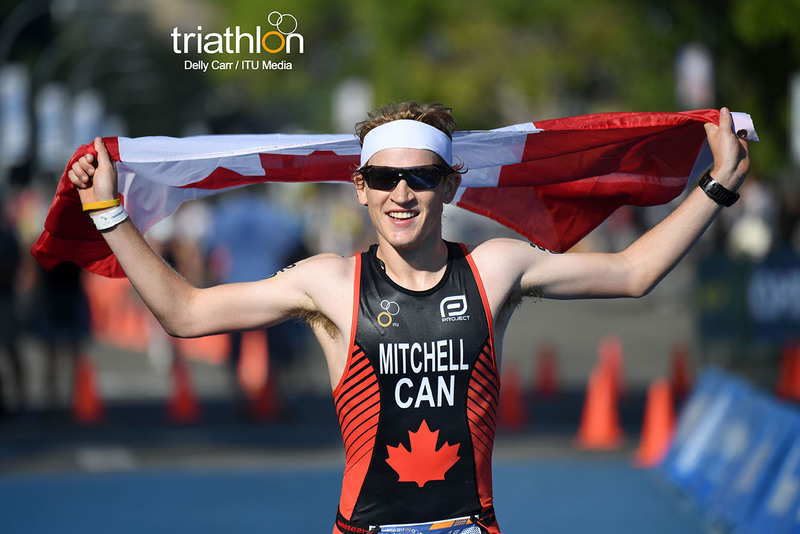 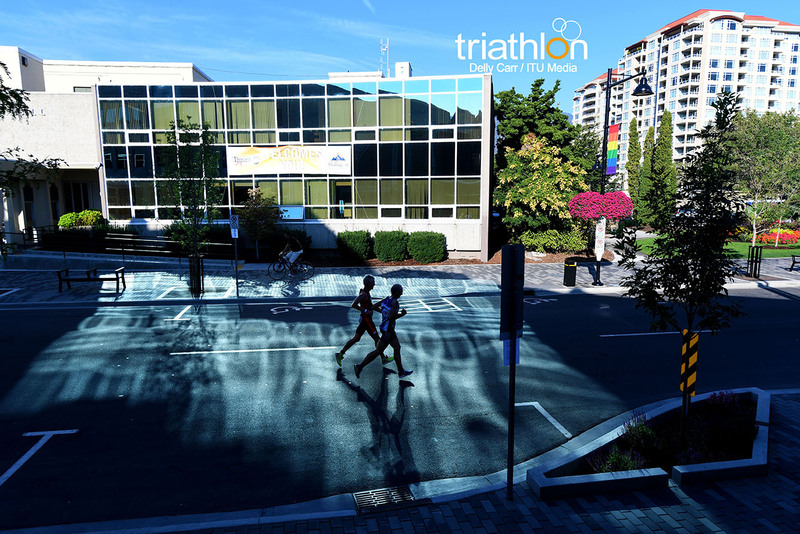 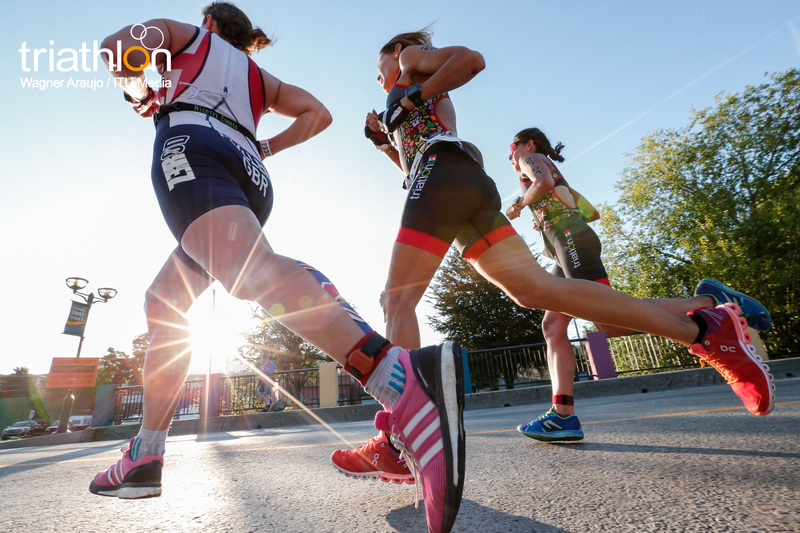 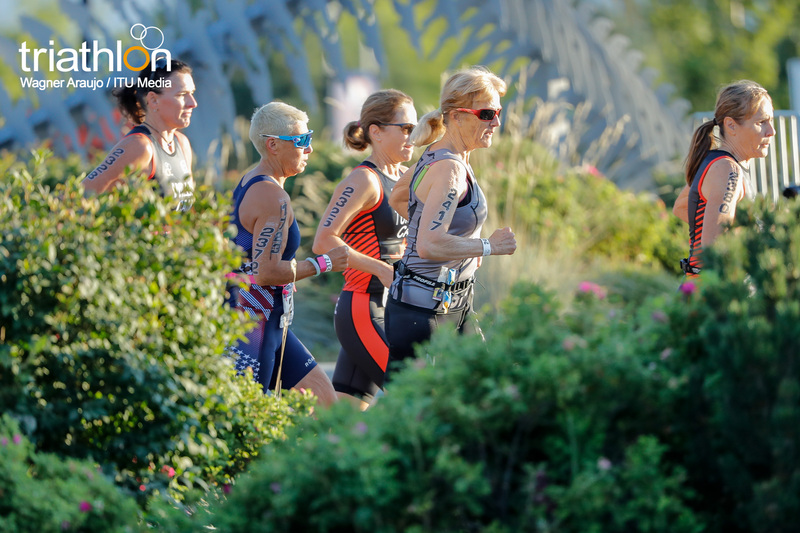 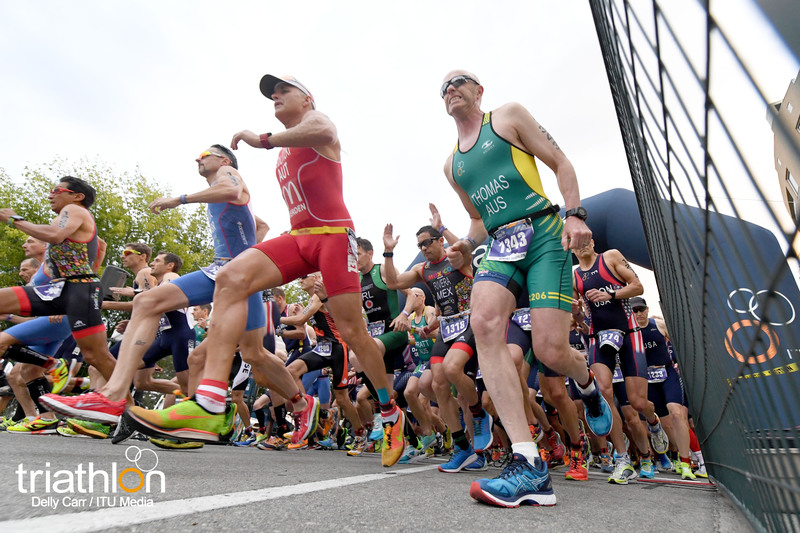 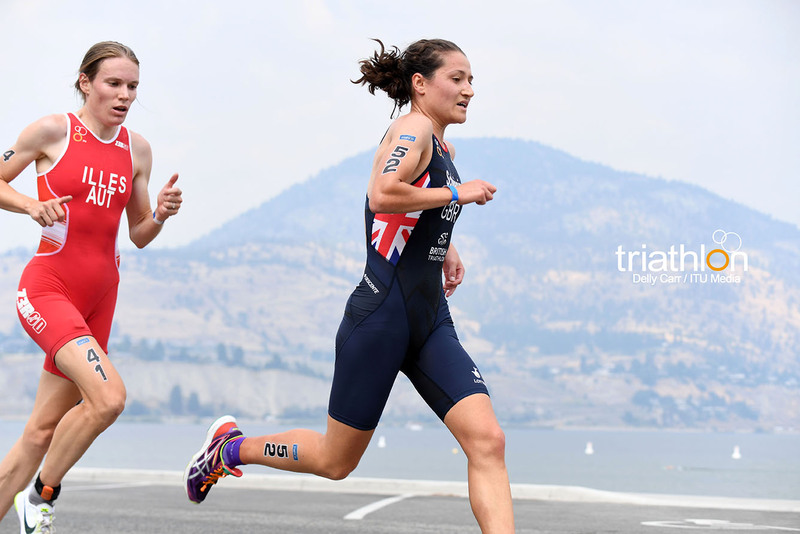 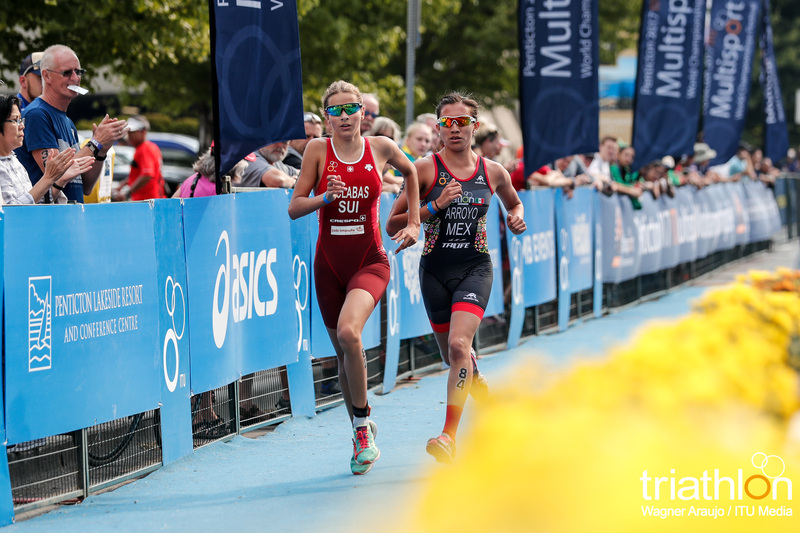 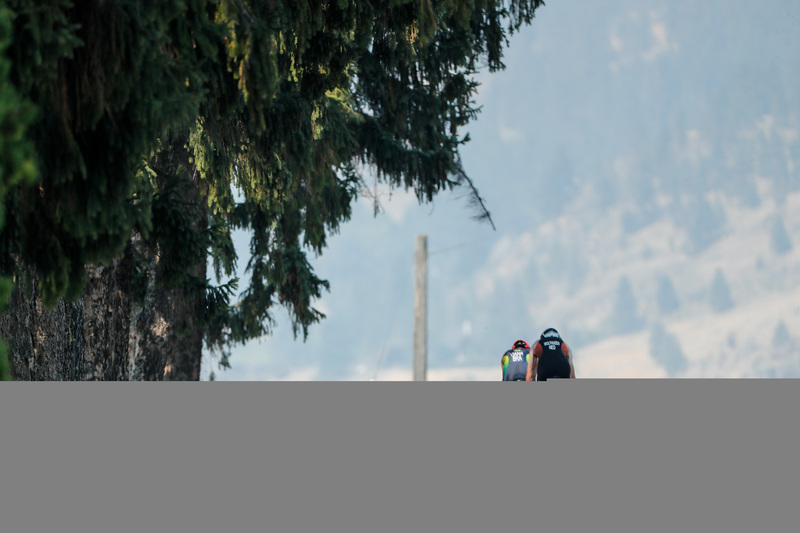 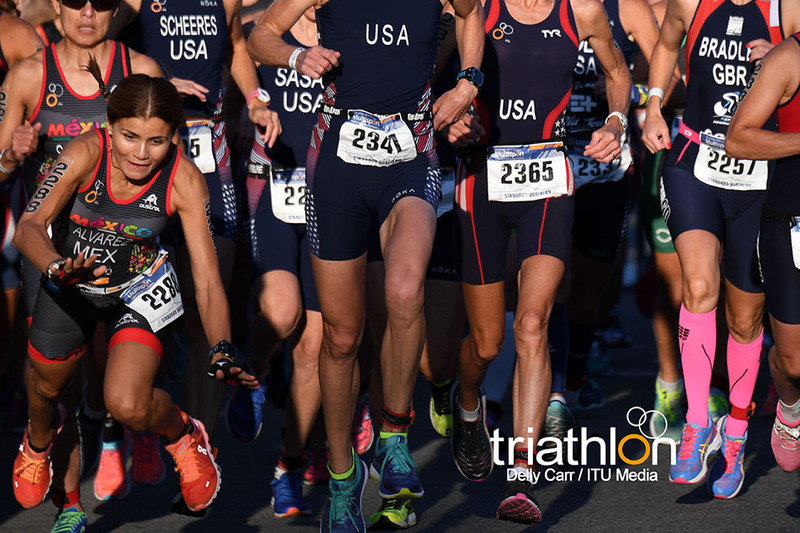 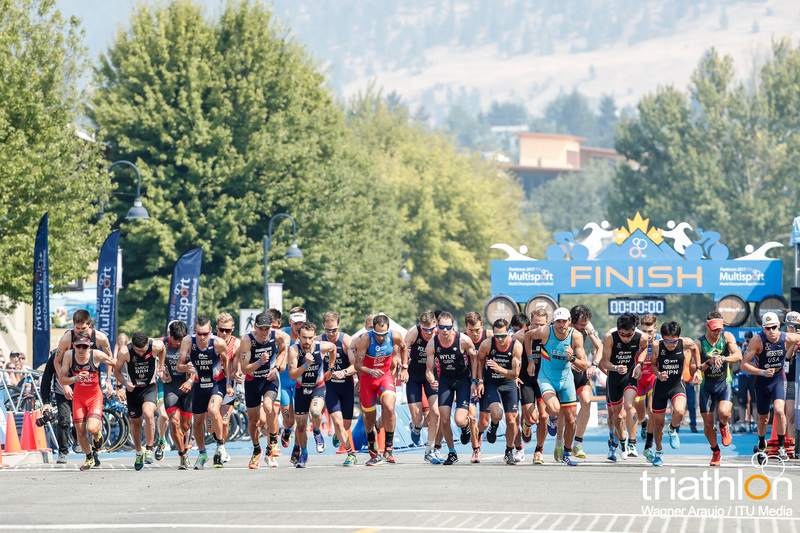 The 2017 Penticton ITU Duathlon World Championships will take place on Saturday, 19 August with the junior men starting off the day at 9:45am followed by the women at 9:50am. 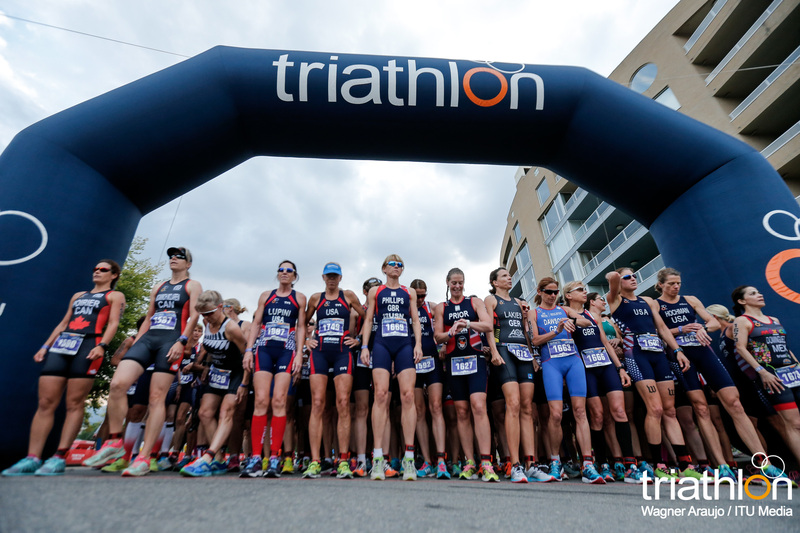 The u23/elite women will start together at 11:15am with the u23/elite men following directly after at 14:00pm. 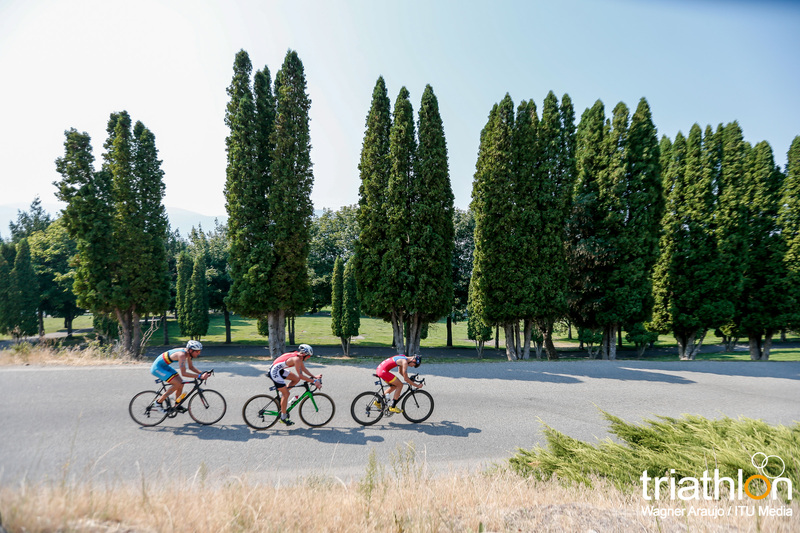 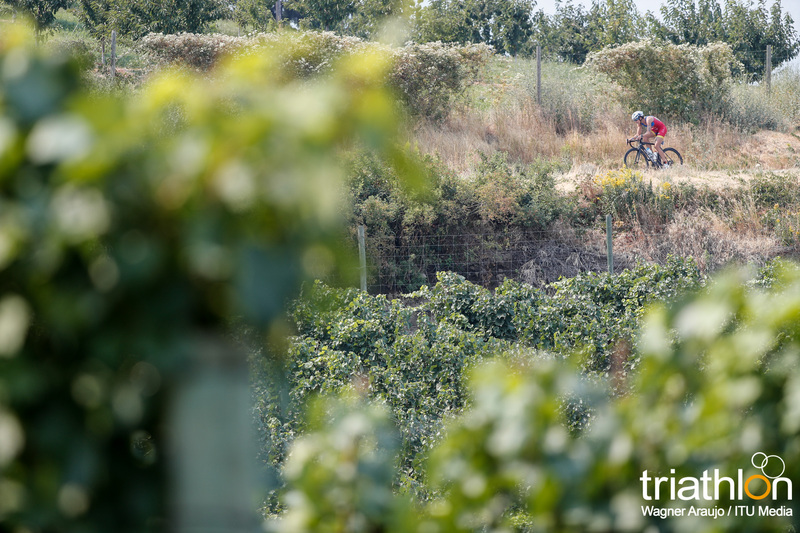 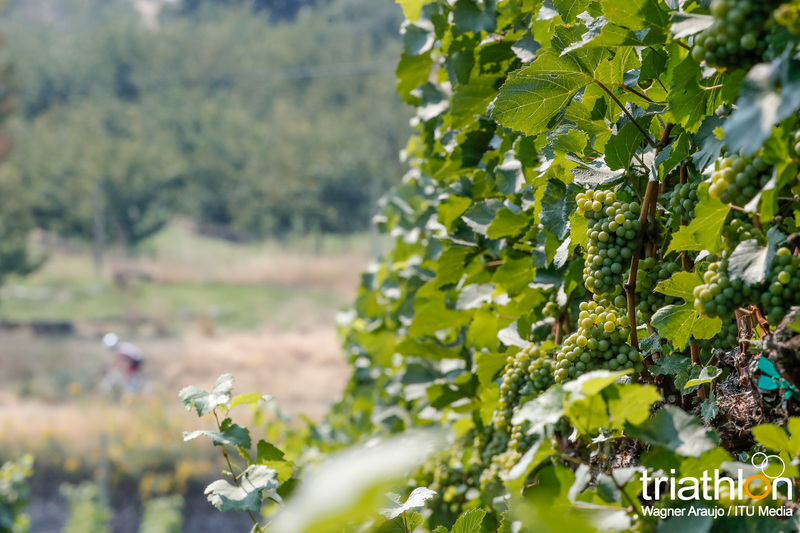 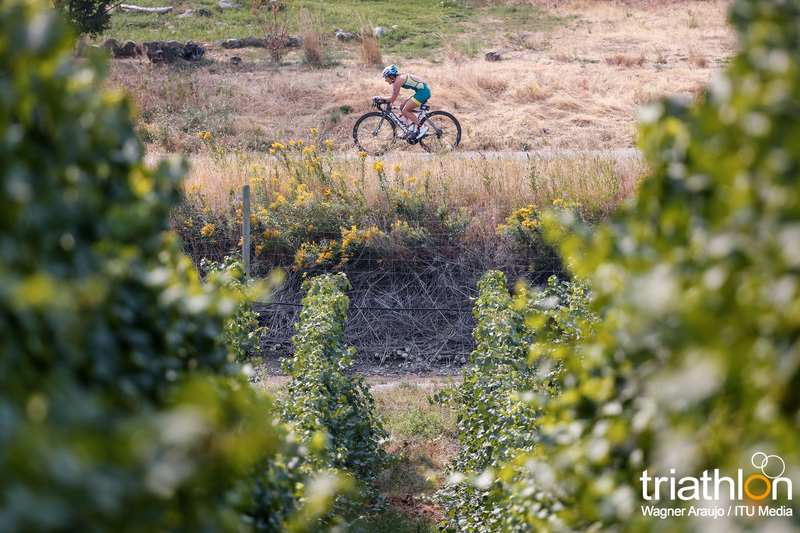 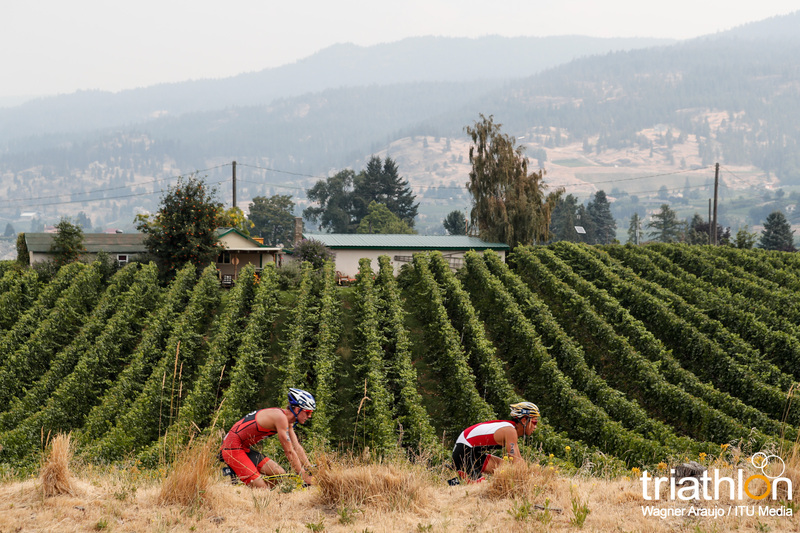 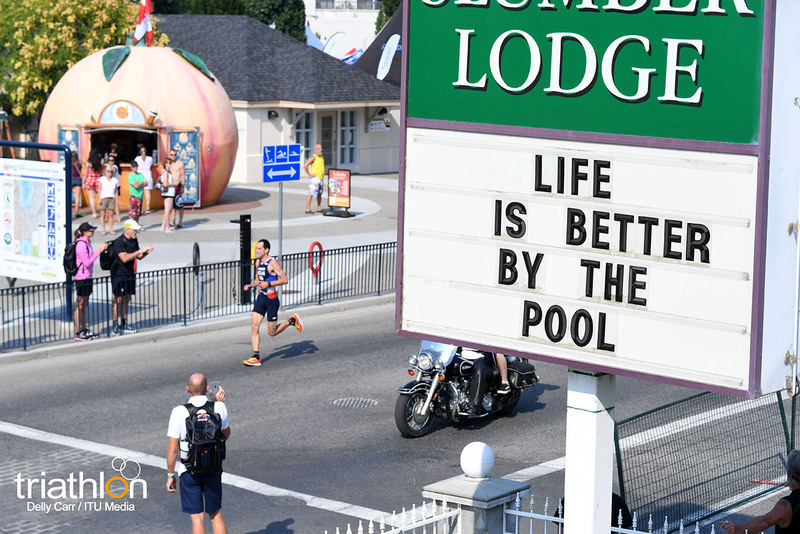 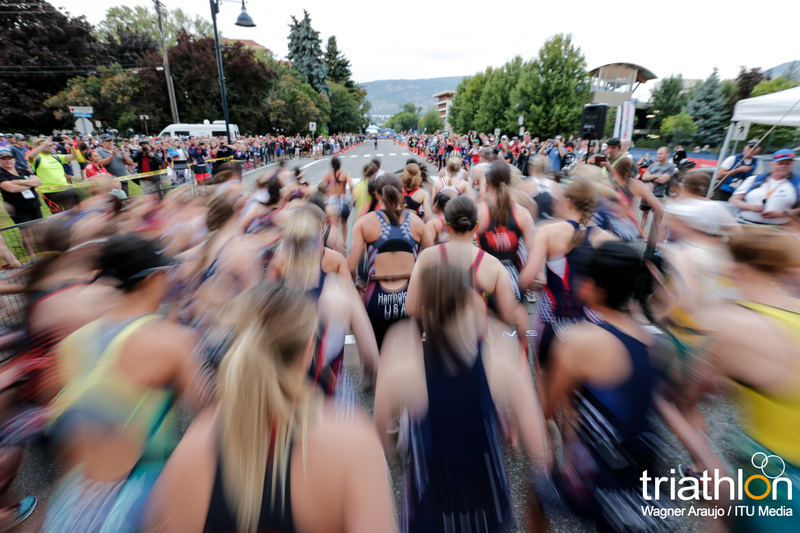 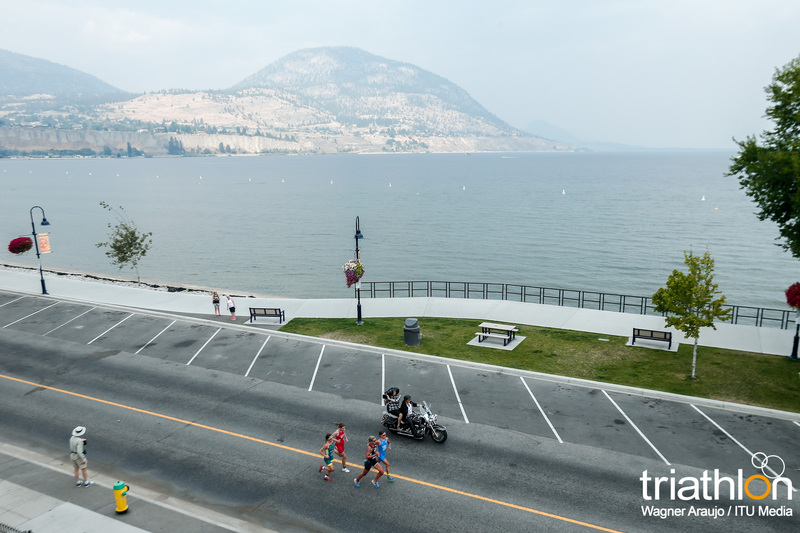 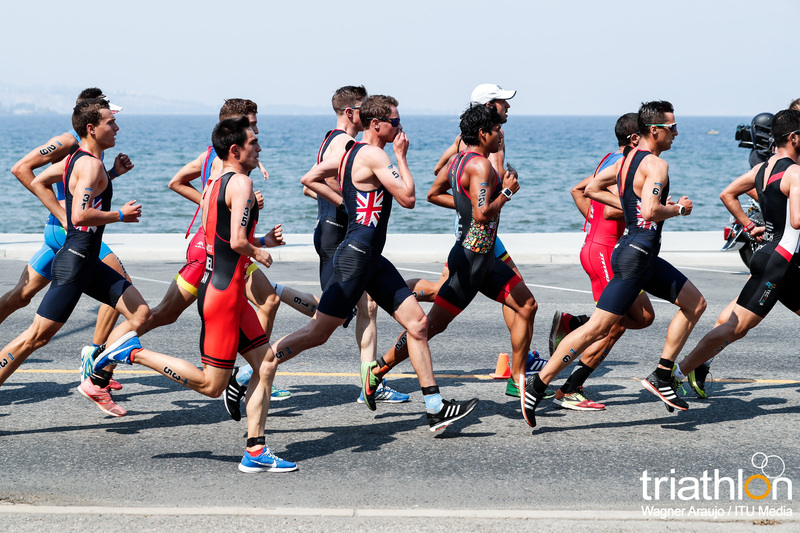 Follow along with the races with live timing on penticton2017.com, triathlon.org/live and on twitter with race updates at @triathlonlive.